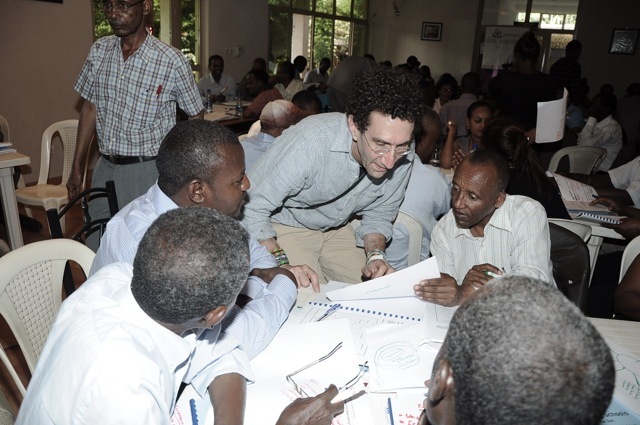 Dr. David Hyerle, Thinking Maps® developer, Thinking Schools International co-director and Thinking Foundation founder, will be visiting Thinking Schools Ethiopia (Eminence Social Entrepreneurs) next week on March 3-8, 2012. 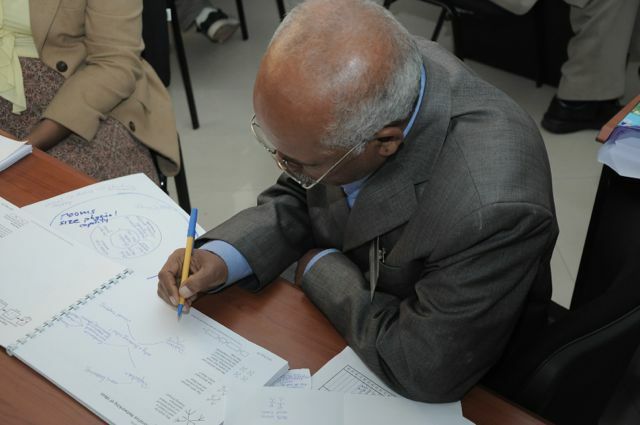 During this visit, he will meet and discuss the Thinking Schools Ethiopia project and Thinking Maps with select government officials and partners from the government and private sectors. 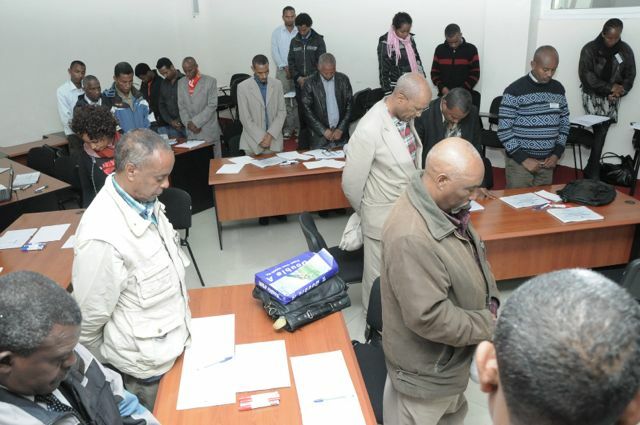 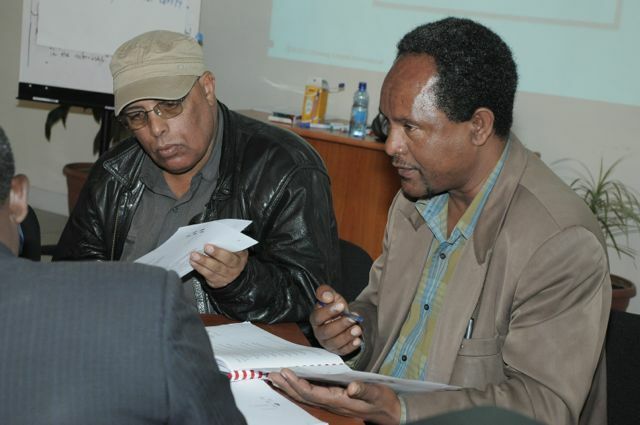 This includes experts and leaders from Addis Ababa Education Bureau, Ministry of Education, NGOs and major Ethiopian universities. 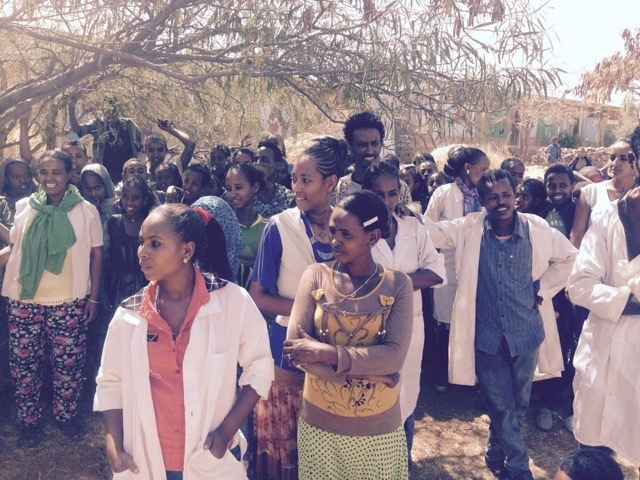 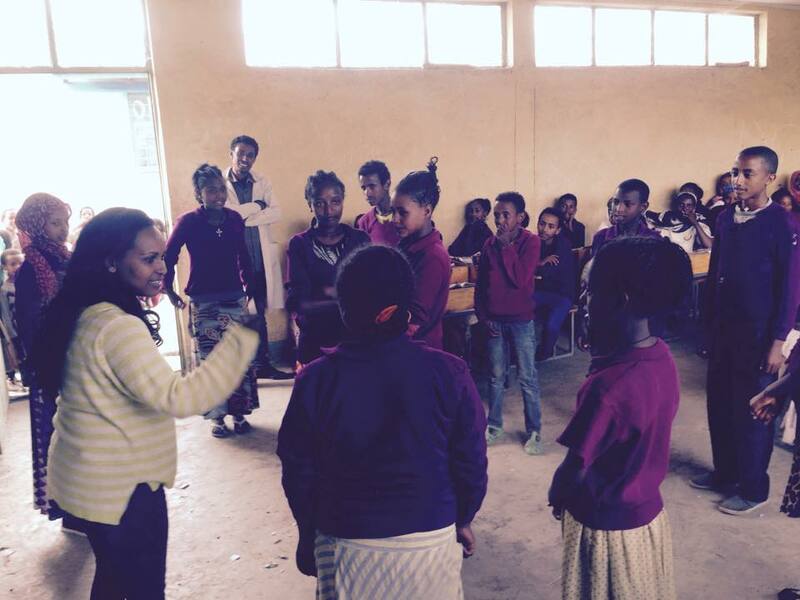 Dr. Hyerle will be visiting government schools in Addis Ababa and doing public presentations in addition to the above meetings. 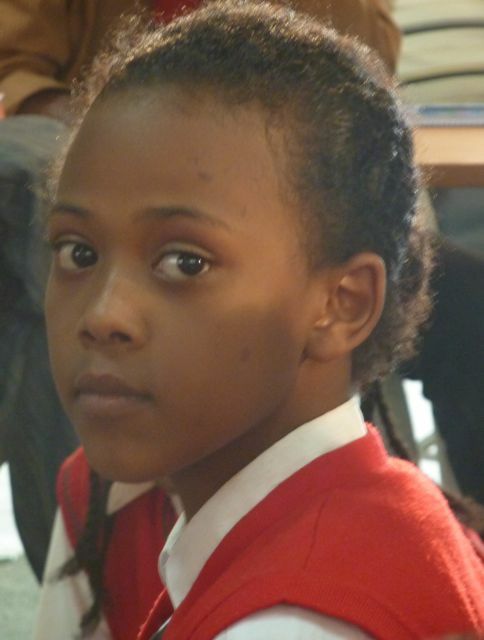 He will be arriving from South Africa where he participated in last weeks Thinking Schools South Africa conference. 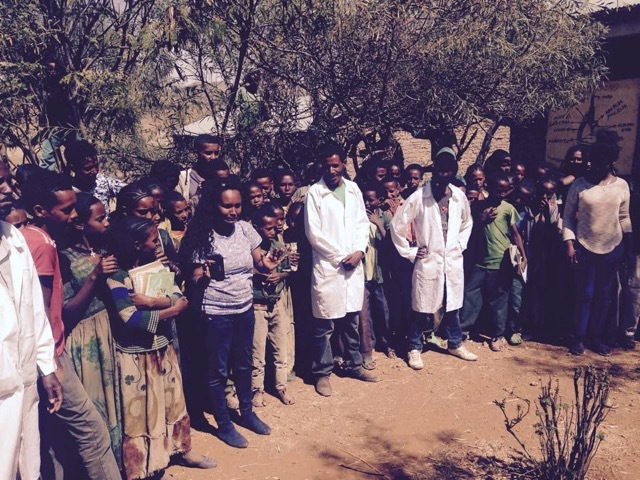 For additional information on Dr. Hyerle’s visit, please contact Bereket Aweke, Thinking Schools Ethiopia coordinator (select contacts in the menu). 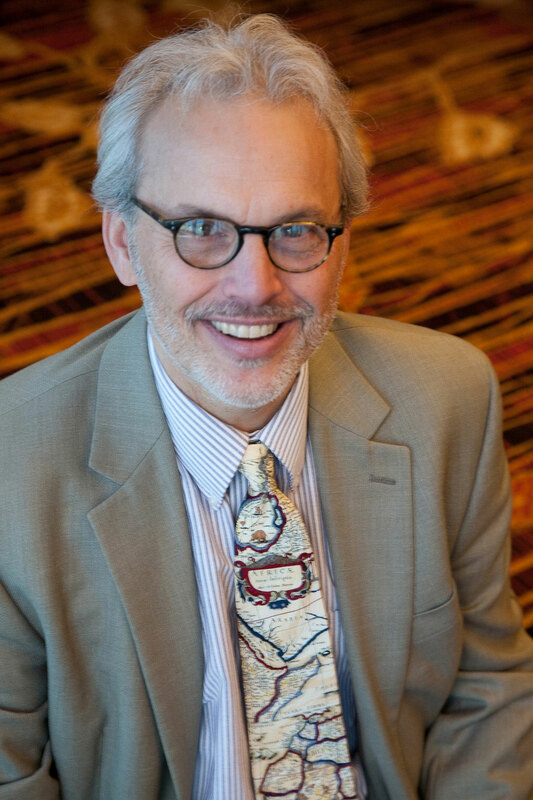 David Hyerle, EdD, is an author, researcher, seminar leader, and keynote speaker focused on integrating content learning, thinking process instruction, and collaborative leadership across whole schools. 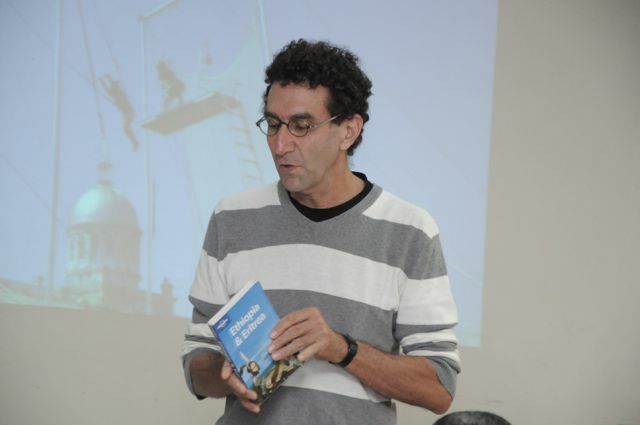 He is founding director of the Thinking Foundation www.thinkingfoundation.org, a nonprofit organization supporting research in cognitive and critical thinking development for the purpose of creating thinking schools nationally and internationally. 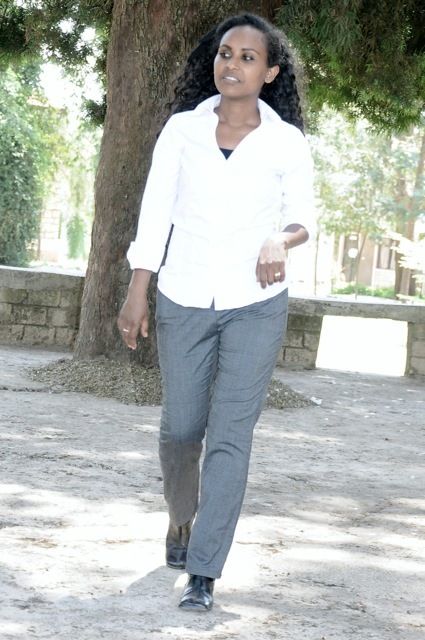 Download the complete article as a PDF file. 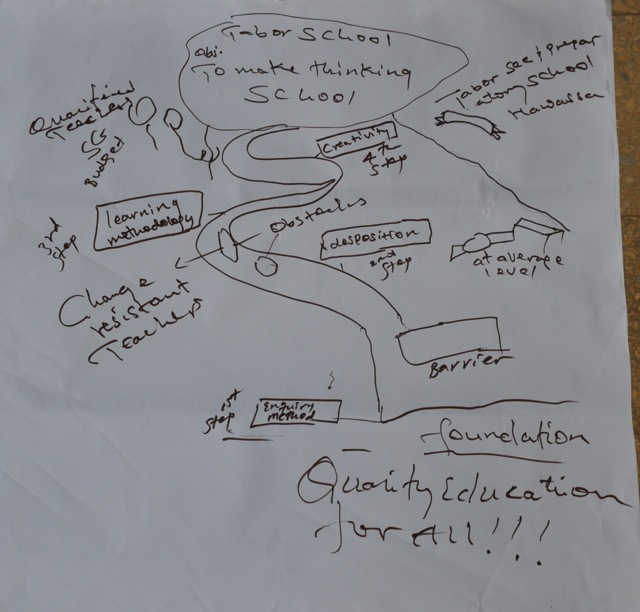 The creation of his Thinking Maps® model emerged from his experiences as a middle school teacher in inner city Oakland, California, USA. 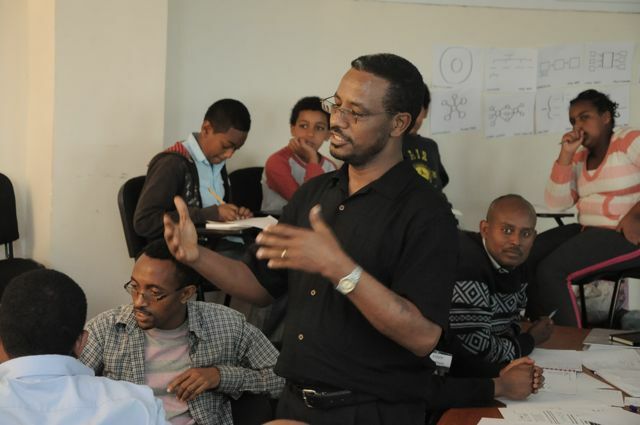 His development of Thinking Maps® was also informed by his work with the Bay Area Writing Project and the Cognitive Coaching model. 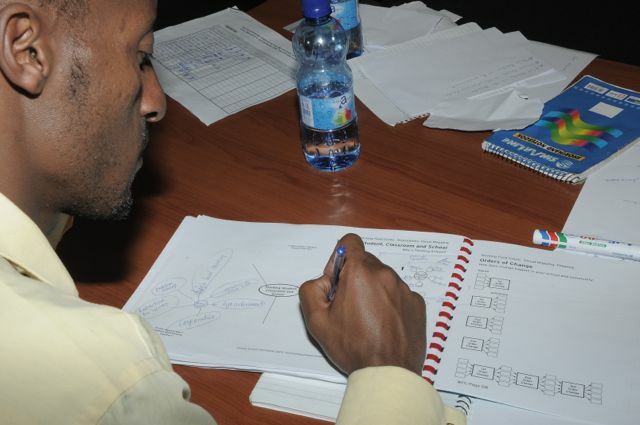 Among his numerous professional books and articles based on visual tools research, David wrote the foundational training materials for Thinking Maps and guided the professional development process with Thinking Maps, Inc. 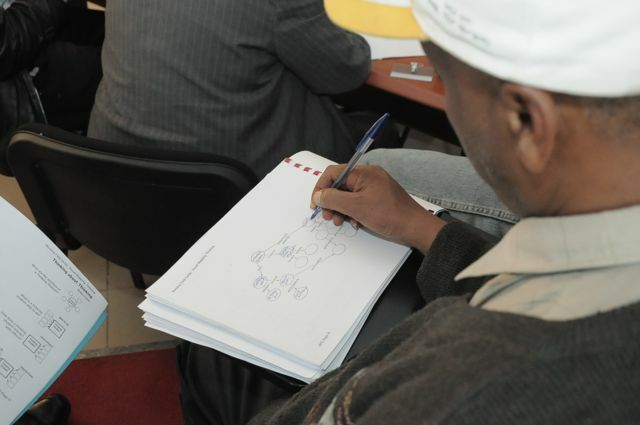 The Thinking Maps model is used across the United States and the United Kingdom, Singapore, New Zealand, Ethiopia, South Africa and many other countries. 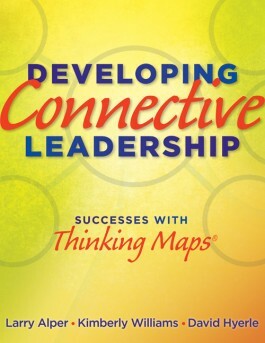 David co-wrote the training guide Thinking Maps: A Language for Leadership and edited Student Successes With Thinking Maps, a professional book presenting background research and documenting the professional development outcomes from the implementation of Thinking Maps. 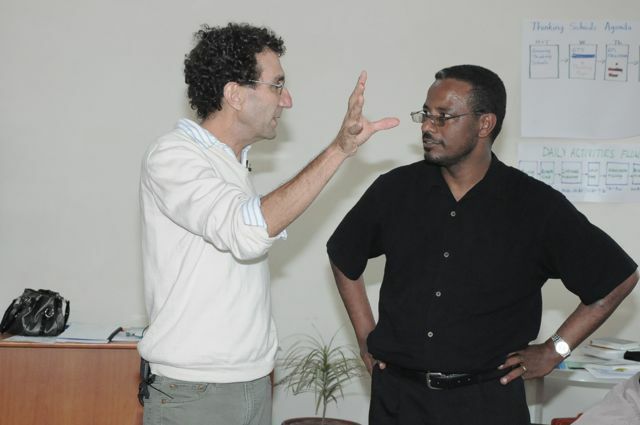 David is co-director with Richard Cummins of Thinking Schools International that currently has projects in United Kingdom (over 400 schools), Norway, South Africa, Malaysia, Ethiopia and other countries. 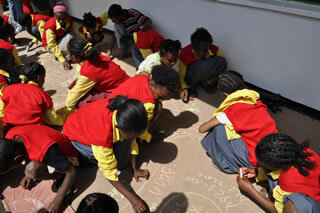 www.thinkingschoolsinternational.com. 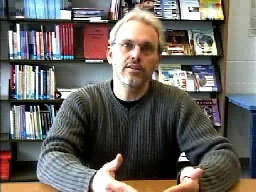 David earned a doctorate and bachelor’s at the University of California–Berkeley and has served as a visiting scholar at the Harvard School of Education. 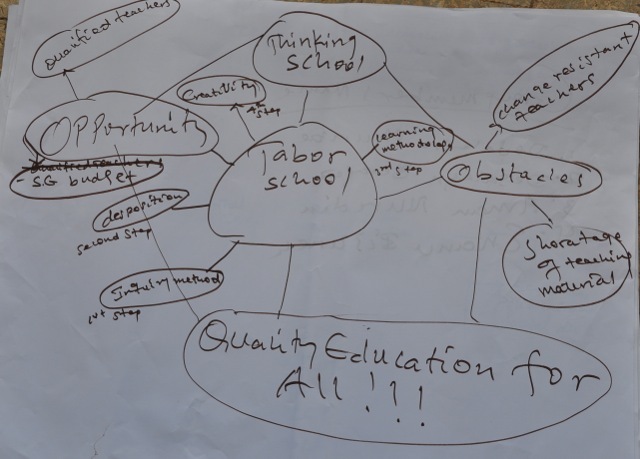 In the video below David Hyerle interviews a Special Needs student on her use of Thinking Maps and writing about Dr. Martin Luther King. 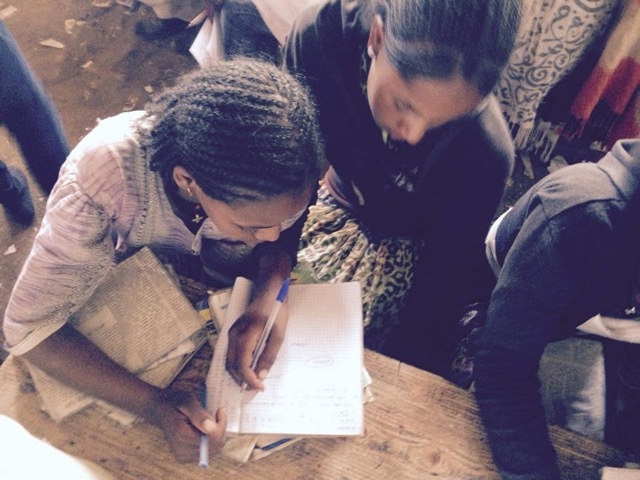 See the complete case study on Learning Prep. 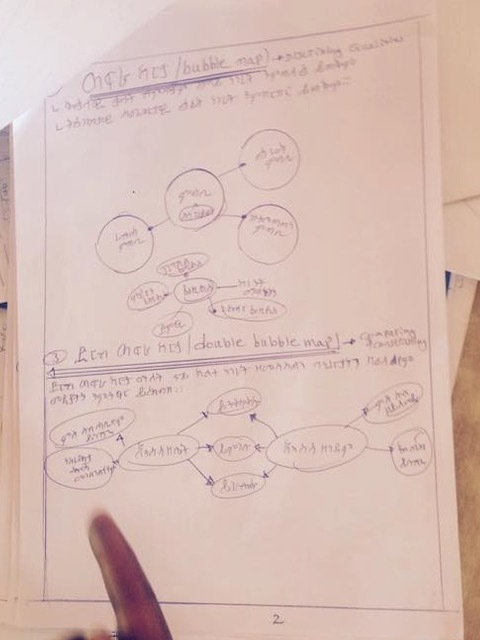 Dr. David Hyerle interviews high school students in the United Kingdom on use of Thinking Maps. 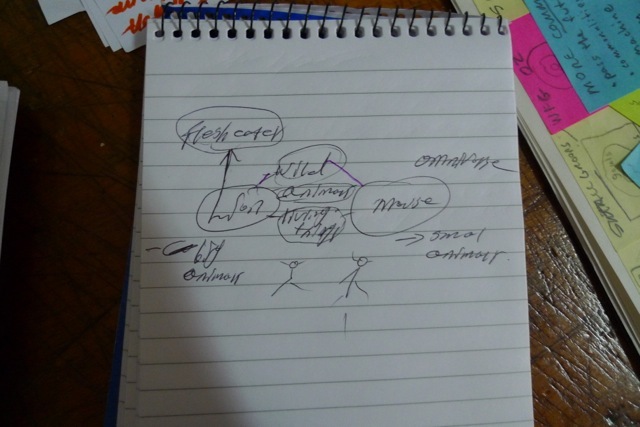 Thinking Maps® in Kawasaki City, Japan. 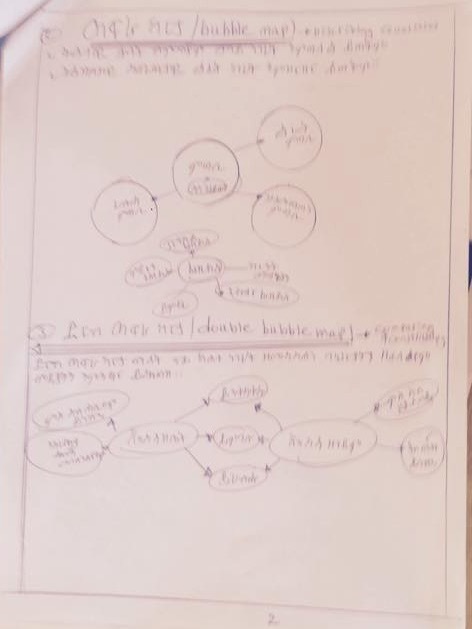 Thinking Maps in Merida, Yucatan, Mexico. 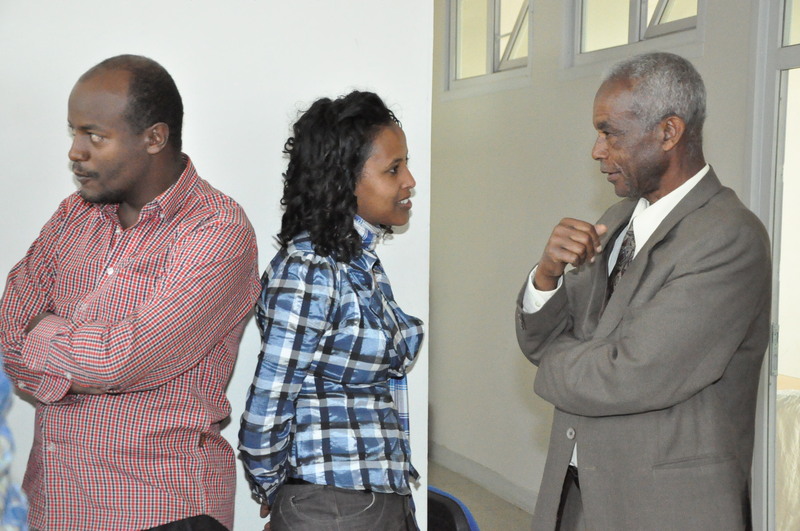 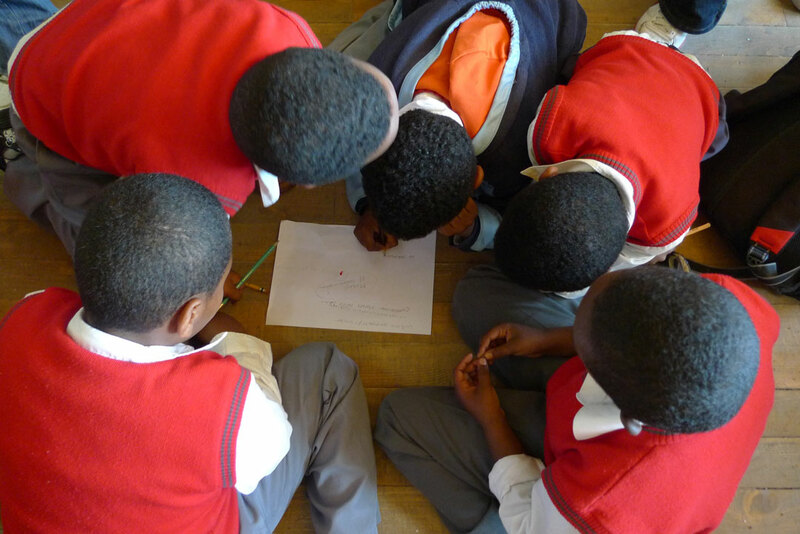 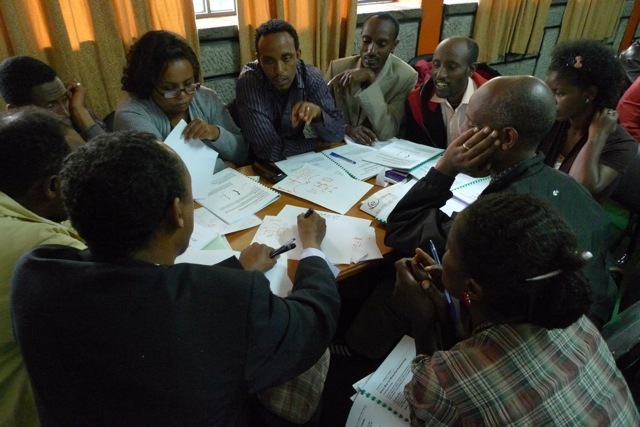 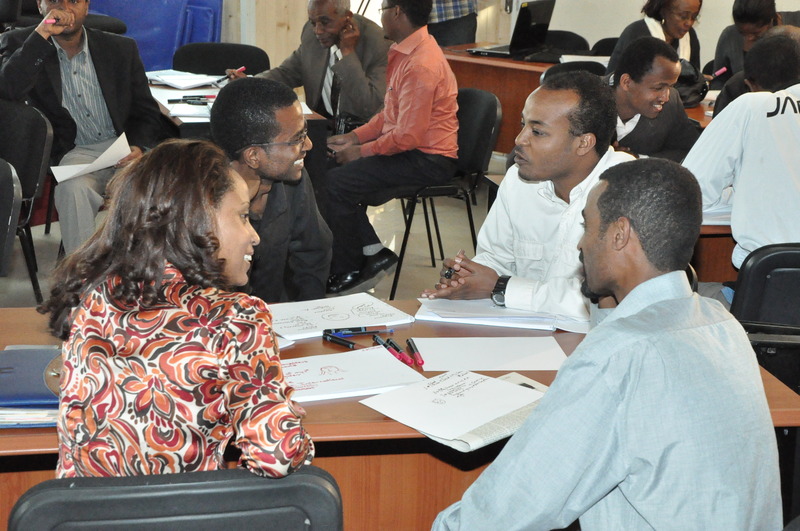 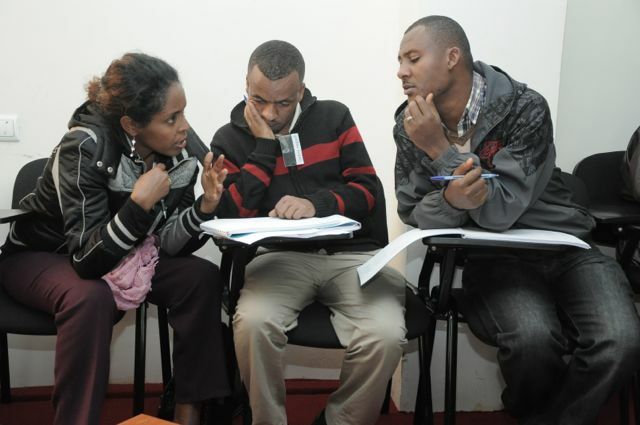 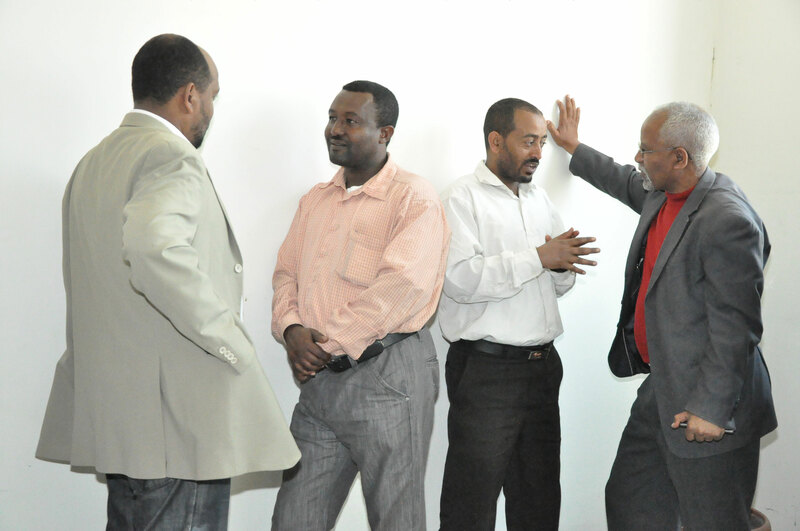 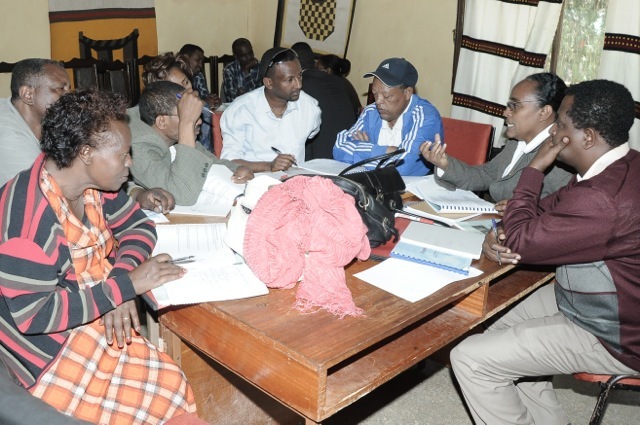 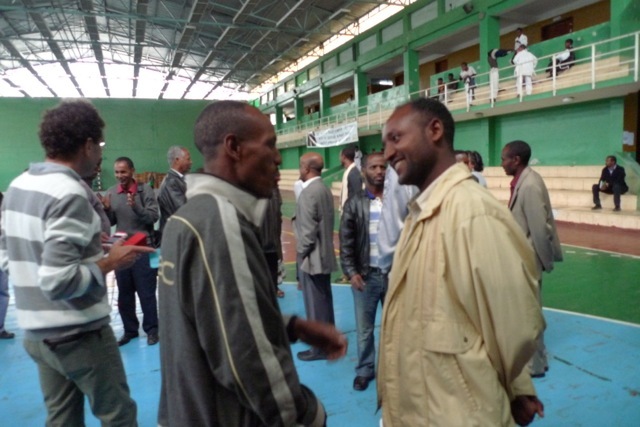 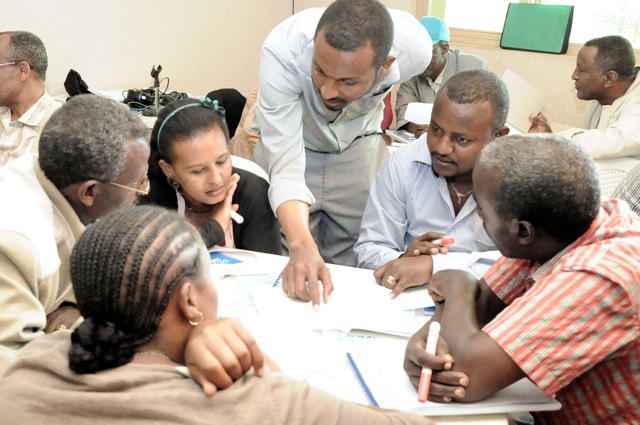 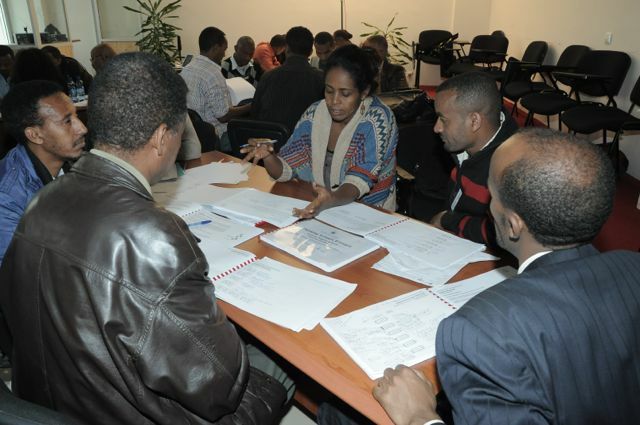 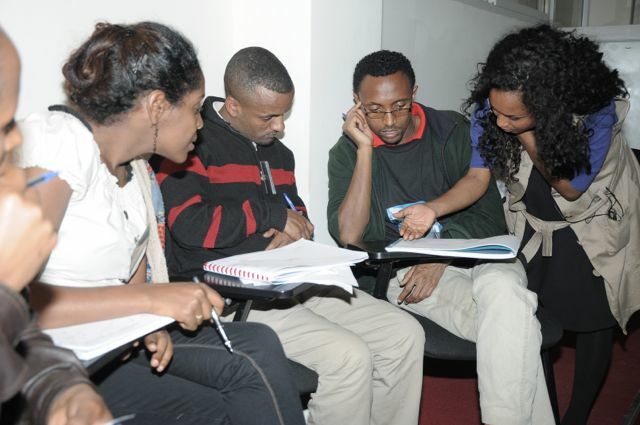 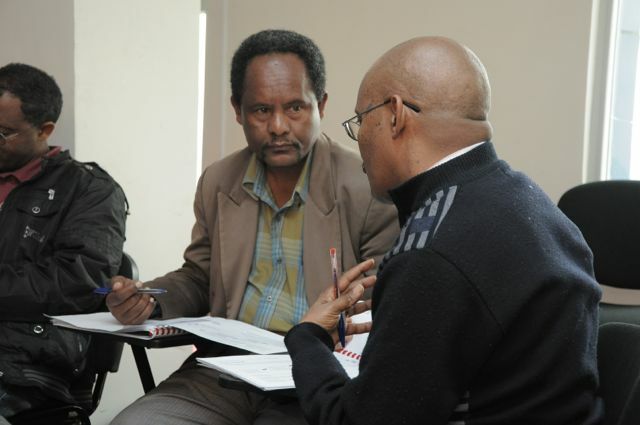 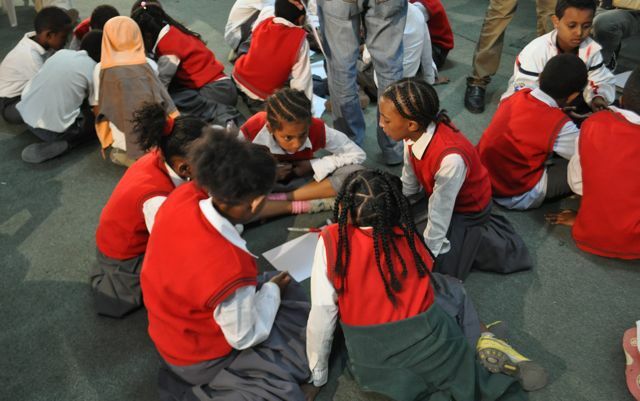 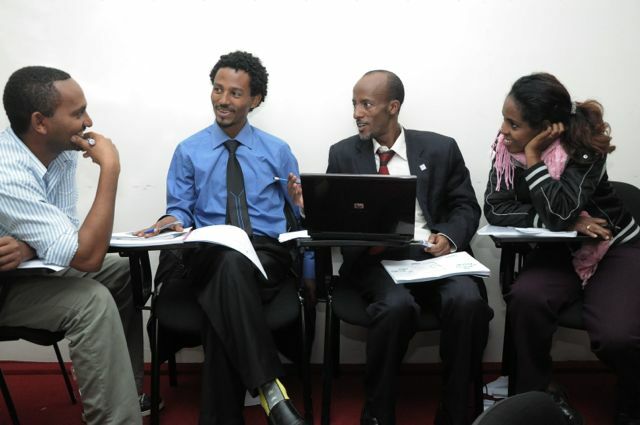 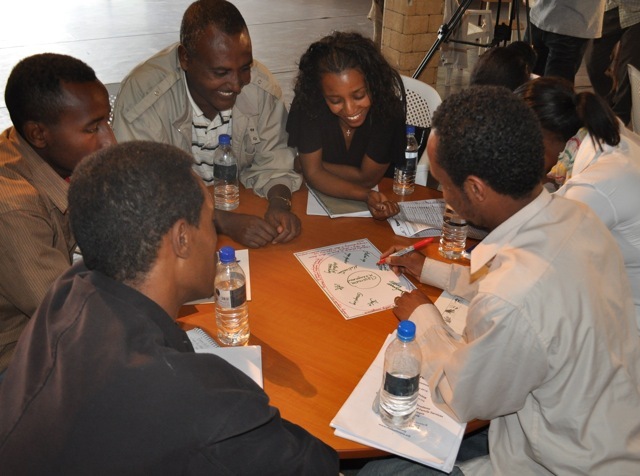 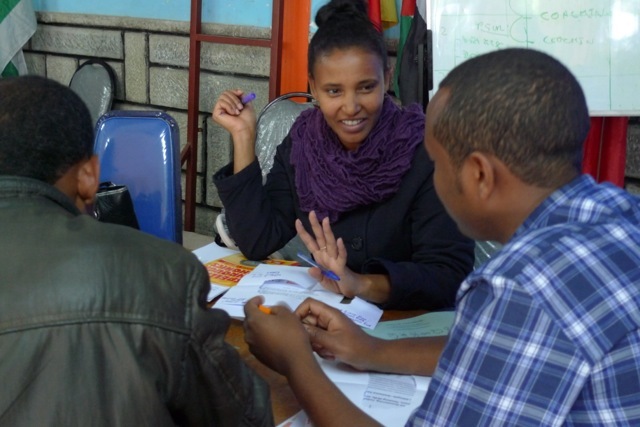 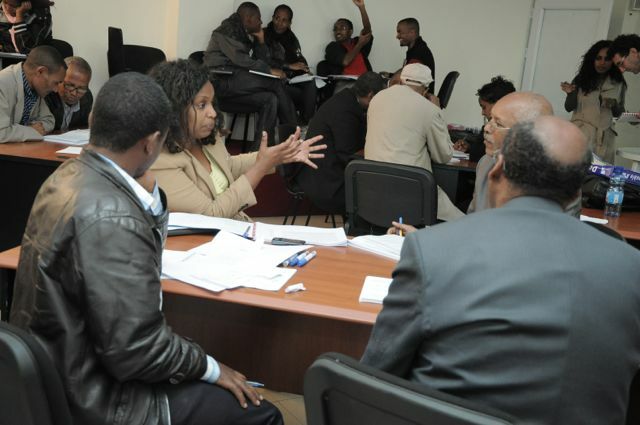 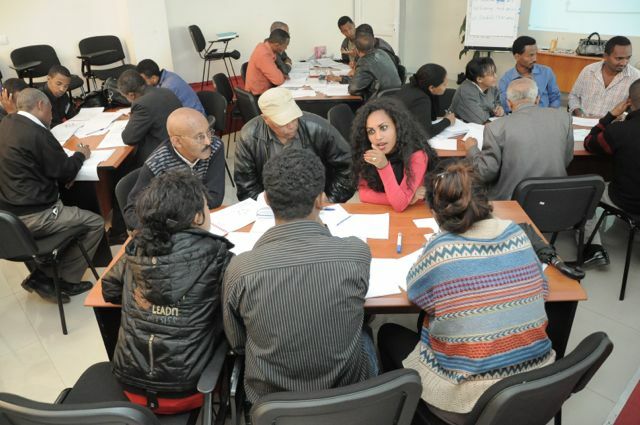 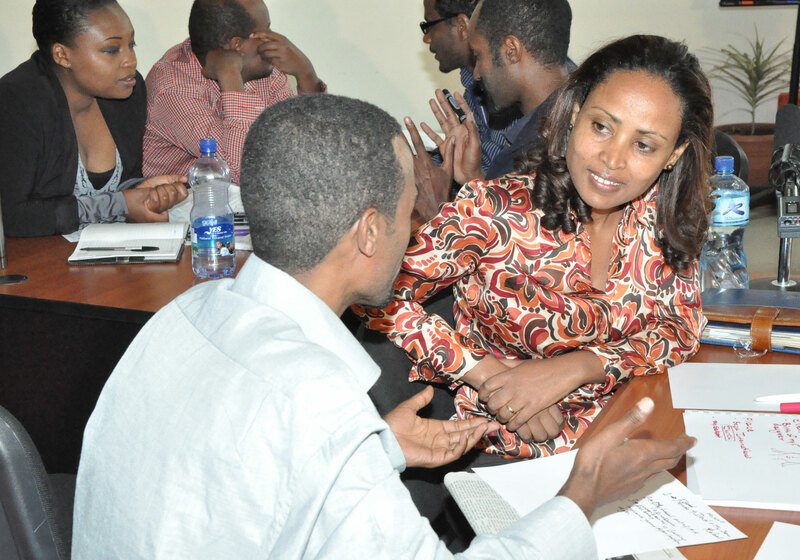 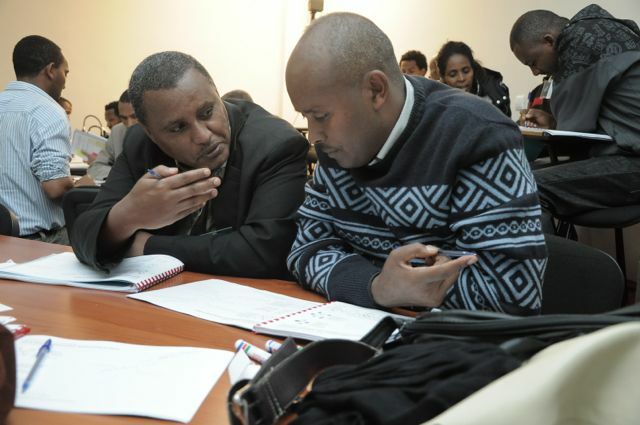 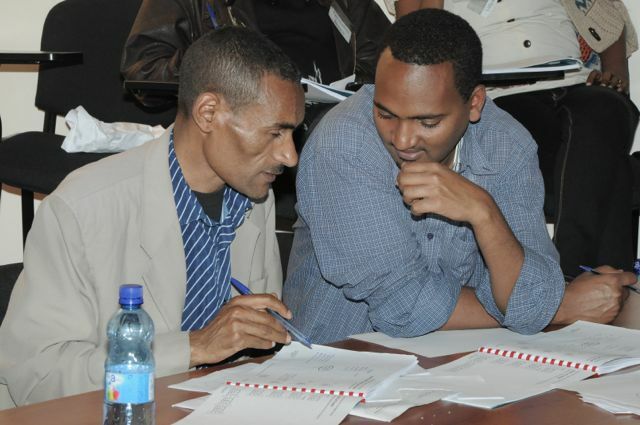 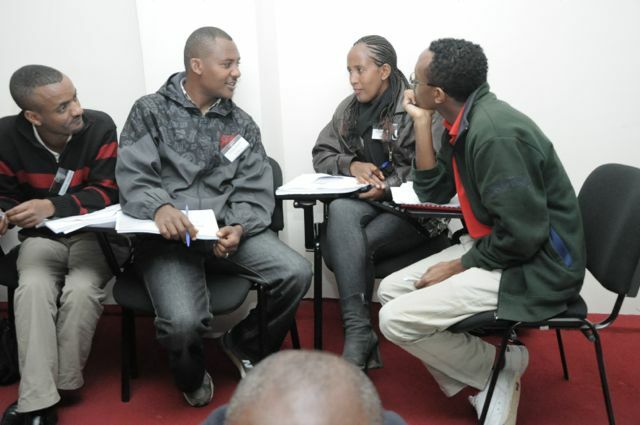 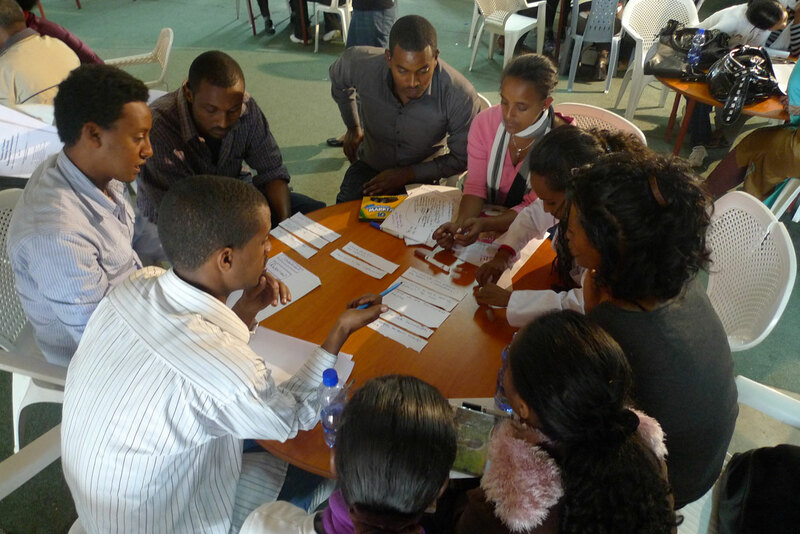 Collaborative Networking is one of Thinking Schools Ethiopia’s Six Starting Points of Thinking which includes reflective questioning; thinking skills; visual mapping; collaborative networking; developing dispositions; and structuring environment. 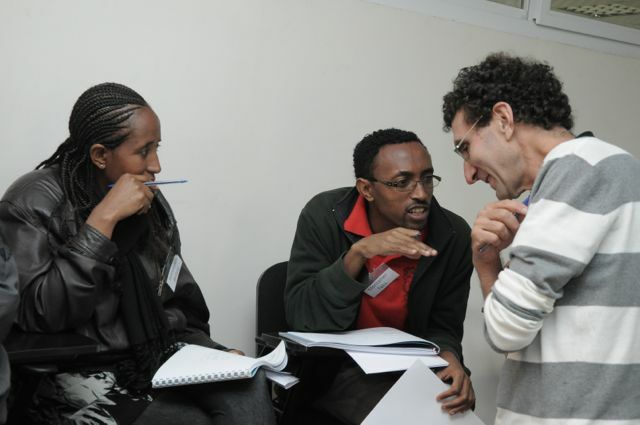 This blog posting will explore Collaborative Networking. 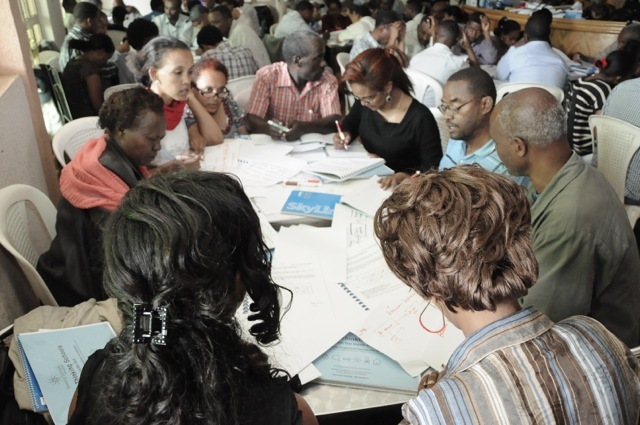 Collaborative learning is based on the model that knowledge can be created within a population where members actively interact by sharing experiences. 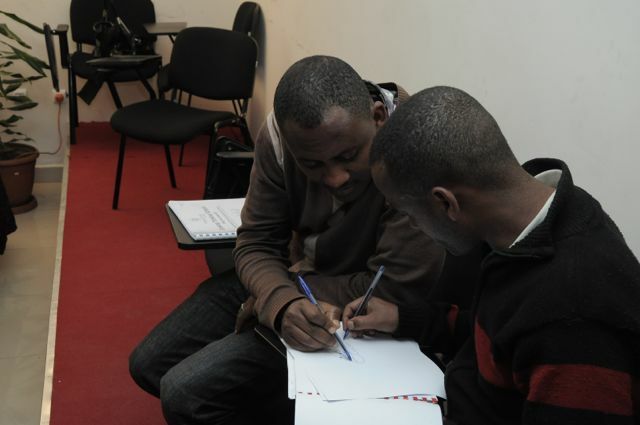 Several examples of many that are very effective include Think-Pair-Share; Three-Step Interview and Learning Teams (one page outline – pdf file). 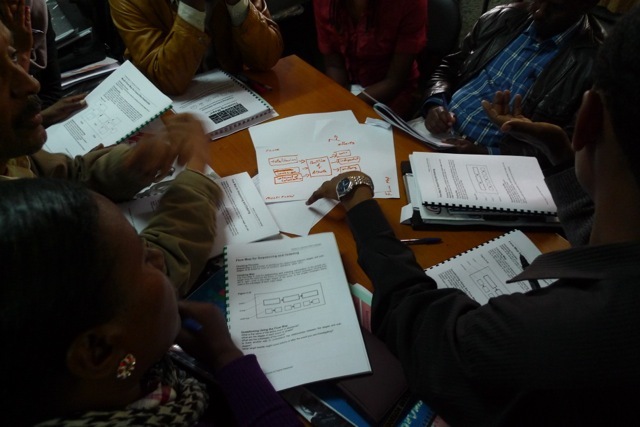 Visual Mapping and Reflective Questioning are very effective elements to use within cooperative learning. 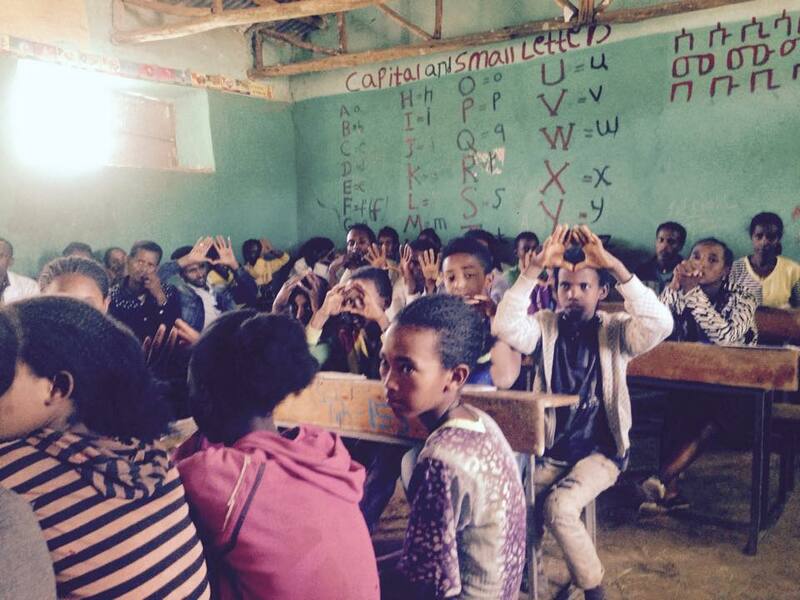 A vivid example of the potential this had for our collaborative effort occurred during my fifth visit to Ethiopia when students at Children’s Home Academy were using a laptop in their garden to Skype with a school in North Carolina, USA. 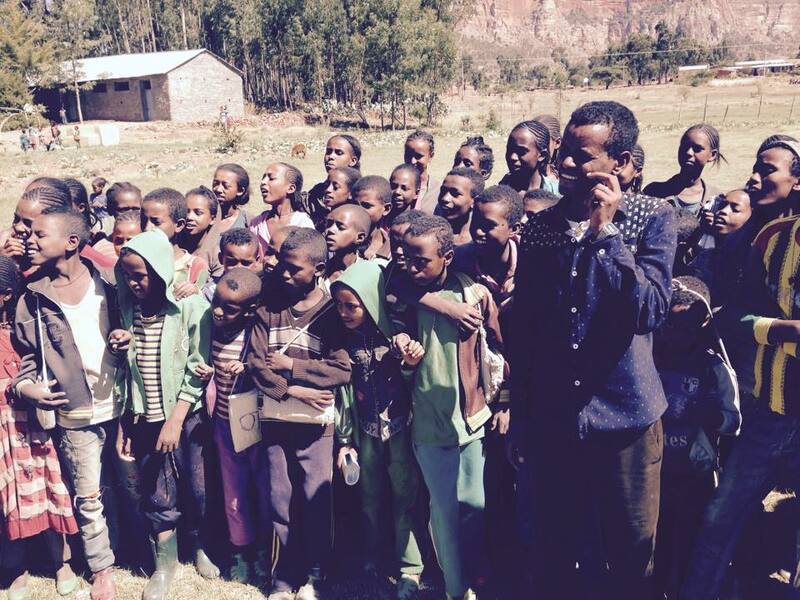 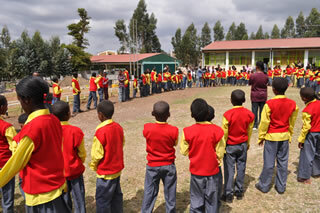 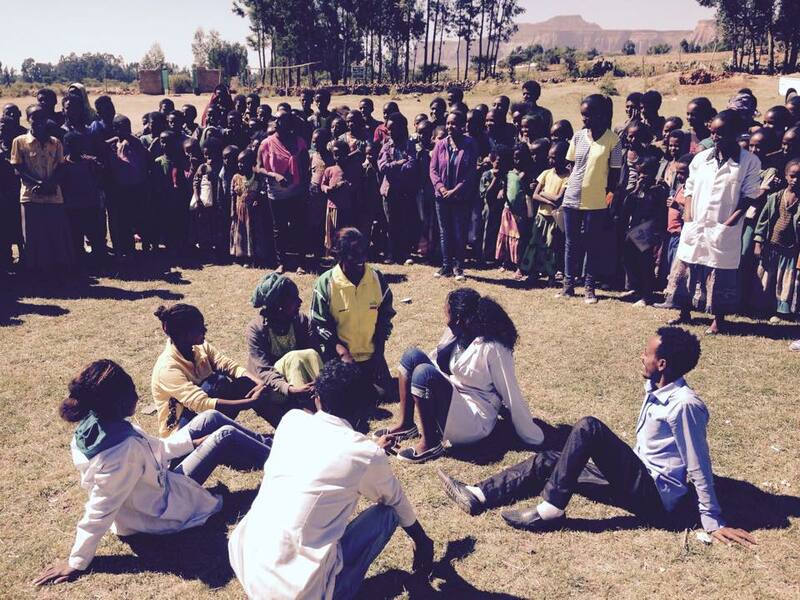 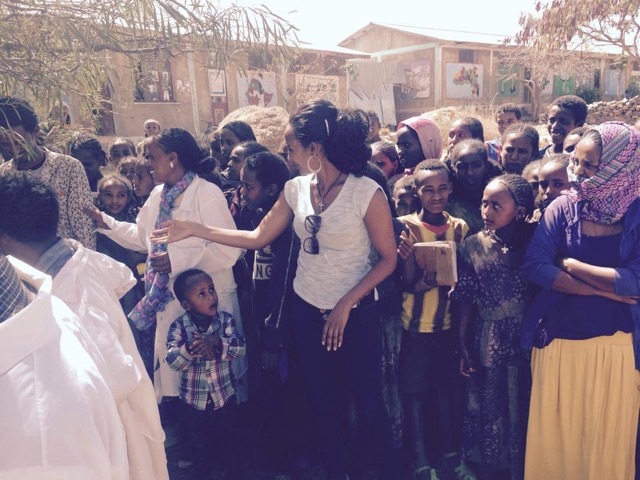 The students in Ethiopia were in the student’s garden – one of five at the Children’s Home Academy that provides food for the student lunches. 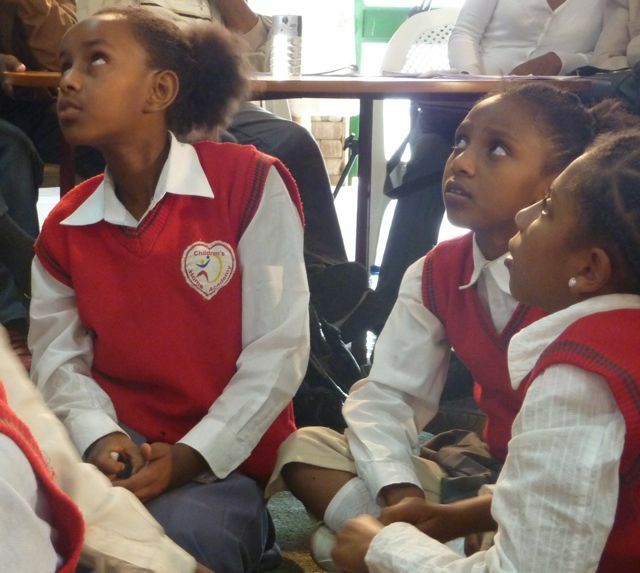 The North Carolina students were tethered to the classroom computer talking about a garden they were envisioning. 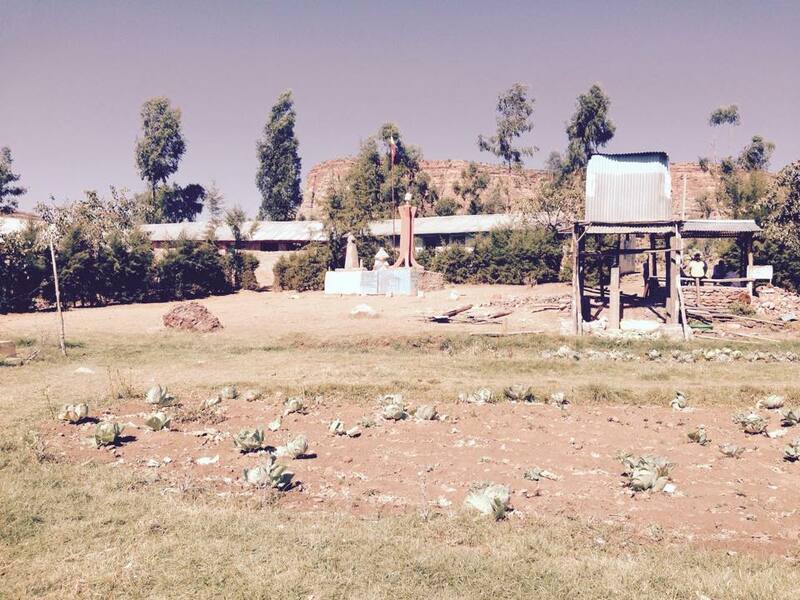 It was apparent that the food movement in the USA has much to share with and also learn from locations in parts of the world that actually need to have school gardens. 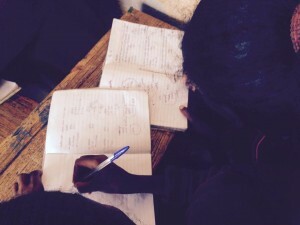 using techniques that provide a means to learn from each other regularly. 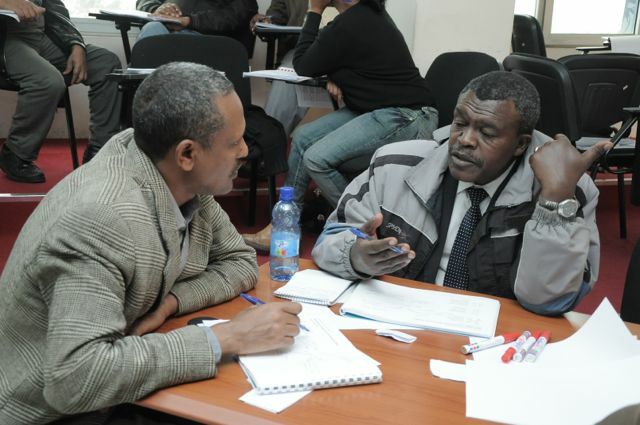 Collegial Coaching includes regular collaborative coaching, discussion groups, and practicing collaboratively in real classroom environments. 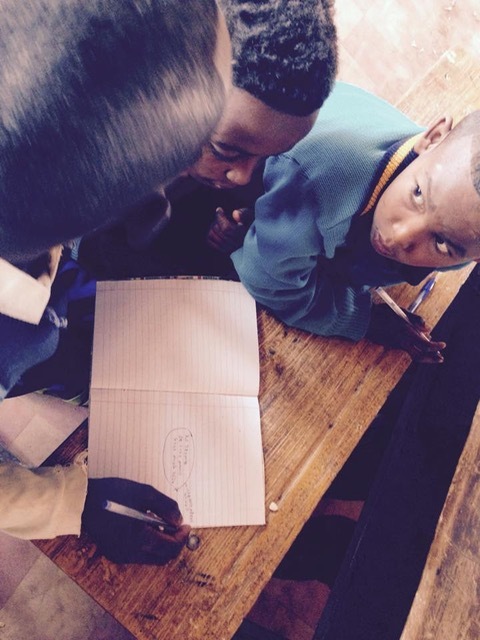 Observation techniques should be clear with goals and techniques to support our collaborative learning. 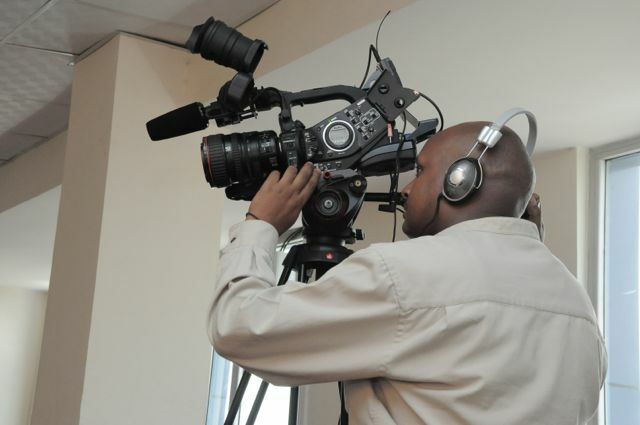 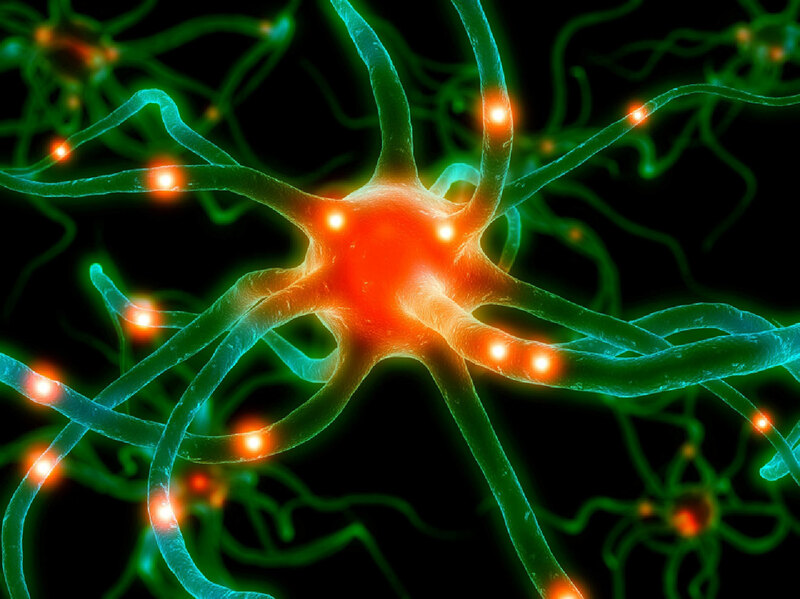 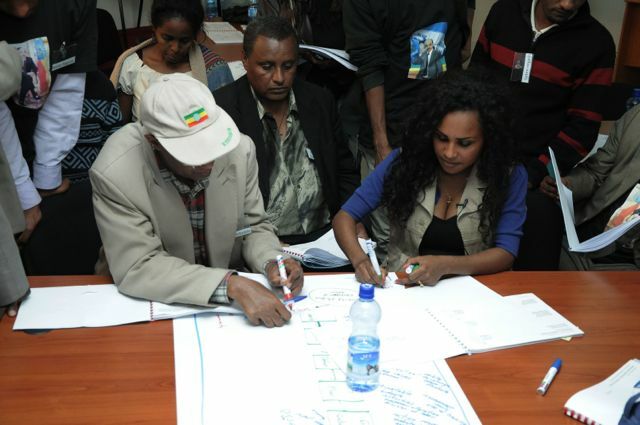 We use techniques based on research to fully develop our abilities as focused observers. 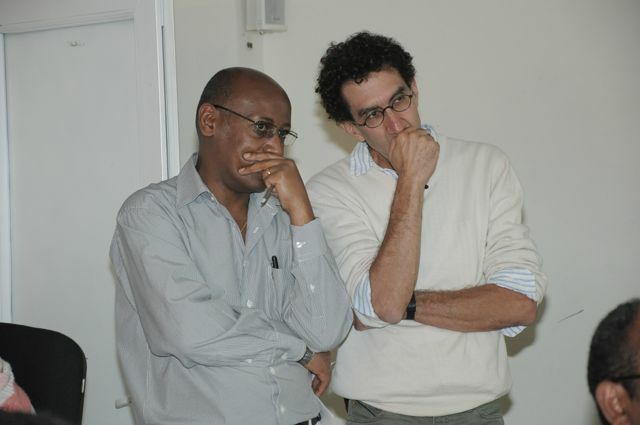 An example might be deciding on a specific focus to observe for (e.g. 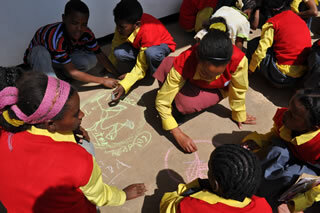 a specific student behavior) then while observing writing and sketching observations + questions. 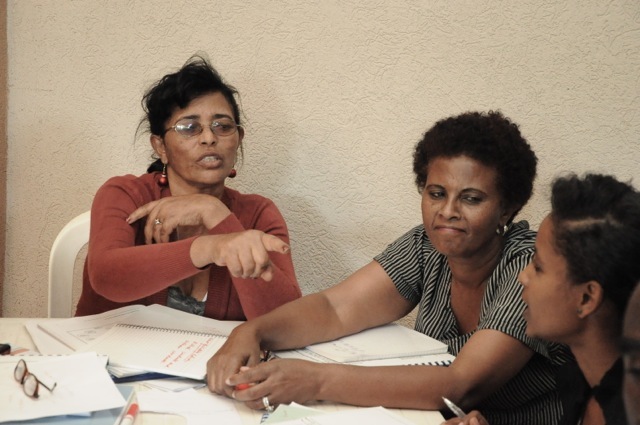 We all bring skills to learn from — new and veteran teachers. 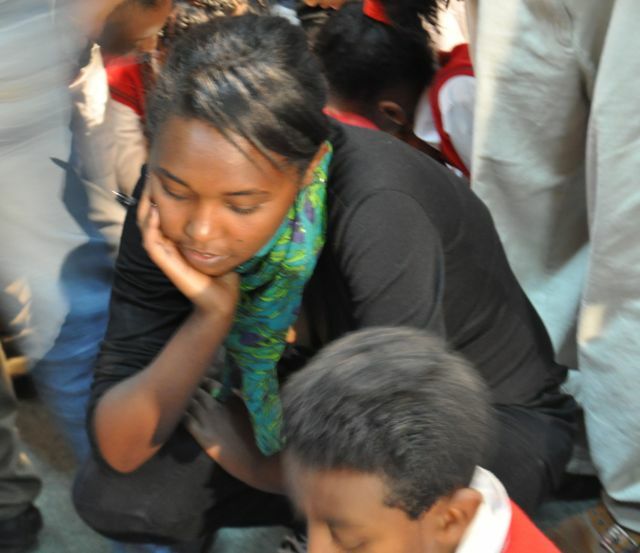 By honoring, and pooling our varied and collective talents, the goal of providing the best possible learning environment(s) for students reaches new heights. 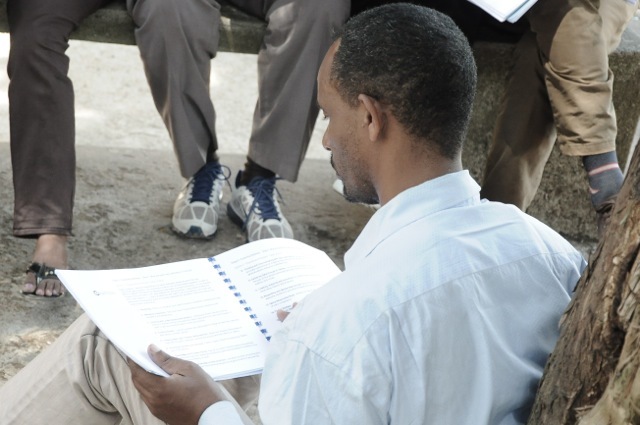 The Instructional Coaching model initially includes coaching support from outside sources, but ultimately our greatest resources are peer to peer within our teaching and learning community. 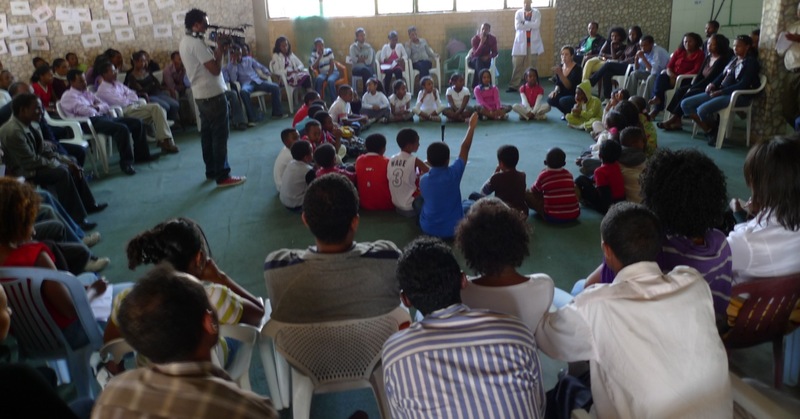 The Debriefing – The teachers will meet immediately after the lesson to share observations. 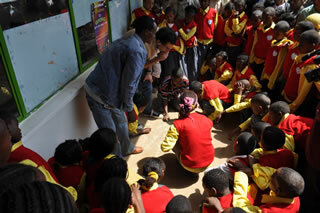 It should involve all participants including the teacher leading the lesson. 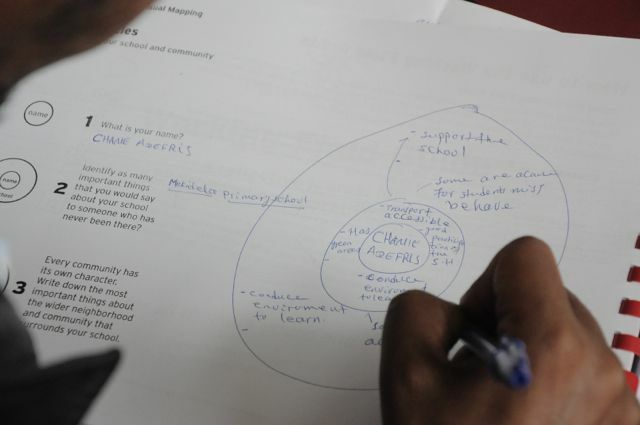 The methods used by students and educators in a classroom, within a school and local area can be expanded further – including within a region, country and globally. 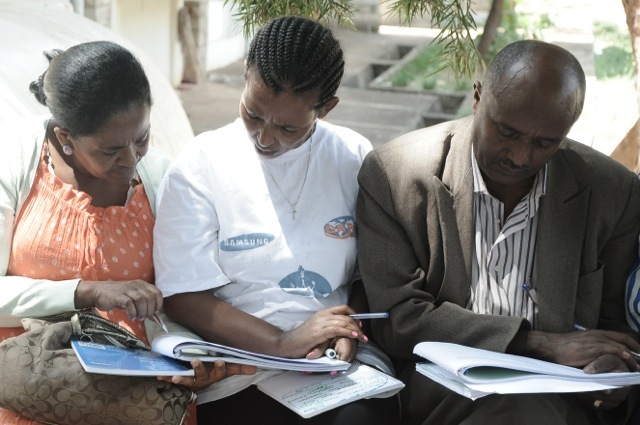 There are many technology tools to support such expanded collaborations – especially when the collaborative learning methodologies are solidly grounded and implemented initially on a local level. 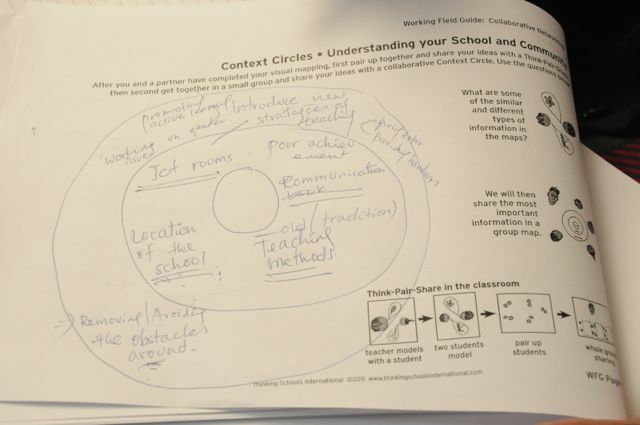 While ALL six starting points of thinking are relevant and integrative with Collaborative Networking Visual Tools, Reflective Questioning, Structuring Environment are very instrumental in building success. 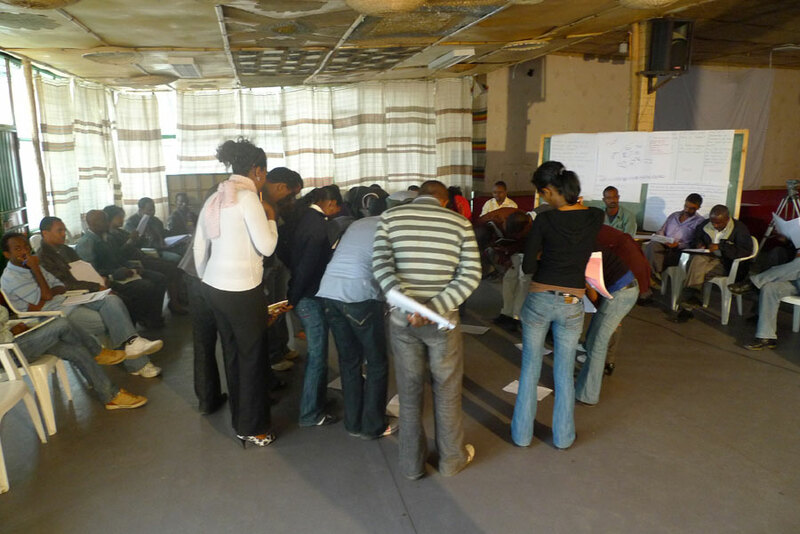 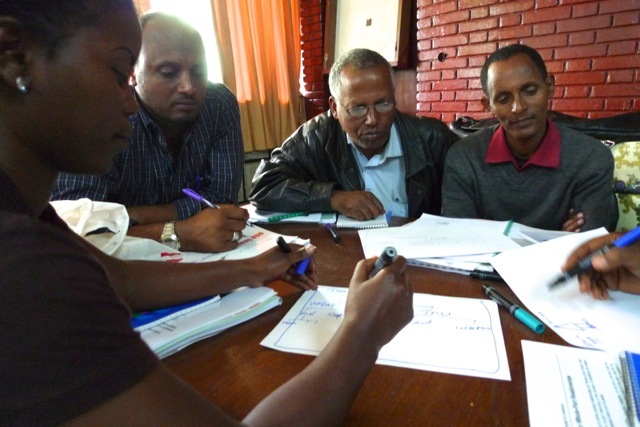 Additionally, Community Building Exercises can be a very effective method of building understanding and respect of the collaborating people. 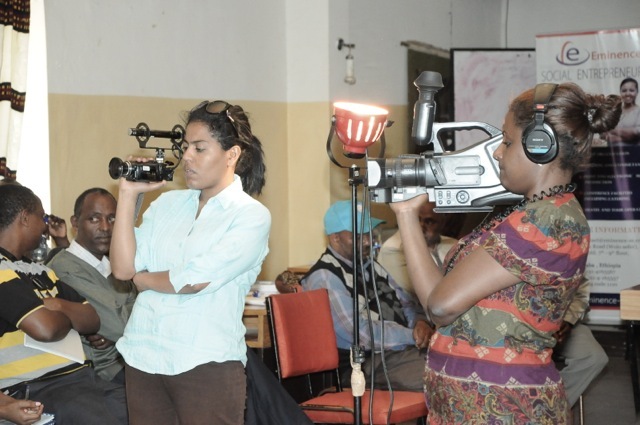 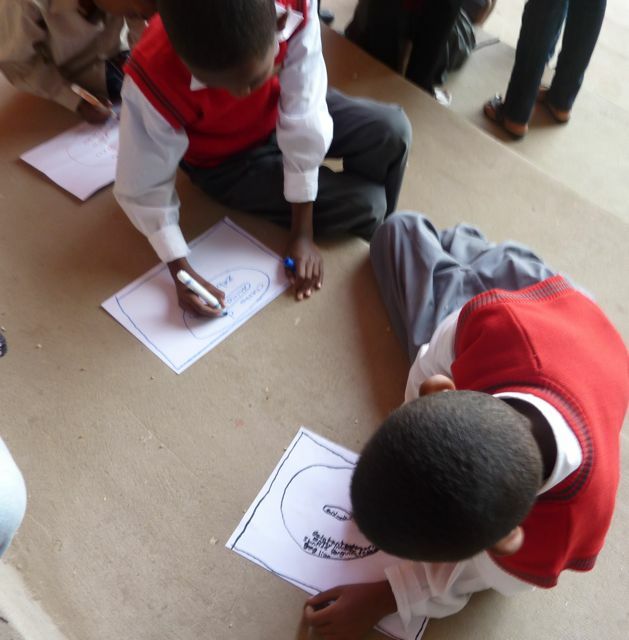 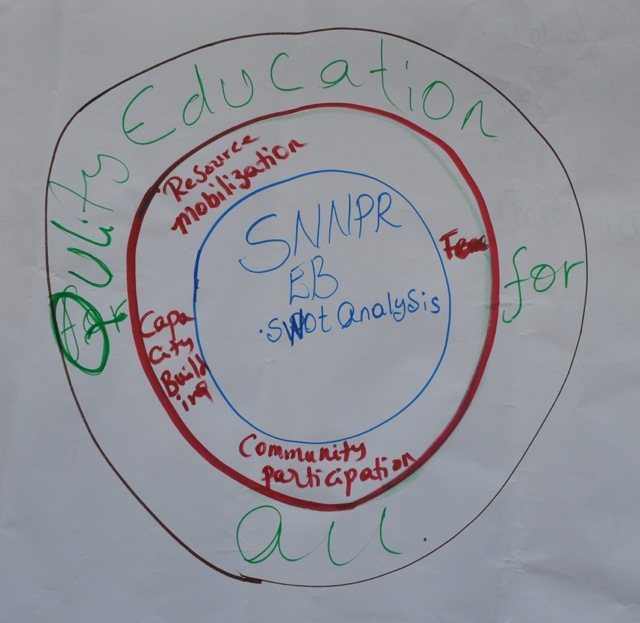 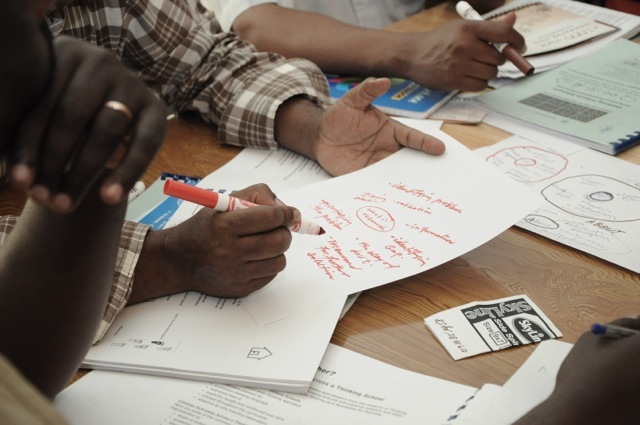 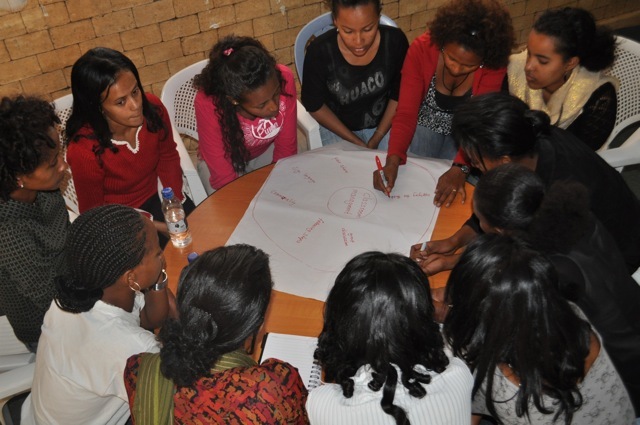 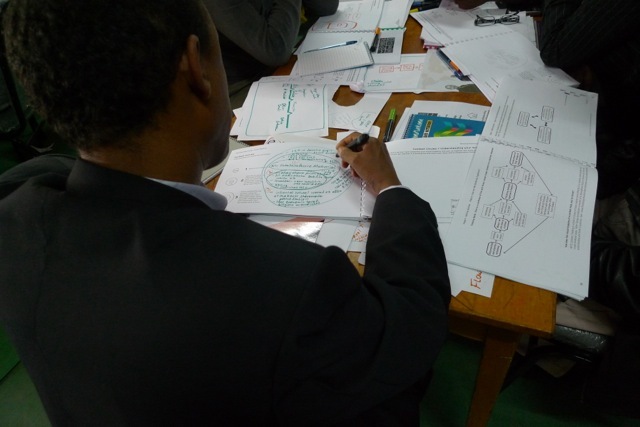 Visual Mapping is one of Thinking Schools Ethiopia’s Six Starting Points of Thinking which includes reflective questioning; thinking skills; visual mapping; collaborative networking; developing dispositions; and structuring environment. 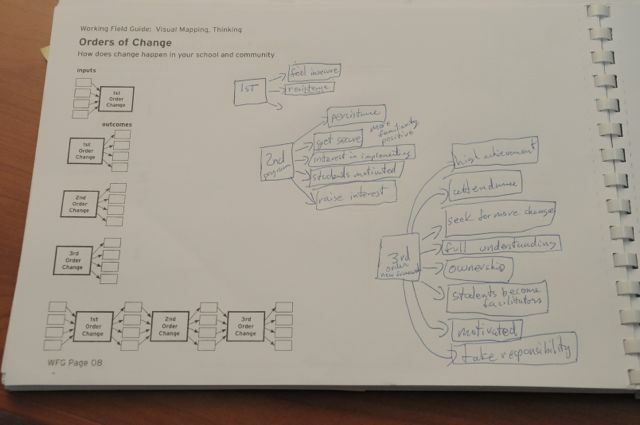 This blog posting will explore Visual Mapping. 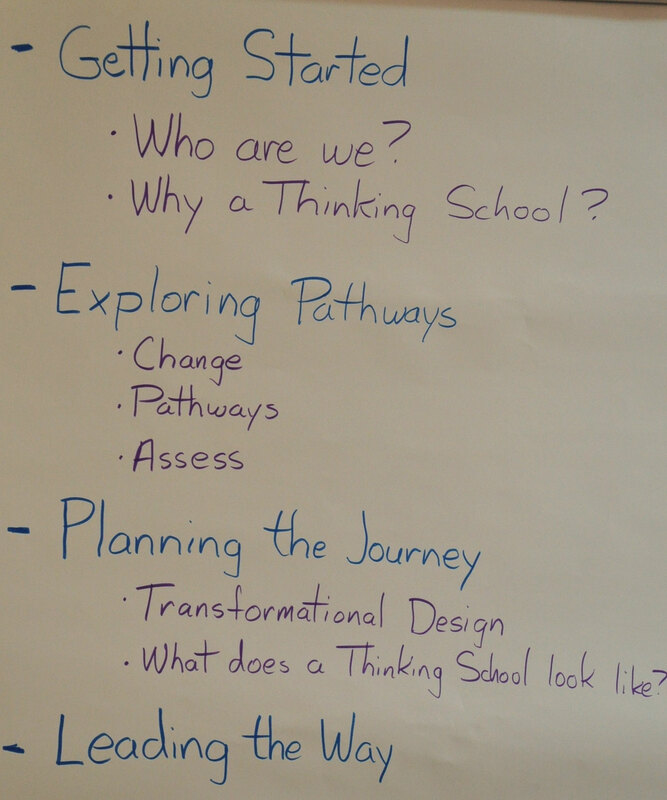 Schools that participate with Growing Thinking Schools professional development training can participate in sessions on Visual Mapping and Thinking Maps® as part of their whole school transformative design. 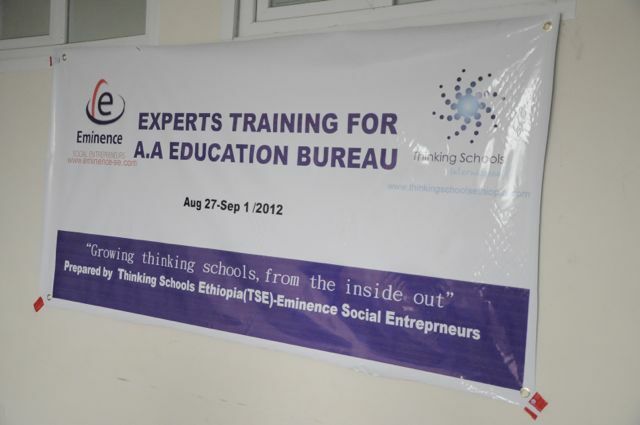 Read more on Thinking Schools Ethiopia and Thinking Schools Trainings on this website. 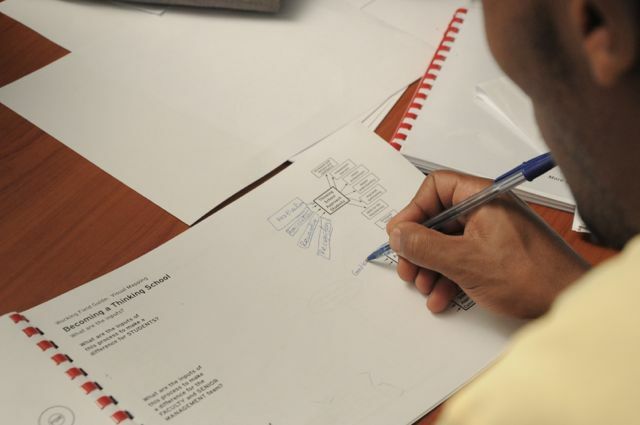 Visual mapping transforms the way we SEE thinking — SEEING the patterns of our thinking and with other people’s thinking. 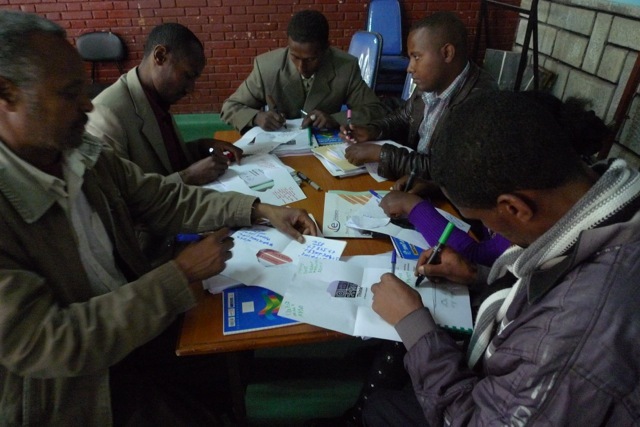 They are a tool to organize our thinking supporting deeper thinking and understanding. 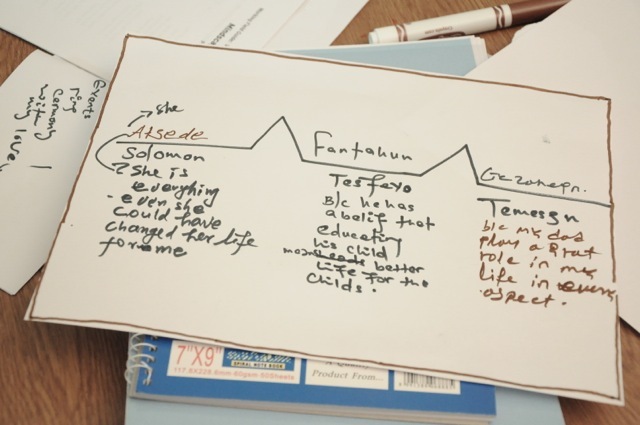 Visual mapping improves comprehension, writing and presentations. 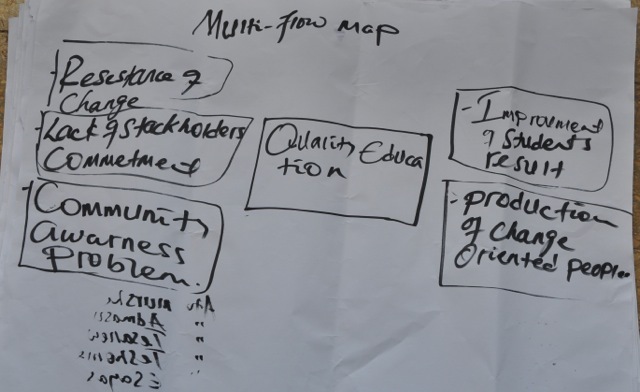 Think of how a road map is used: to ‘map’ out a journey and understand where a place is in context to other locations. 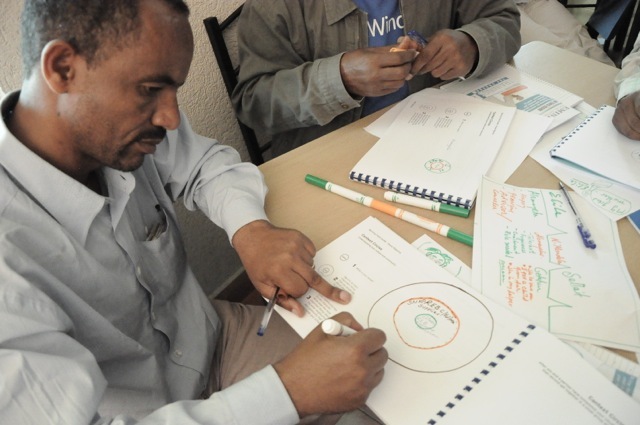 Visual mapping for organizing and seeing thinking provides a ‘road map’ for the mind. 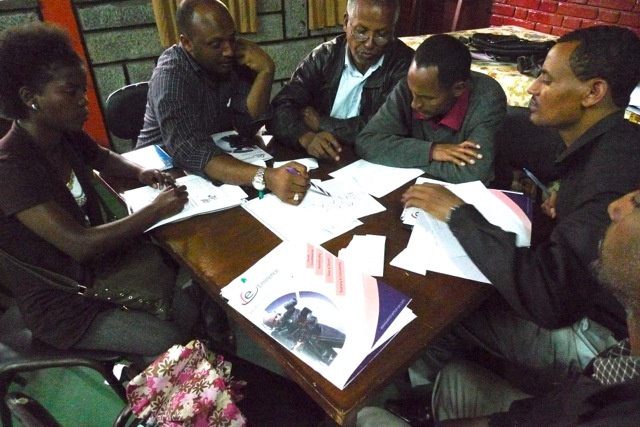 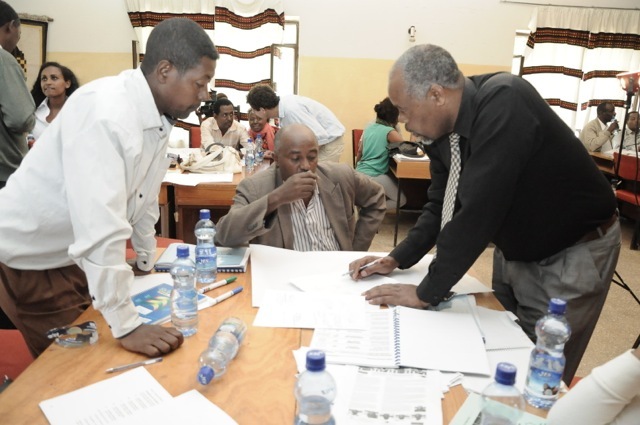 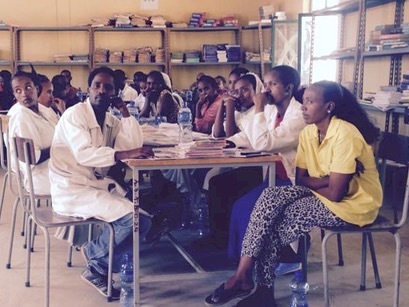 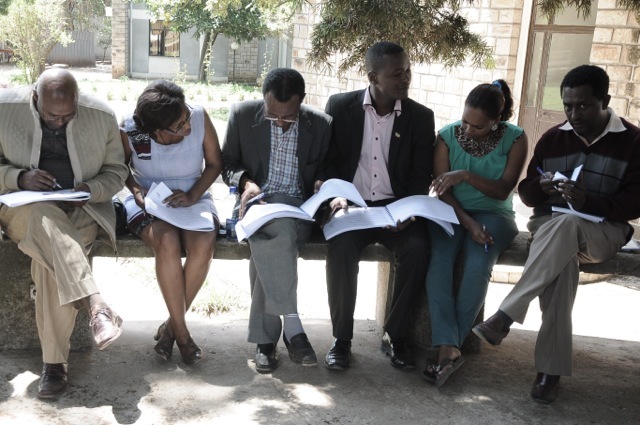 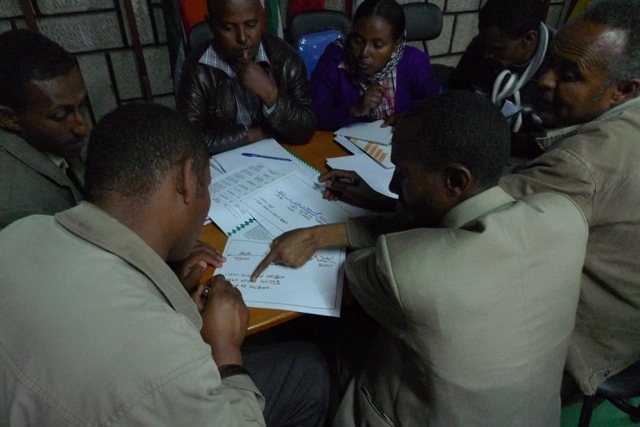 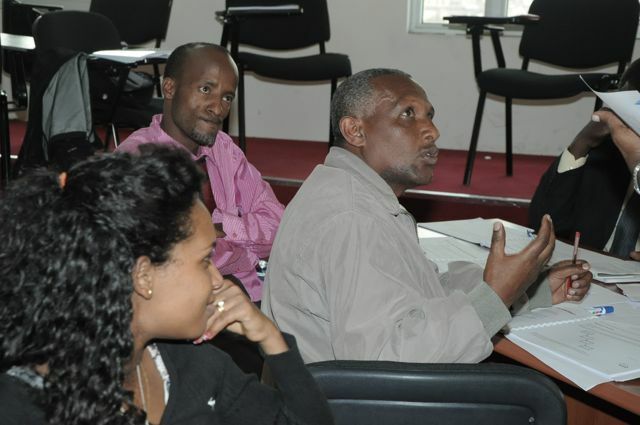 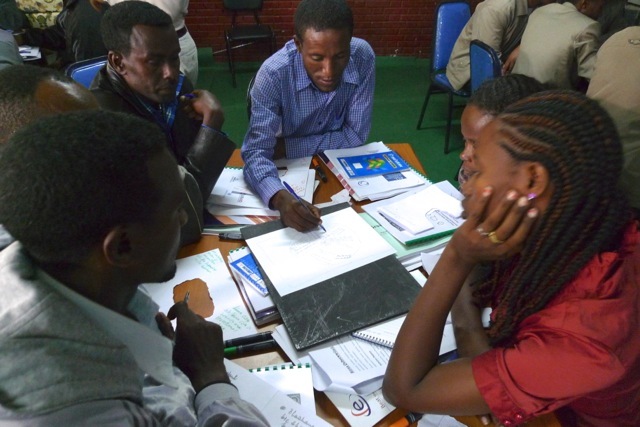 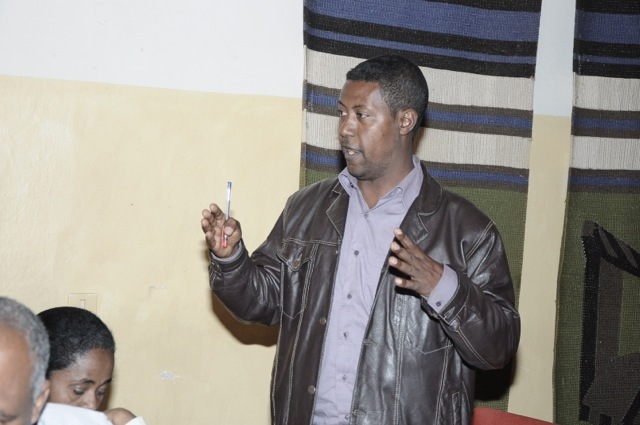 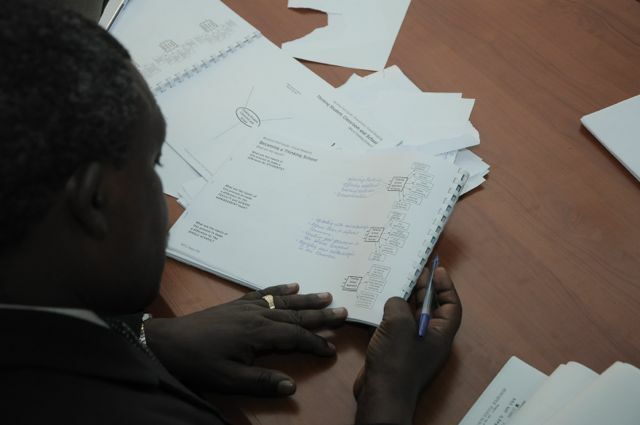 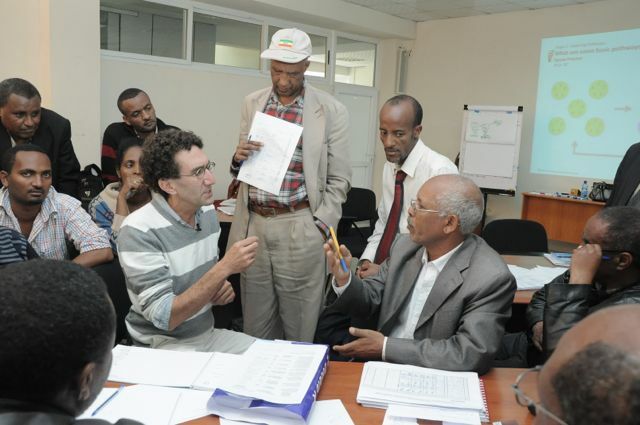 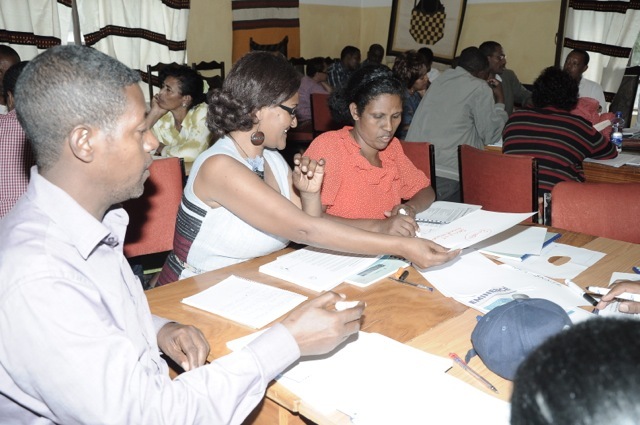 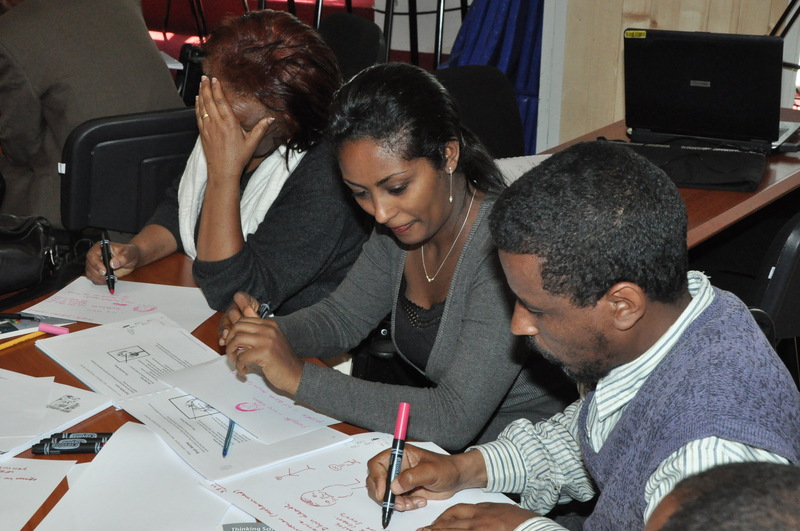 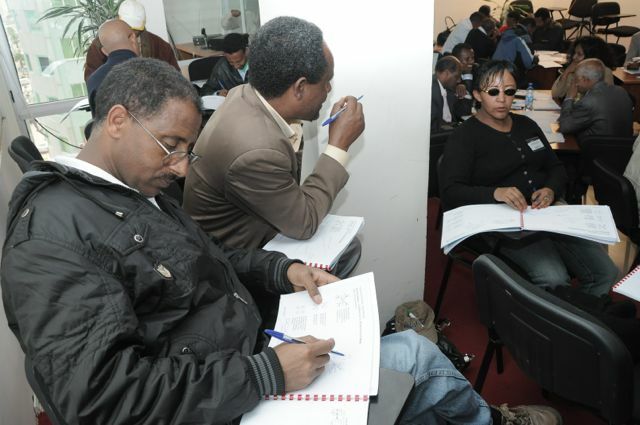 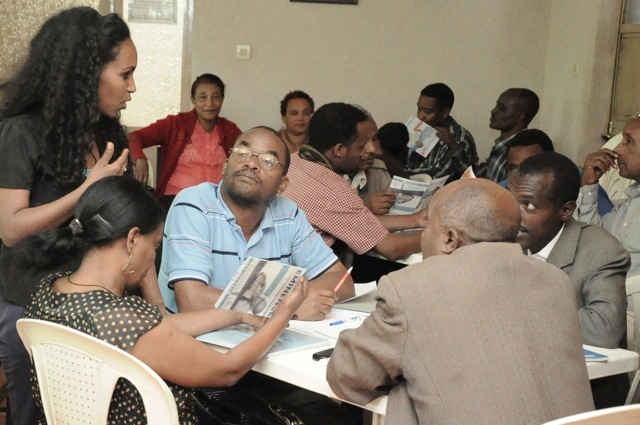 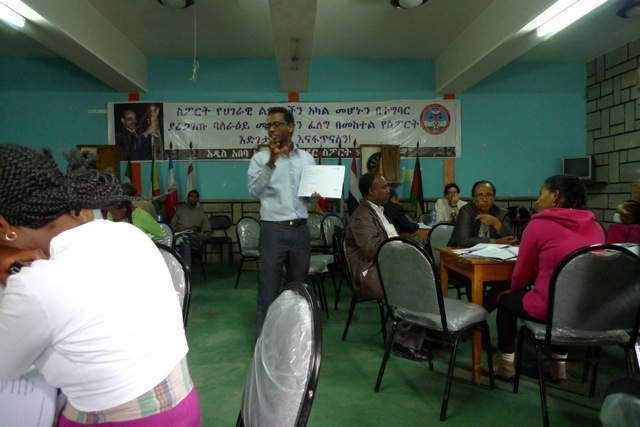 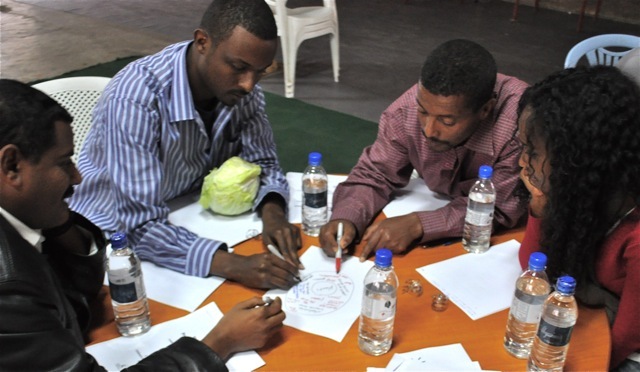 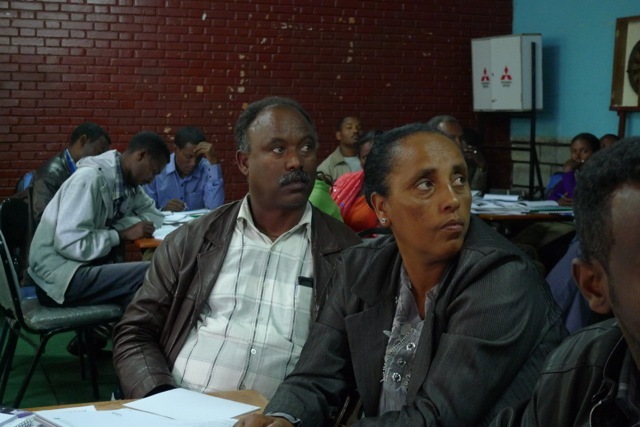 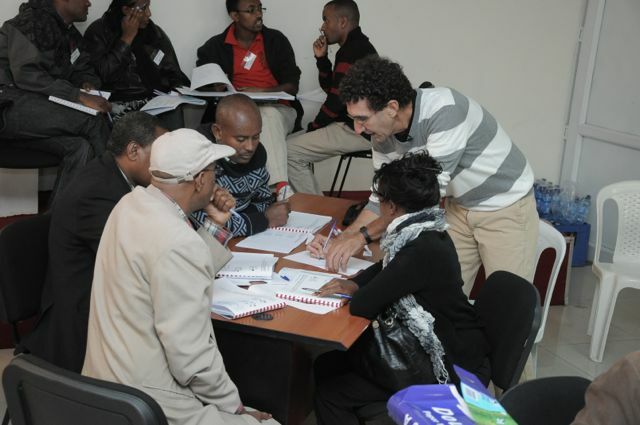 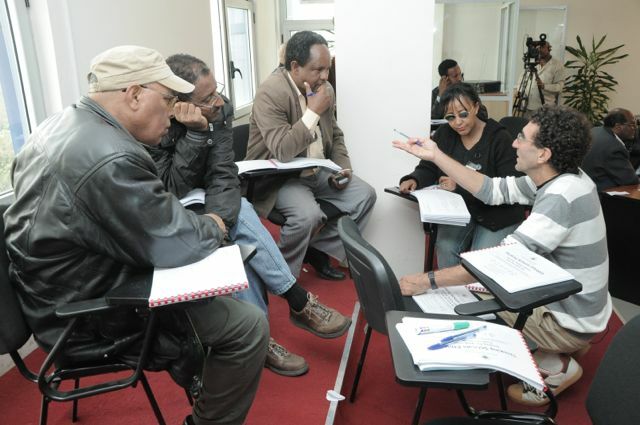 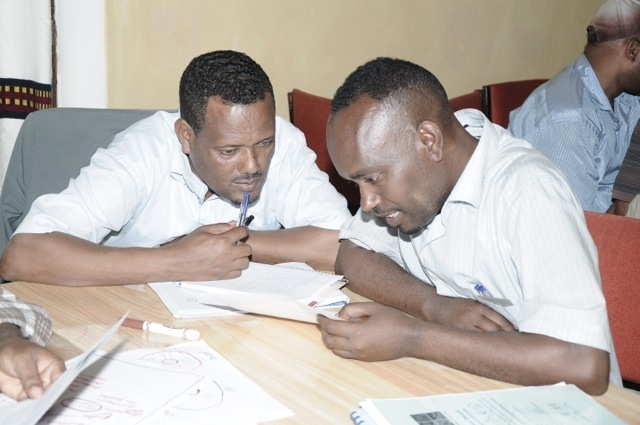 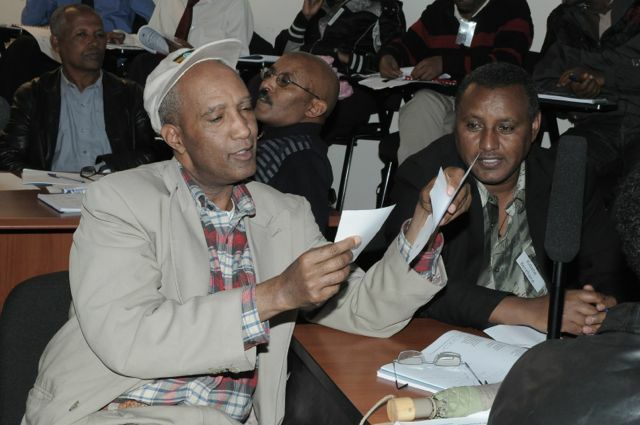 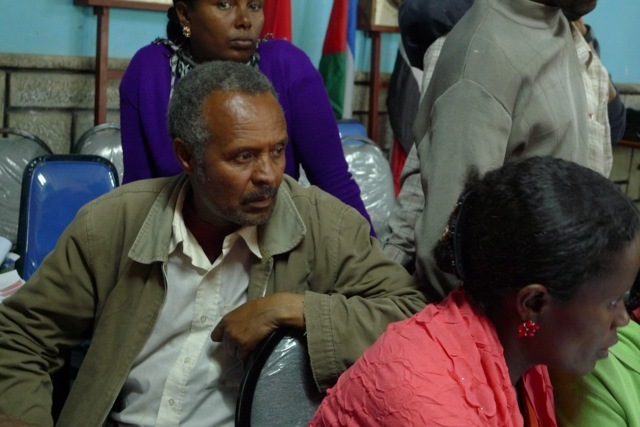 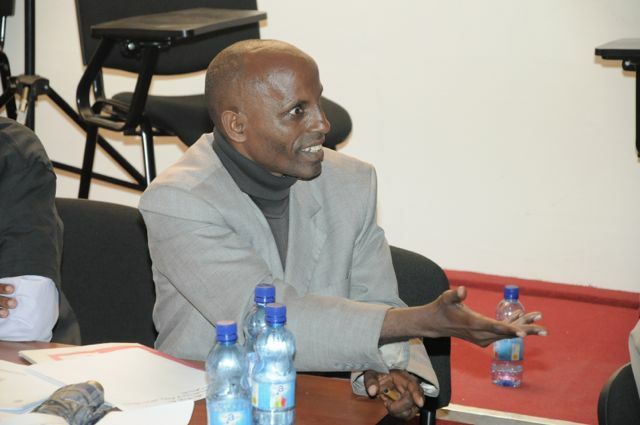 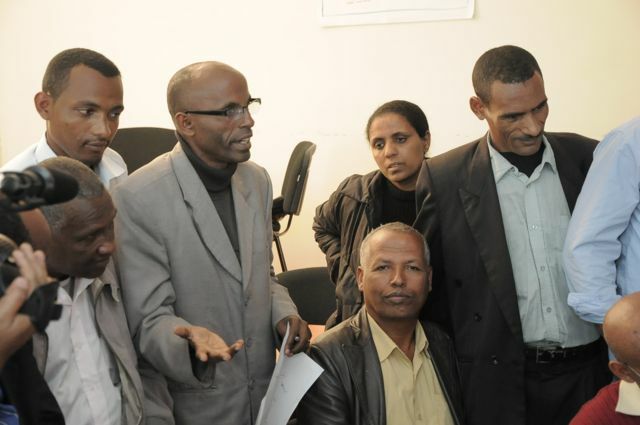 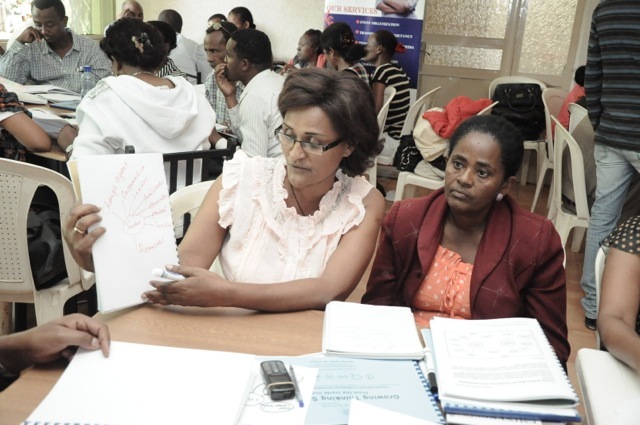 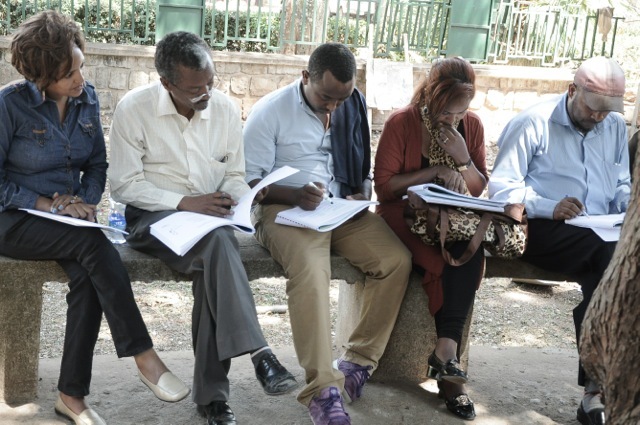 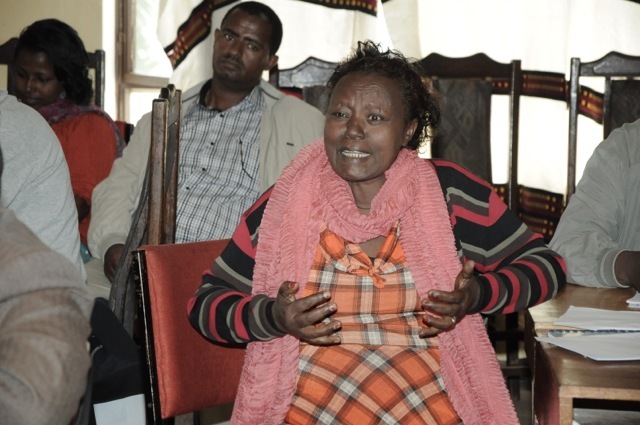 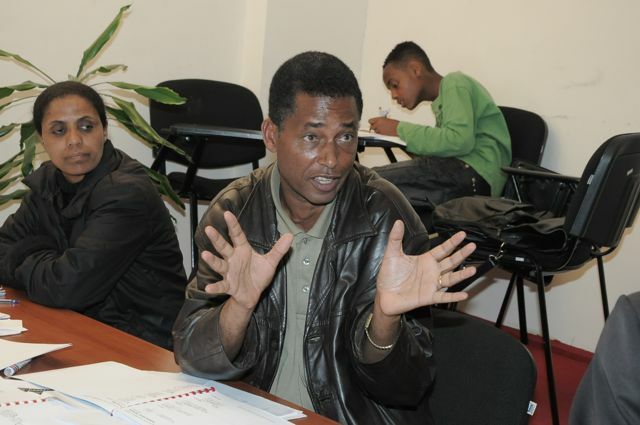 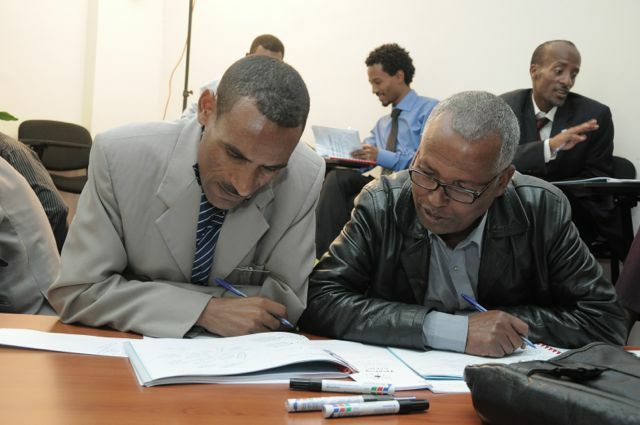 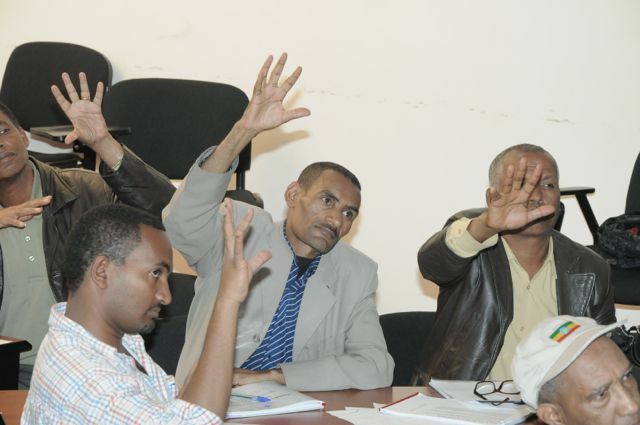 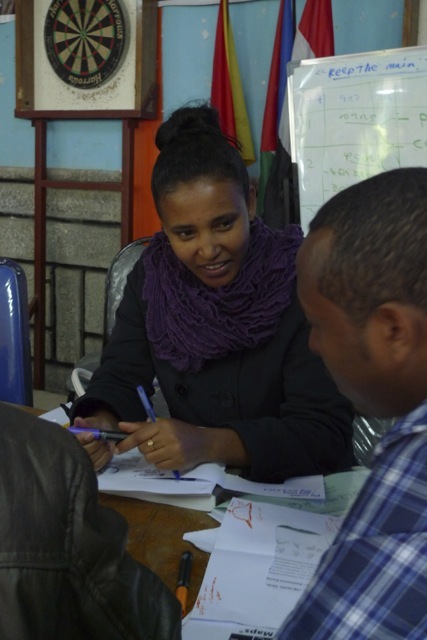 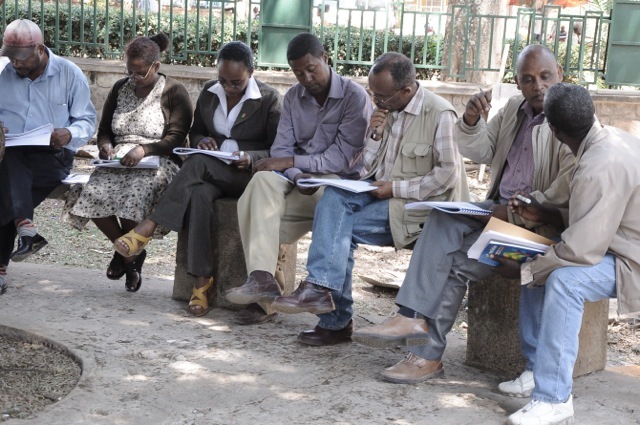 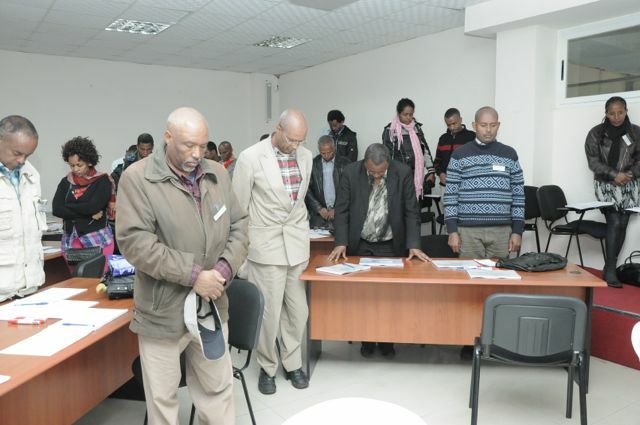 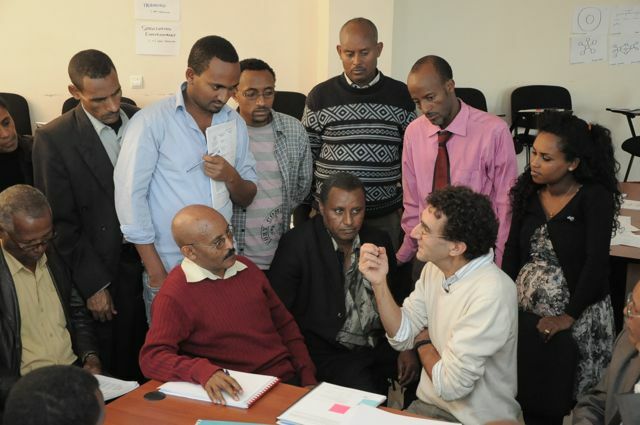 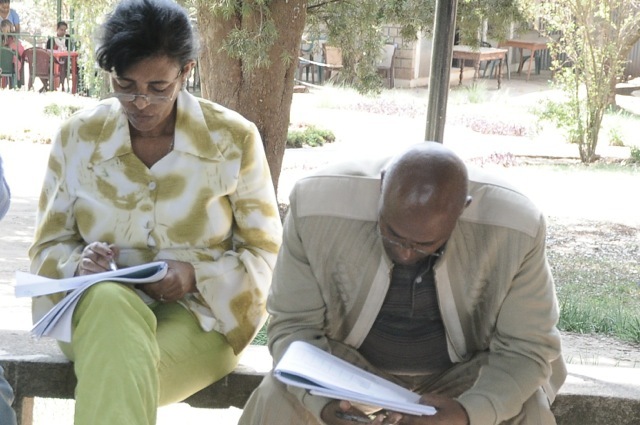 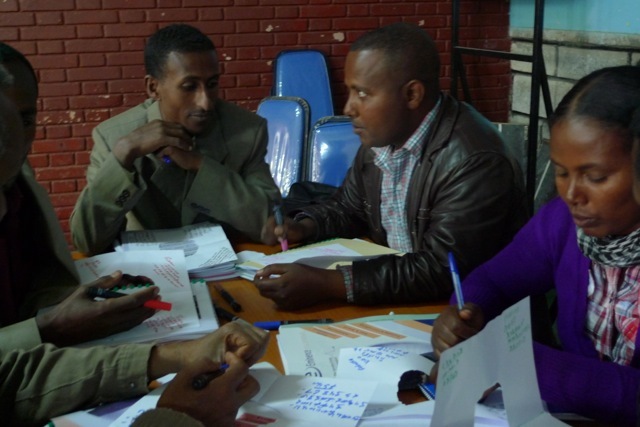 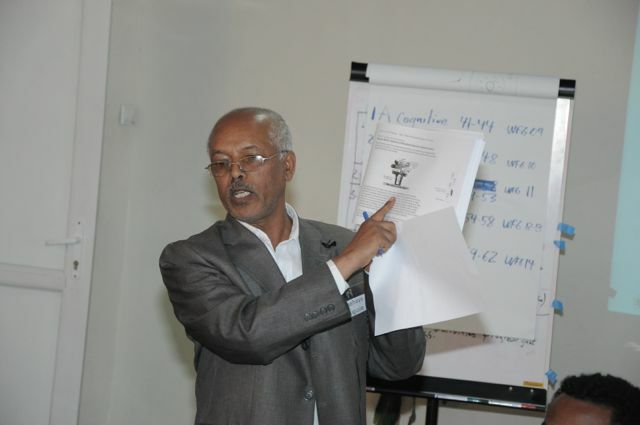 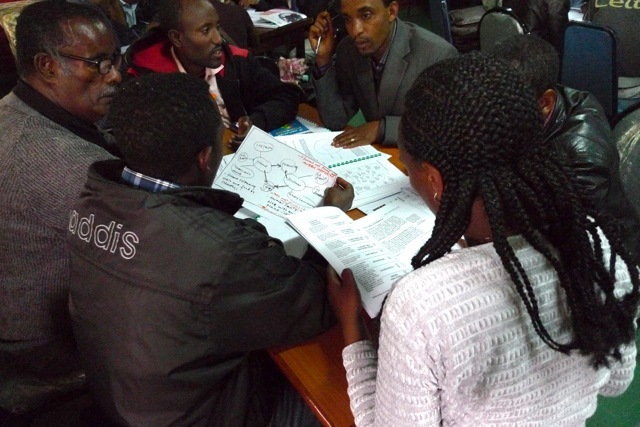 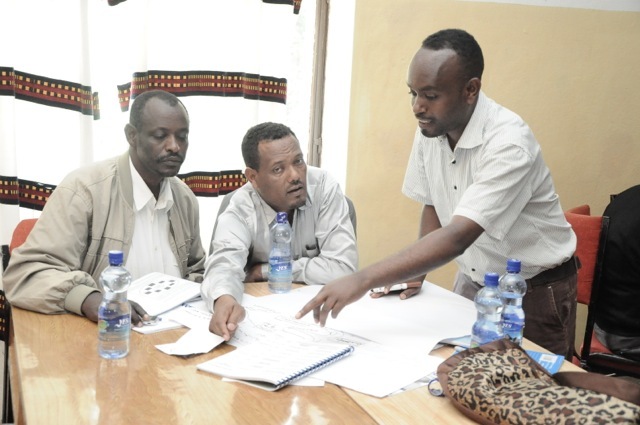 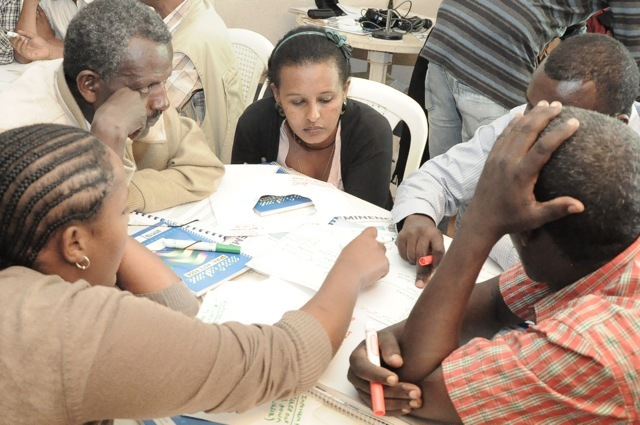 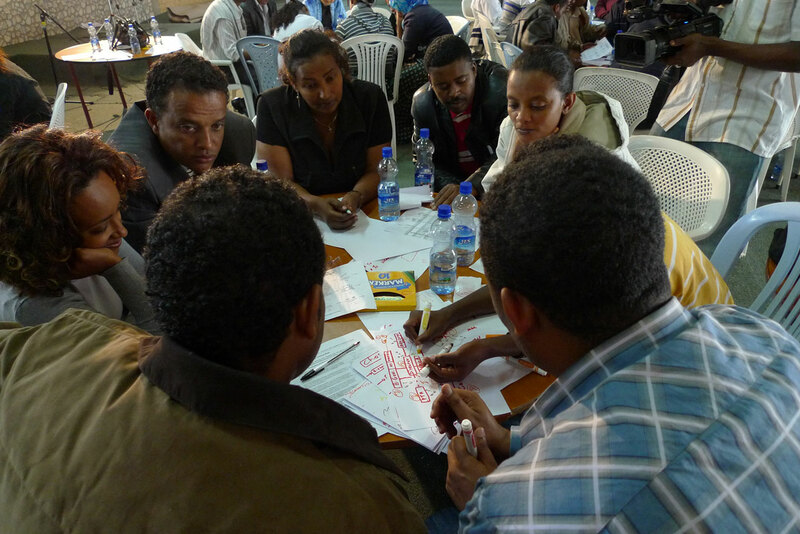 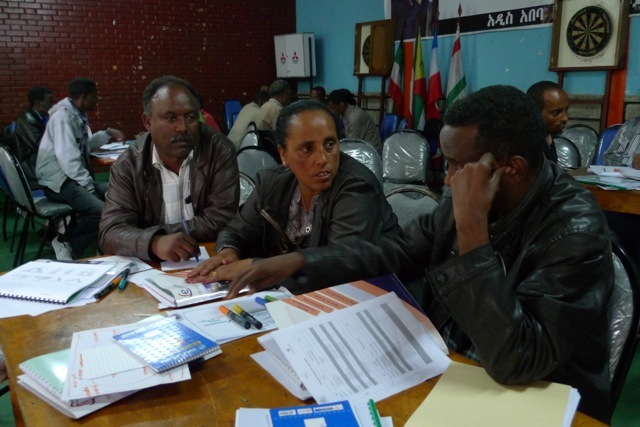 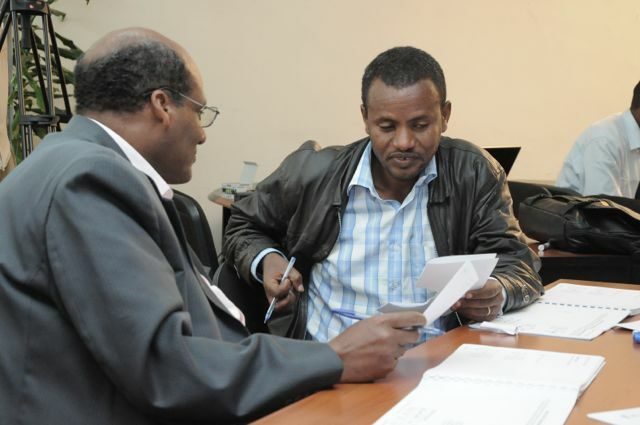 Thinking Schools Ethiopia uses Thinking Maps® in trainings – eight maps representing eight different ways the brain cognitively thinks and understands things. 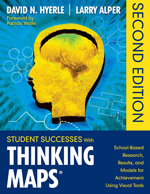 Watch the video below on Thinking Maps and brain research with Pat Wolf known for her work with the translation of brain research to classroom practice. 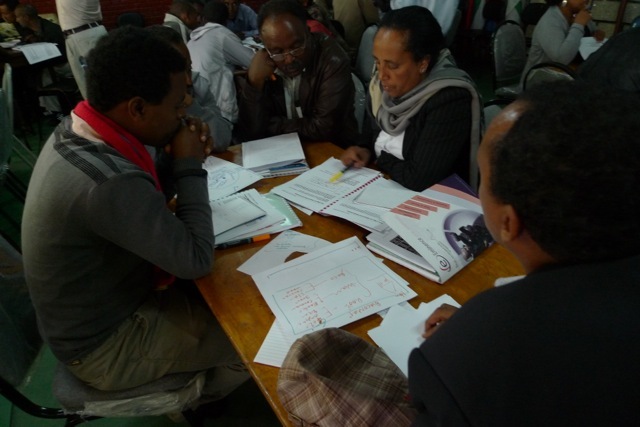 Thinking Schools Ethiopia professional development training starts with the initial two day Growing Thinking Schools training. 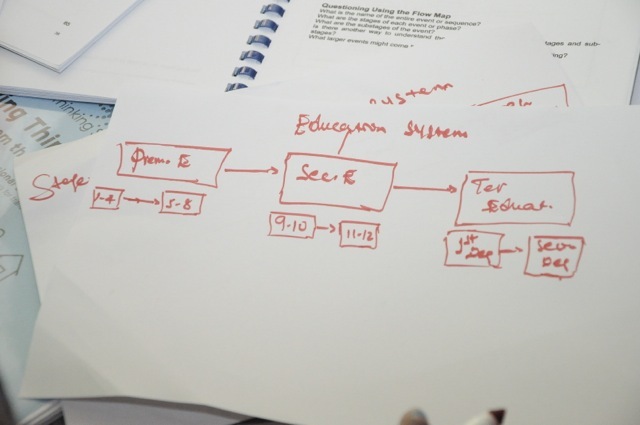 During this workshop leadership teams develop their ‘journey’ with a visual flow map of the steps they will have the staff train and master. 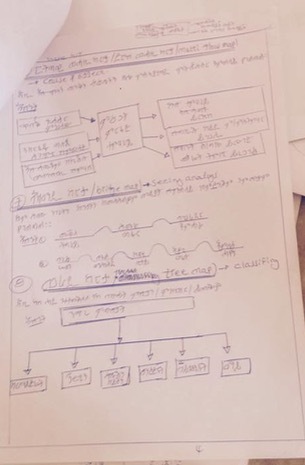 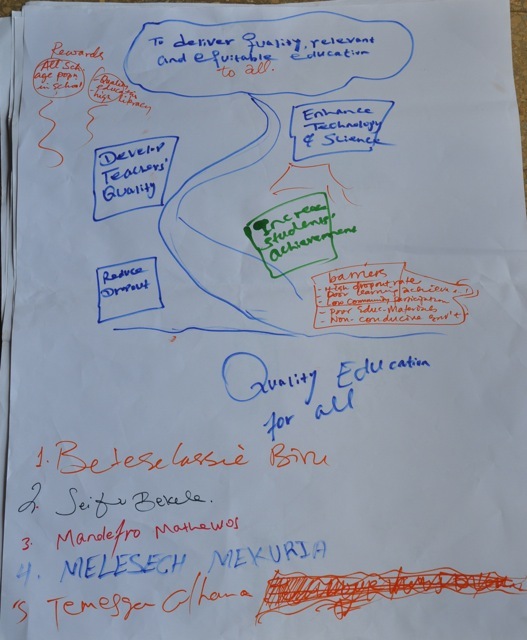 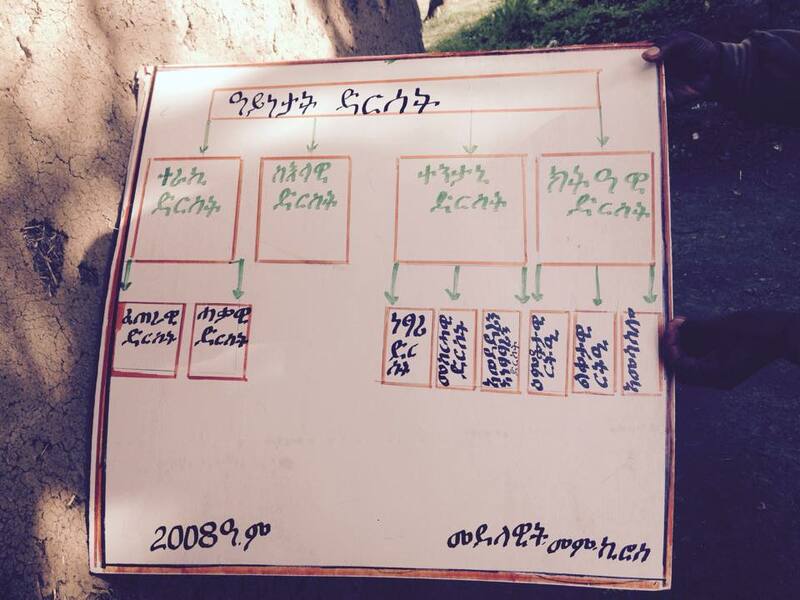 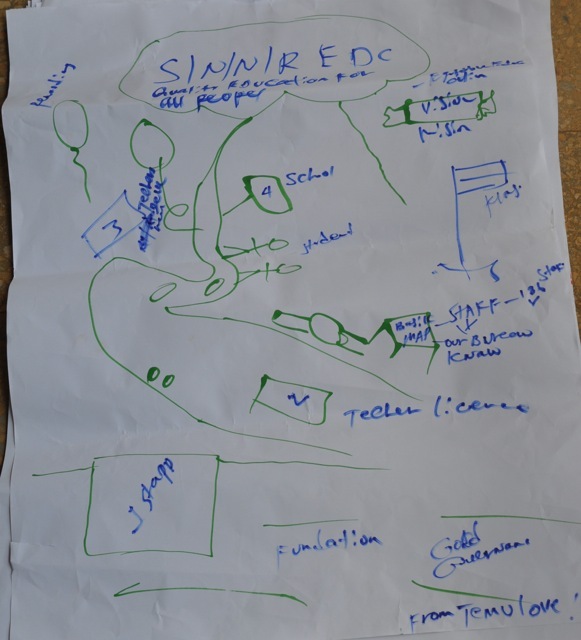 While each school might have different starting points, visual mapping is often an excellent entry point for developing the whole school with Thinking Schools Ethiopia. 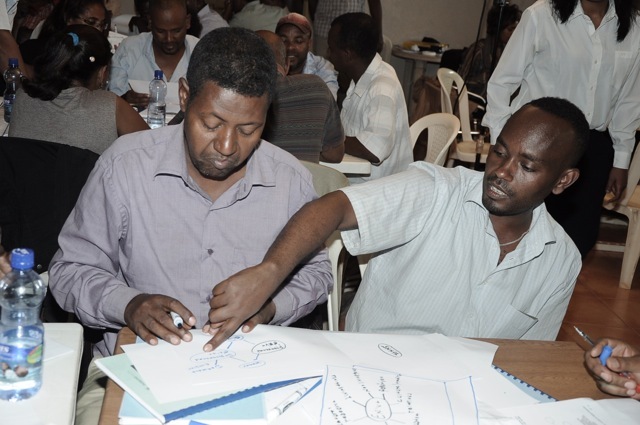 Visual Mapping is one of the six starting points of thinking that the staff may decide to learn, use and master. 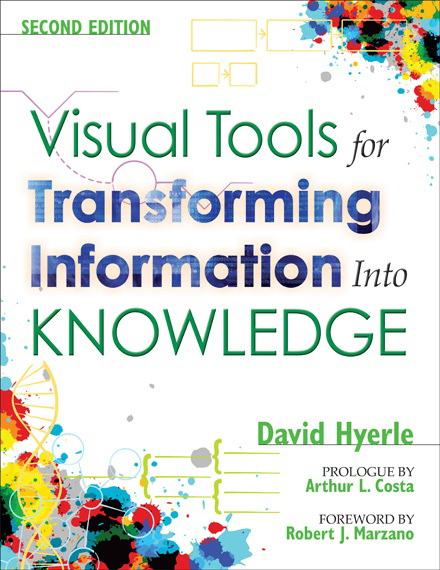 See the 14 February blog posting for information on David Hyerle – international expert on Visual Mapping and the creator of Thinking Maps who will be in Addis Ababa from the 4th-8th March. 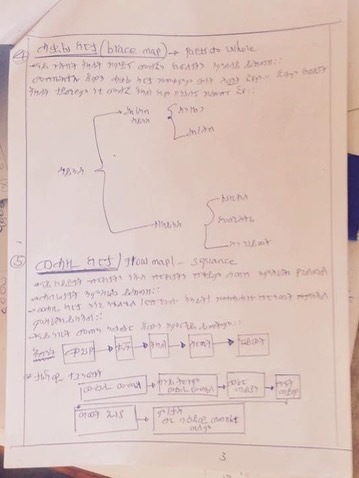 Contact Bereket Aweke for more details. 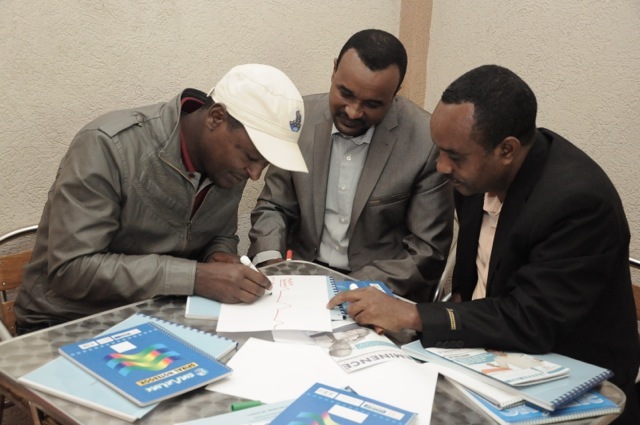 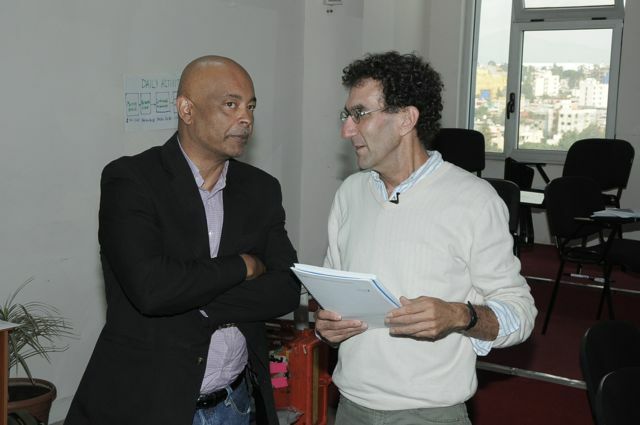 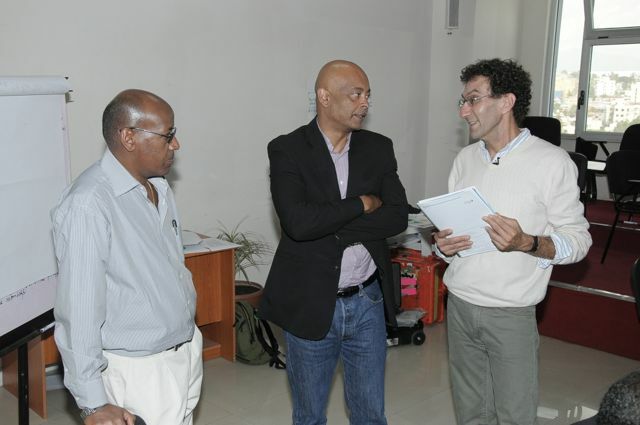 Thank you Geoffrey Suddreth, General Manager of Thinking Maps®, Inc. and David Hyerle, creator of Thinking Maps® and founder of Thinking Foundation for providing use of Thinking Maps® with professional development for school leaders, NGO leaders and educators in Ethiopia. 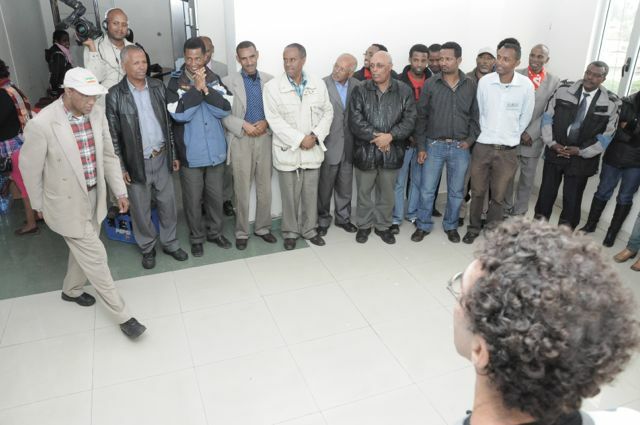 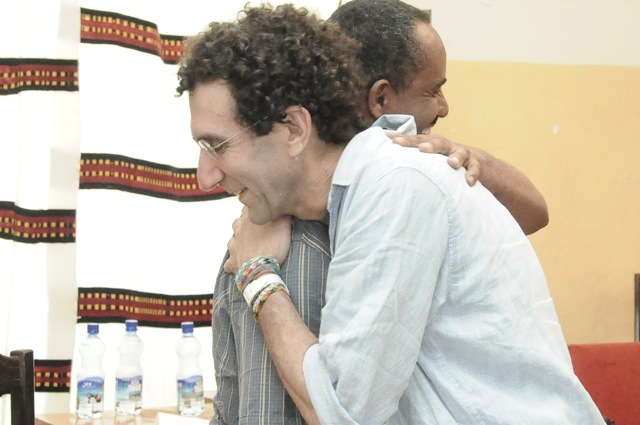 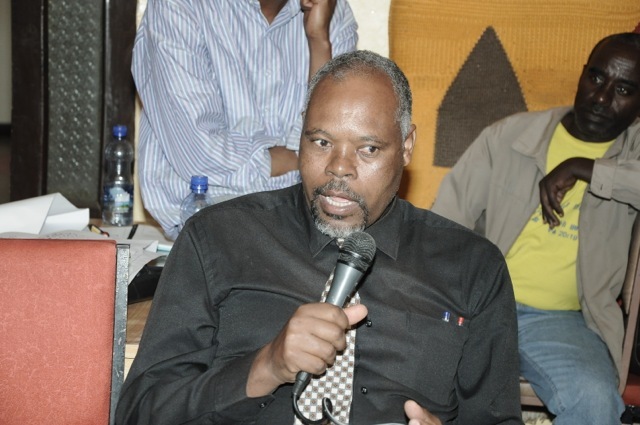 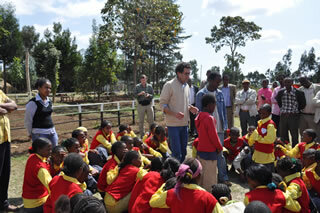 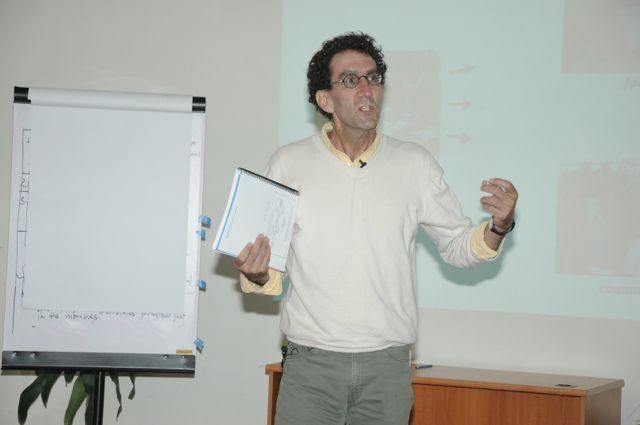 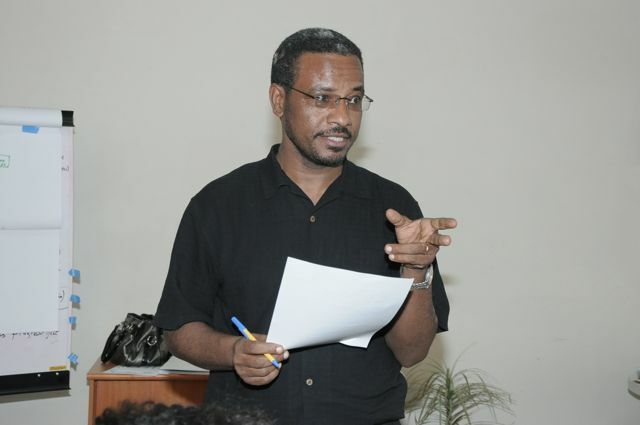 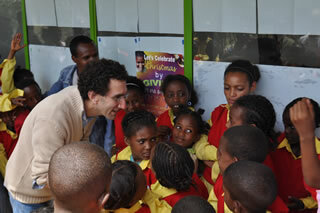 Dr. David Hyerle will be visiting Eminence (Thinking Schools Ethiopia) on March 3-8, 2012. 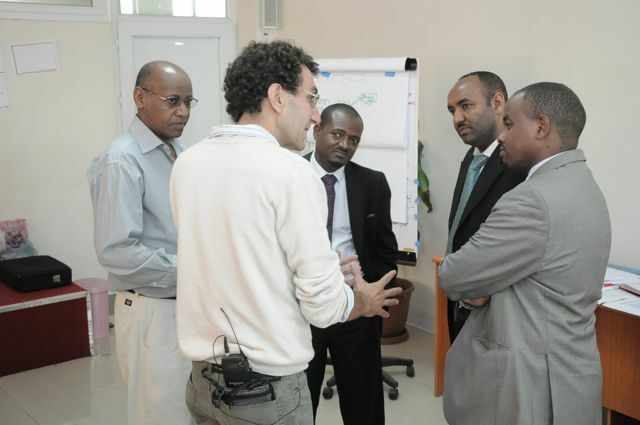 During this visit, he will meet and discuss with select government officials and partners both from the government and private sector. 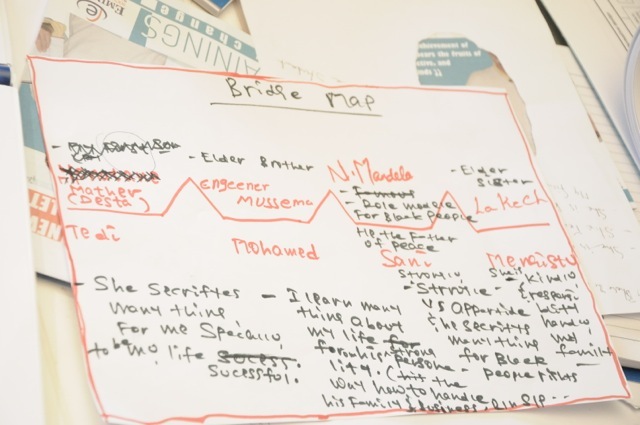 The creation of his Thinking Maps model emerged from his experiences as a middle school teacher in inner city Oakland, California, USA. 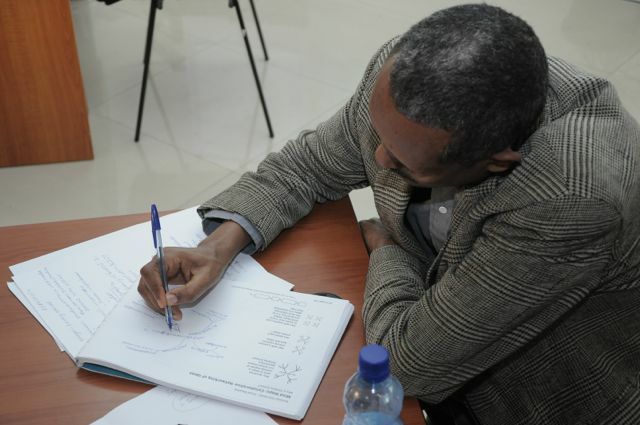 His development of Thinking Maps was also informed by his work with the Bay Area Writing Project and the Cognitive Coaching model. 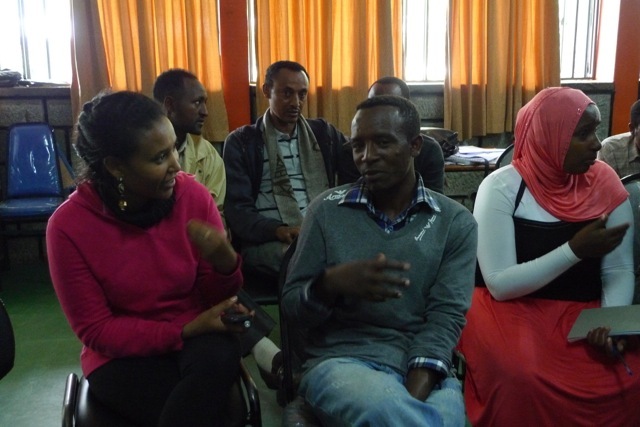 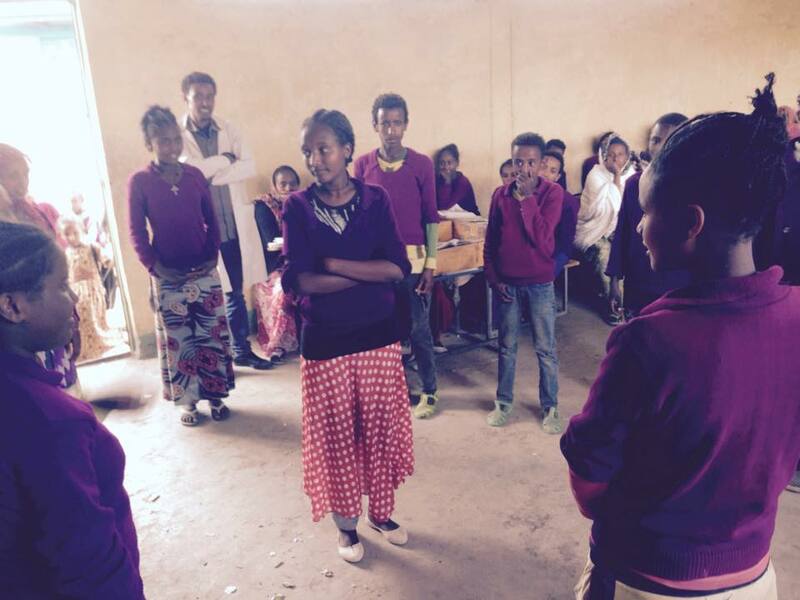 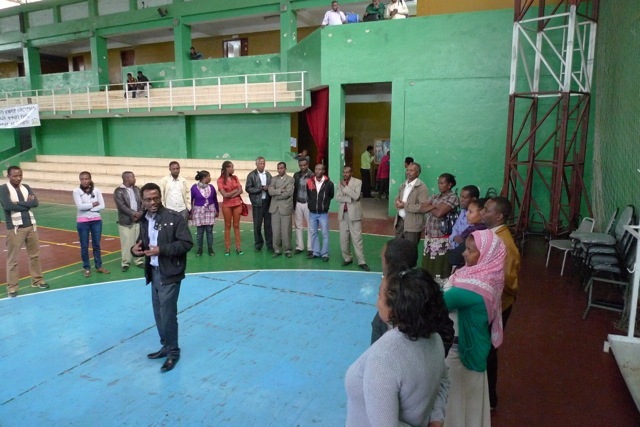 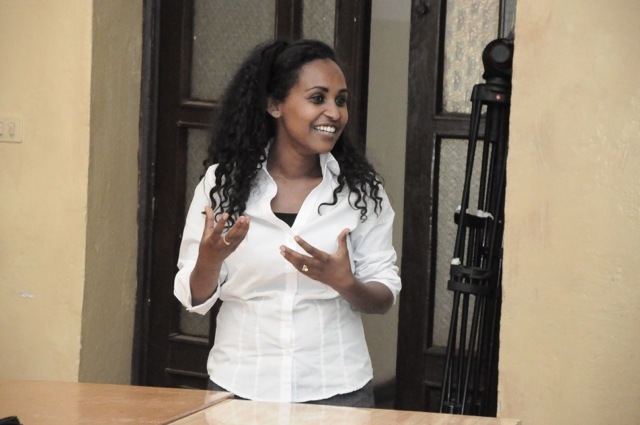 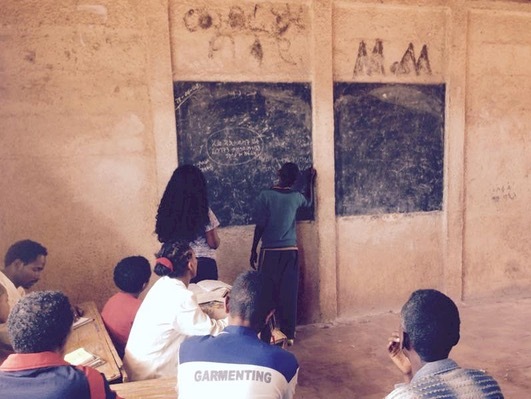 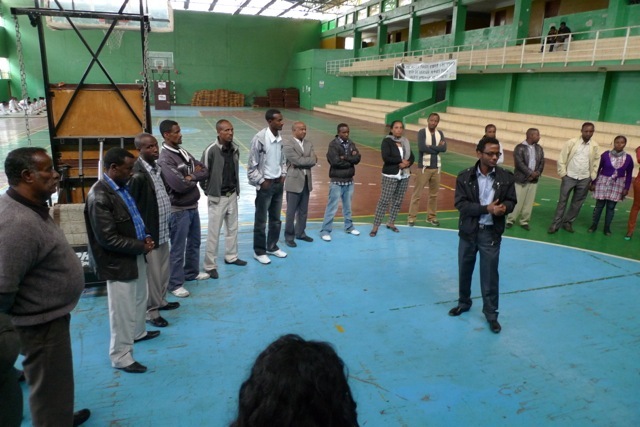 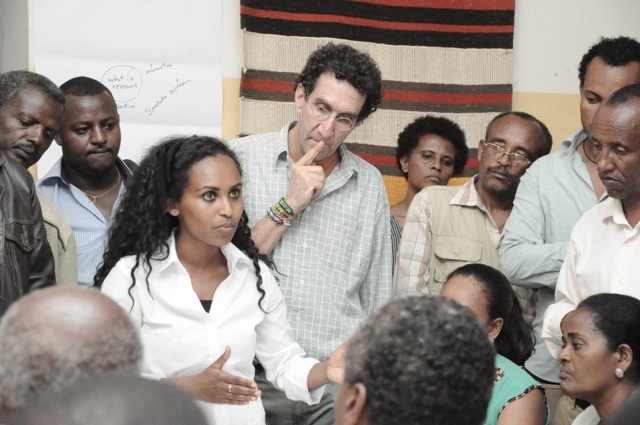 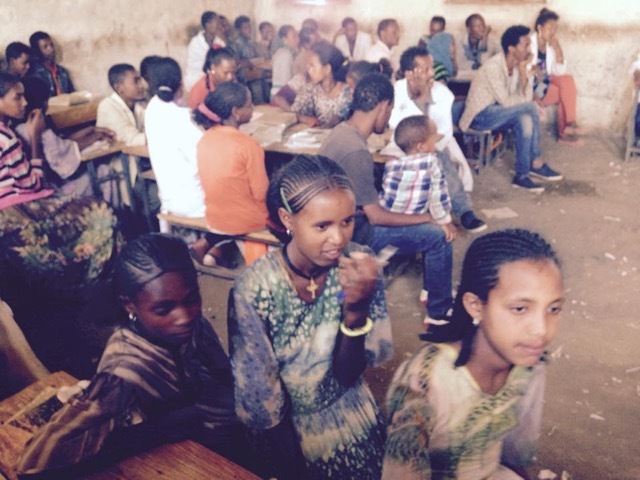 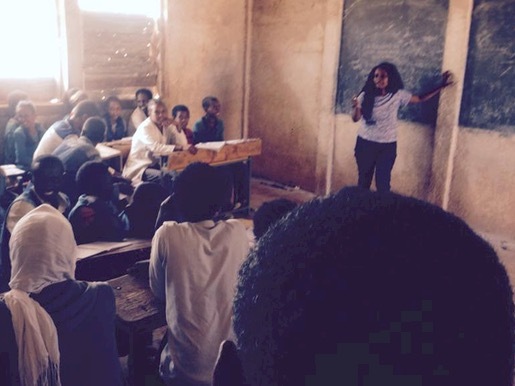 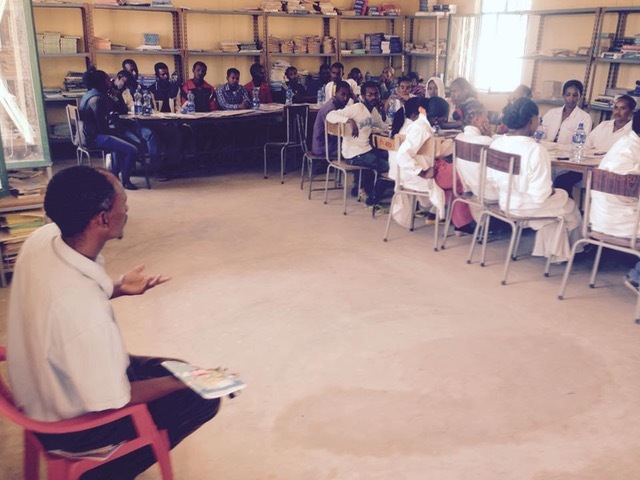 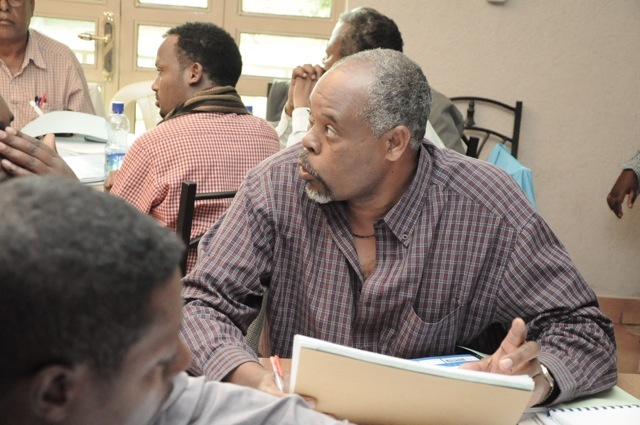 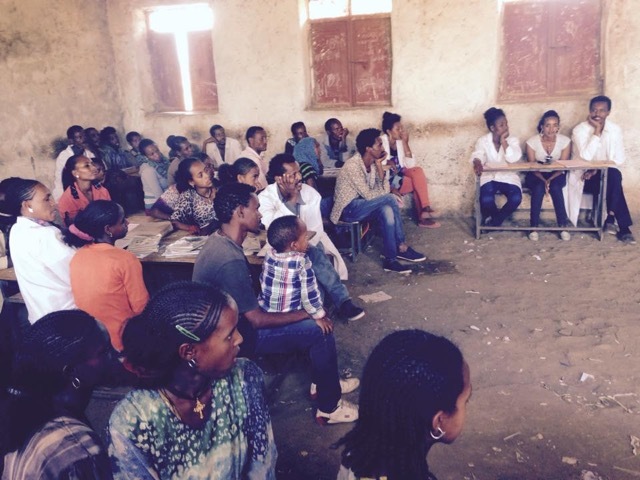 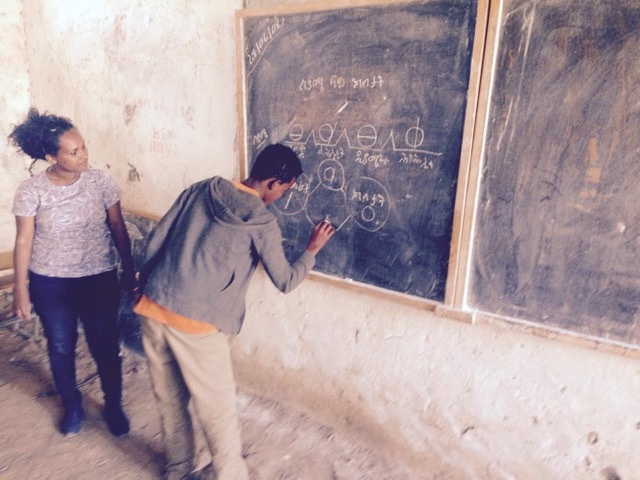 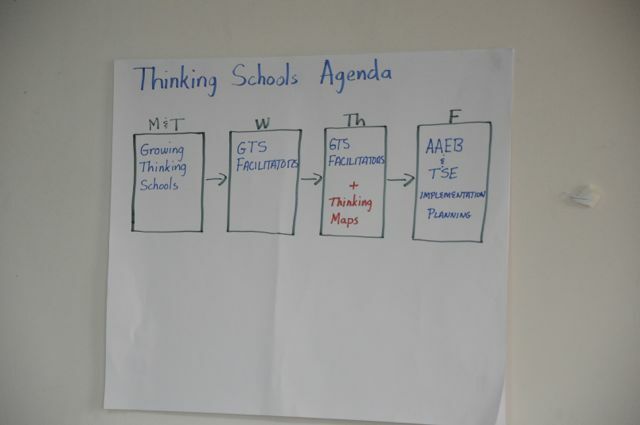 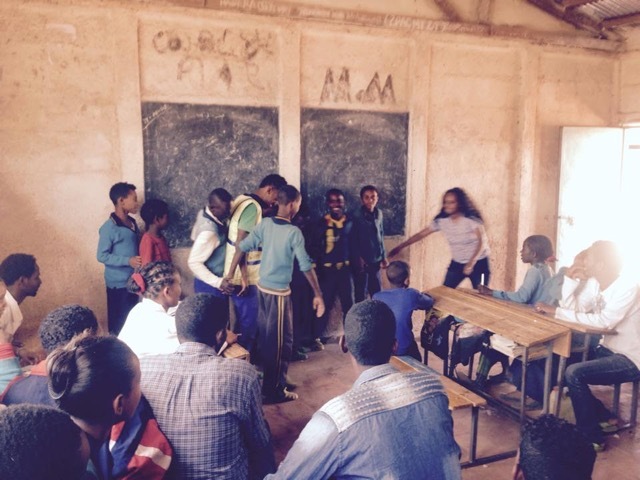 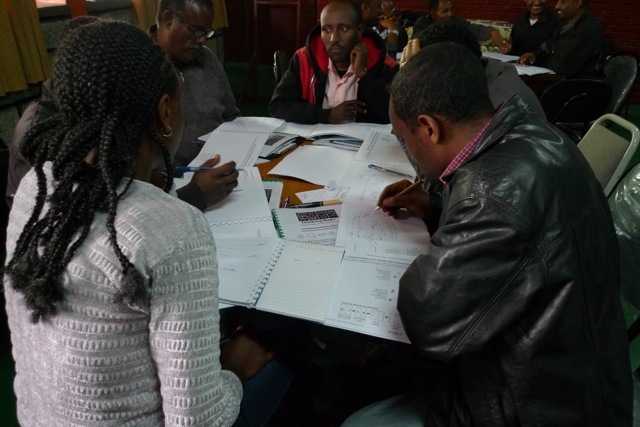 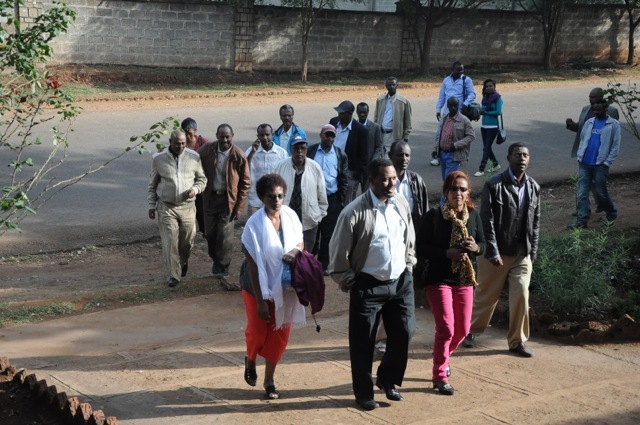 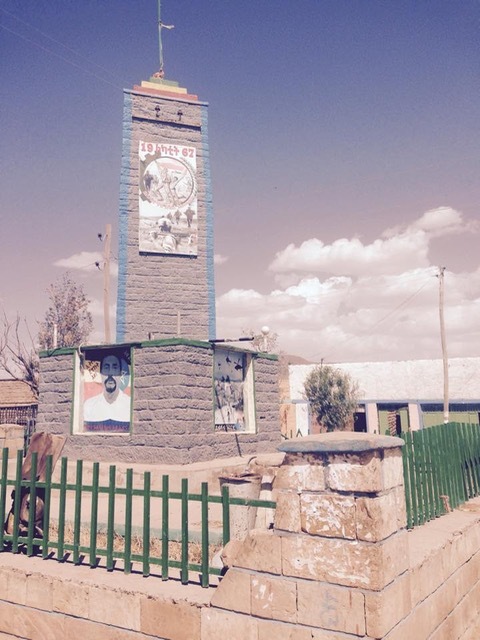 This is the first of several upcoming postings that will provide an overview of the Thinking Schools Ethiopia process – beginning with the initial Growing Thinking Schools two day workshops. 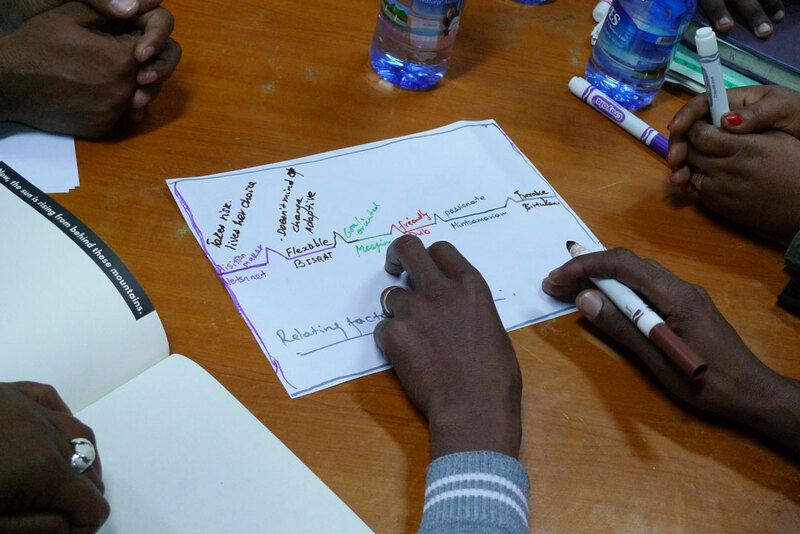 The upcoming blogs will look into each of the Six Starting Points of Thinking (visual mapping, reflective questions, environmental structure, collaborative networking, thinking skills and dispositions) as well as assessment and IT integration. 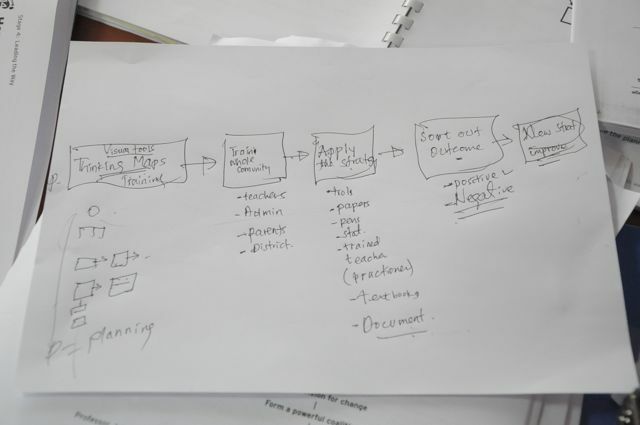 Each of the six starting points of thinking will be highlighted separately and how they are a transformative design collectively in upcoming blogs. 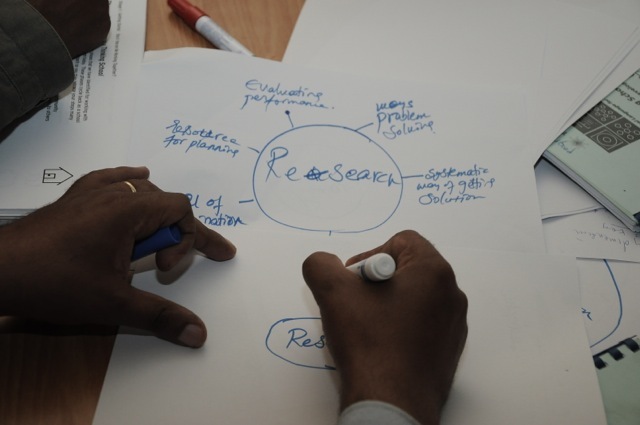 Any reflections and/or questions are appreciated in the ‘responses’ section. 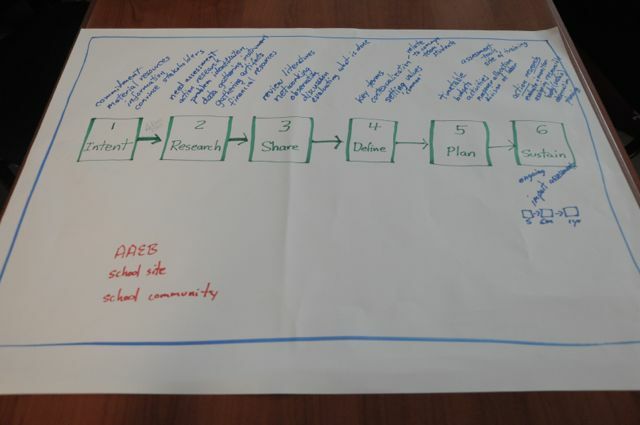 —create a plan that includes mastery for the leadership team, the teachers, the school support staff, the students, and the greater community. 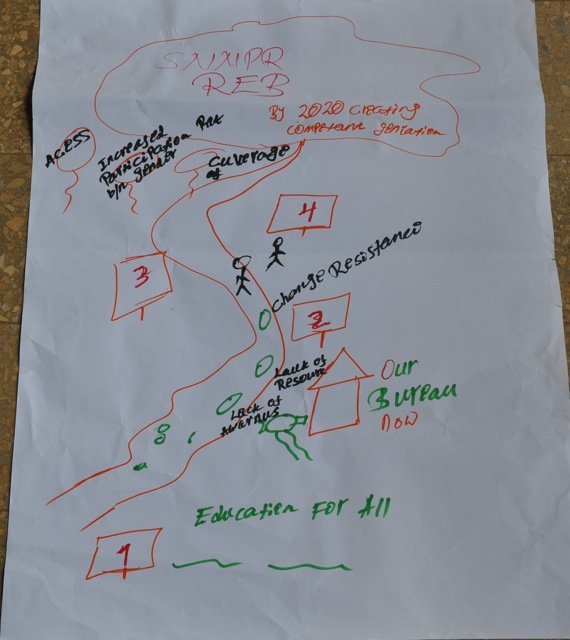 Click on the images above to see the full photos and/or visual mapping. 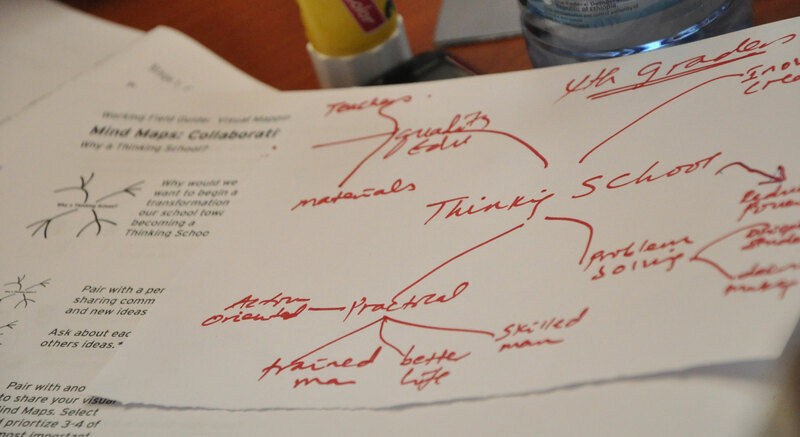 Each of the six starting points of thinking will be highlighted separately and how they are a transformative design collectively in upcoming blogs. 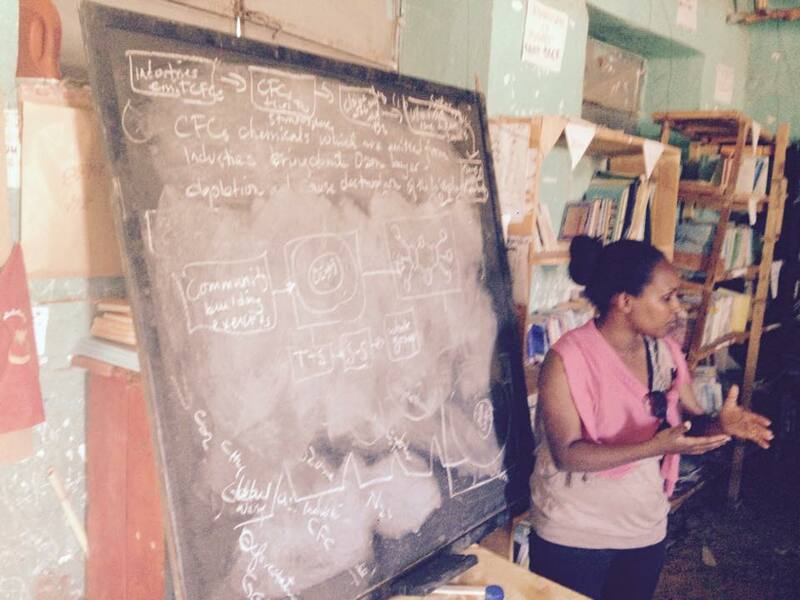 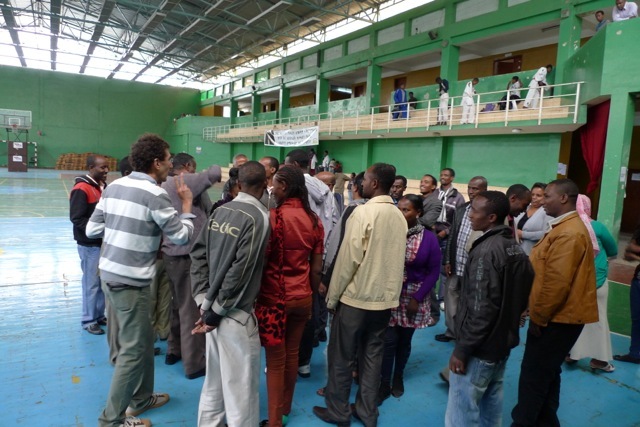 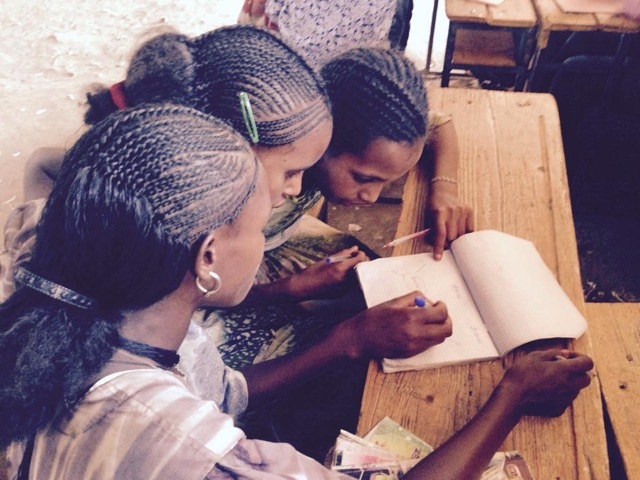 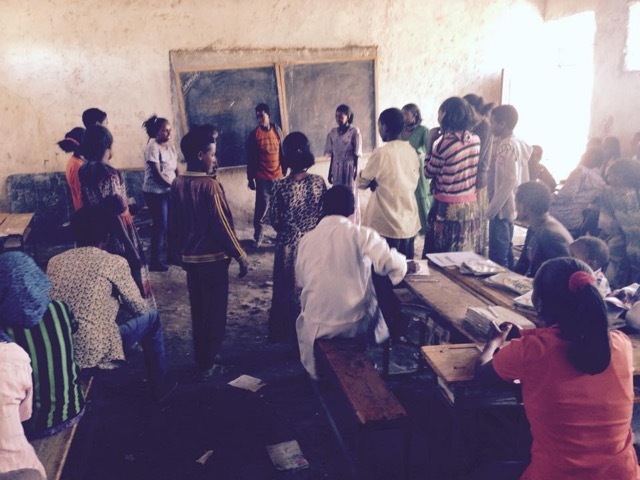 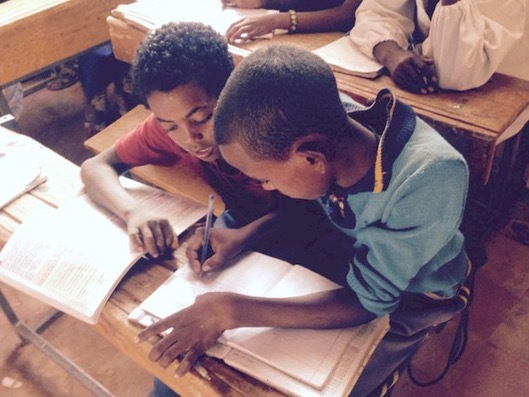 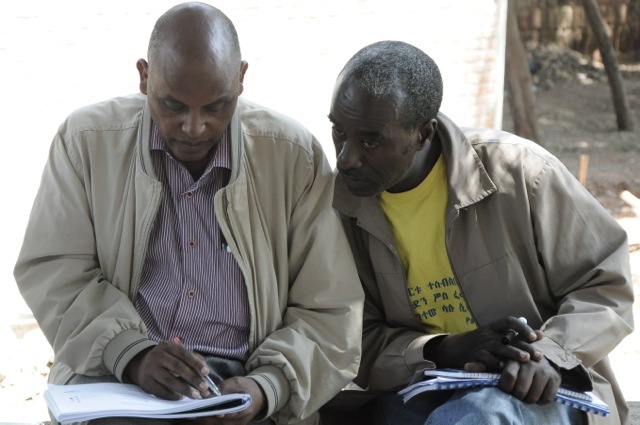 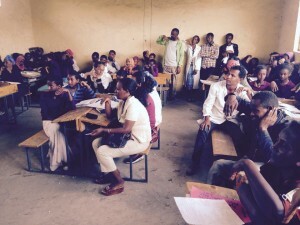 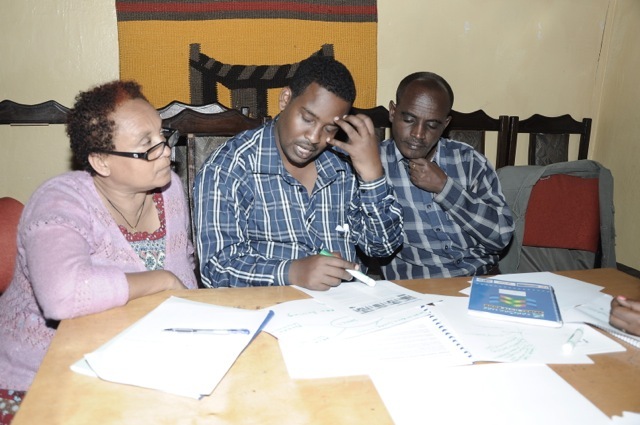 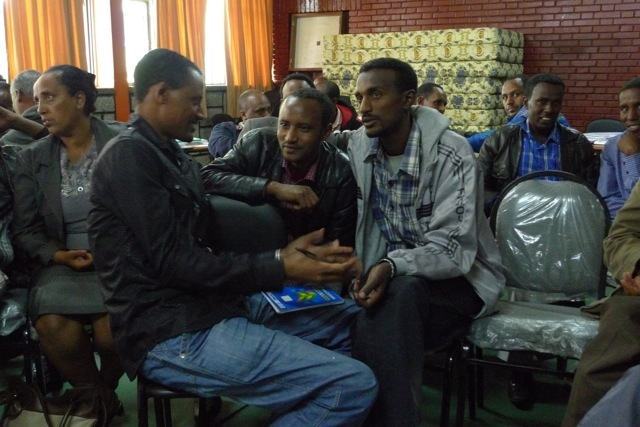 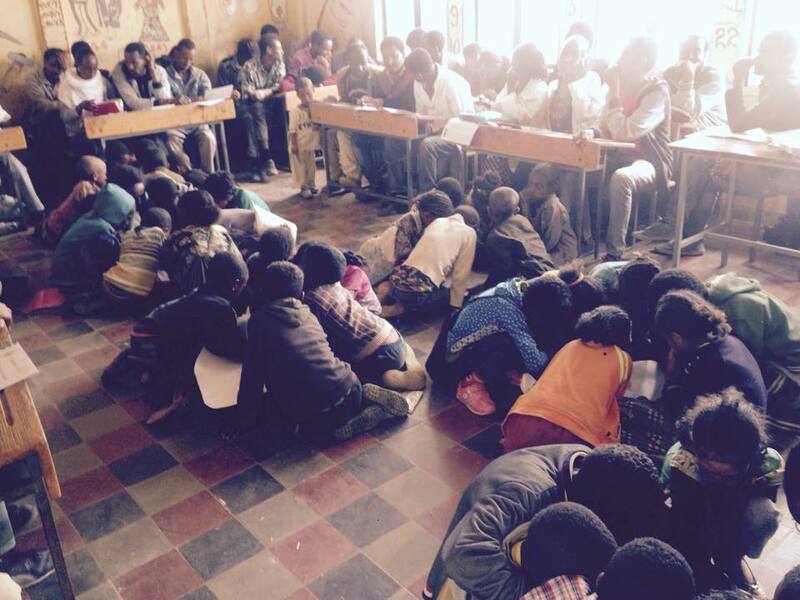 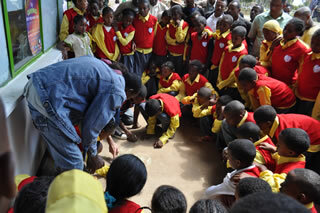 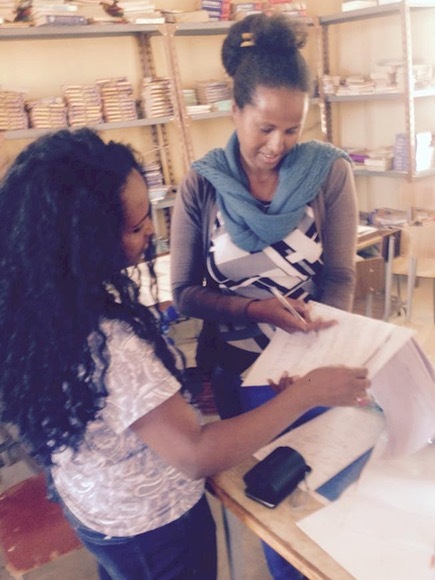 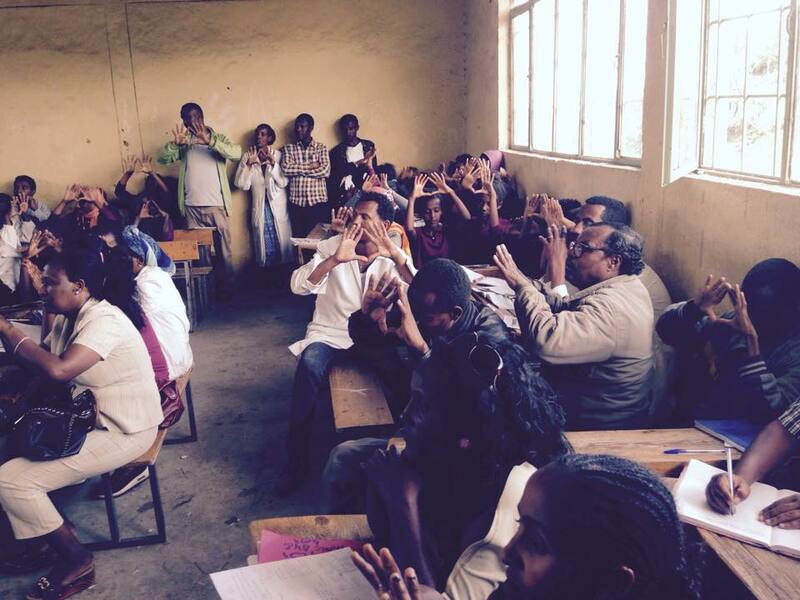 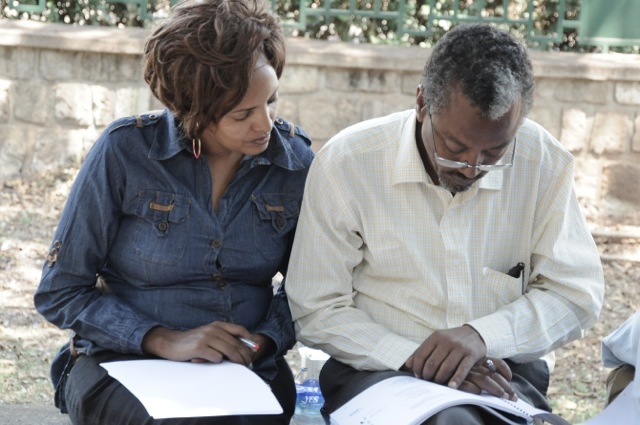 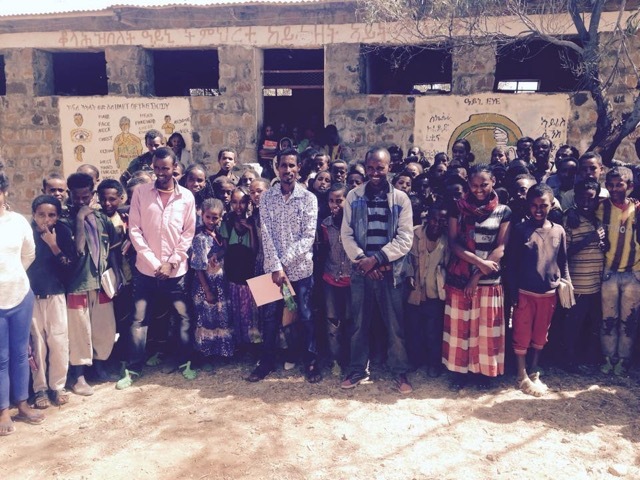 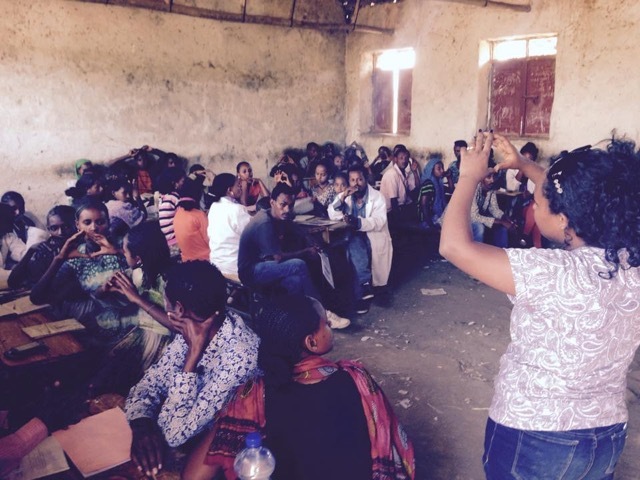 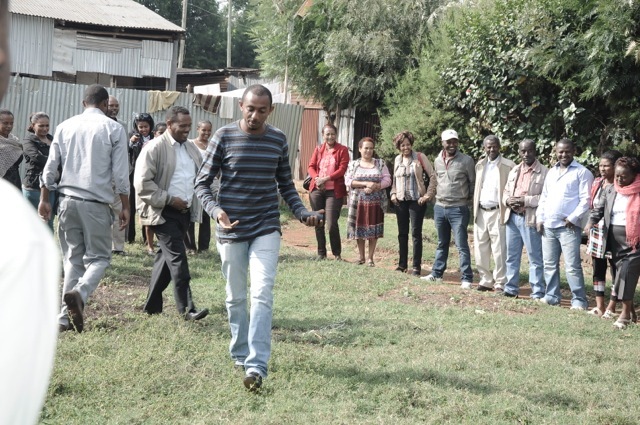 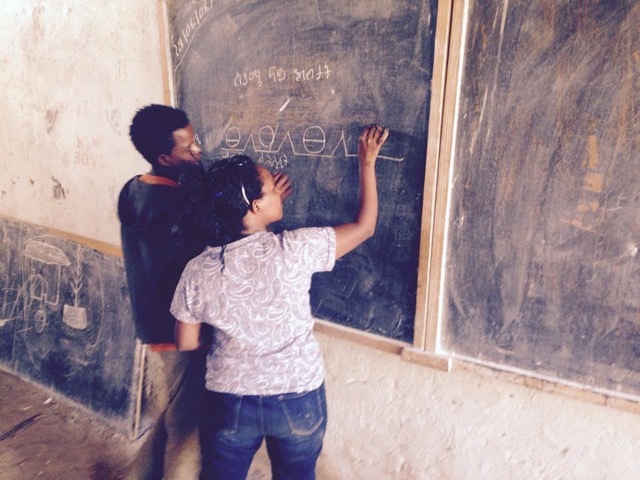 from a recent Growing Thinking Schools Ethiopia training. 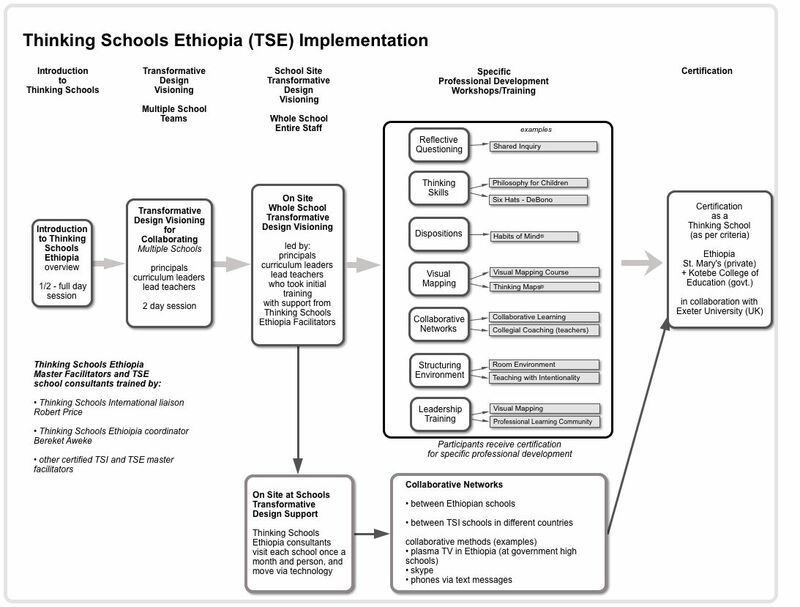 Thinking Schools Ethiopia is part of the Thinking Schools International network that includes thinking schools in the United Kingdom (over 400 schools), South Africa, Norway, Northern Ireland, Malaysia and other countries. 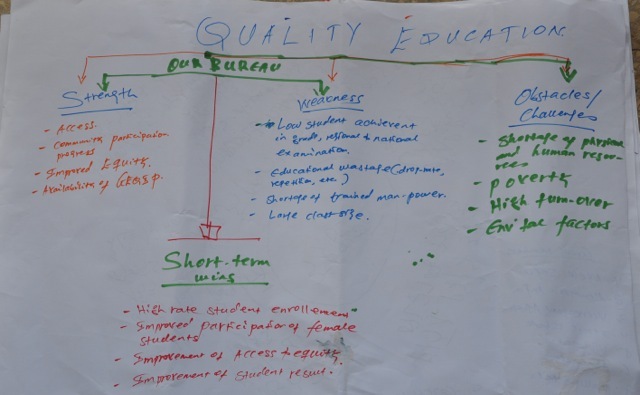 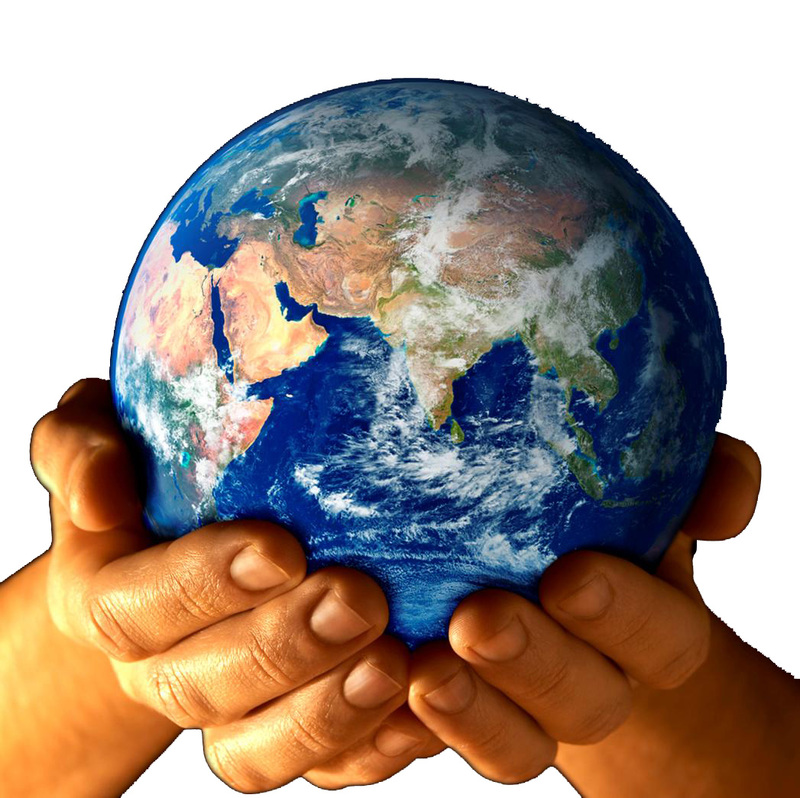 It is a vision to share bidirectionally, innovations and ideas between and among all schools in a collaborative manner to benefit students worldwide. 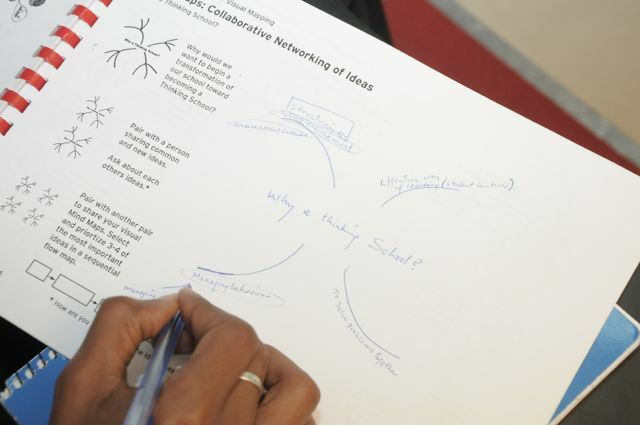 This begins with respecting that innovation and ideas originate globally, then using 21st century methods (of thinking) to collaborate. 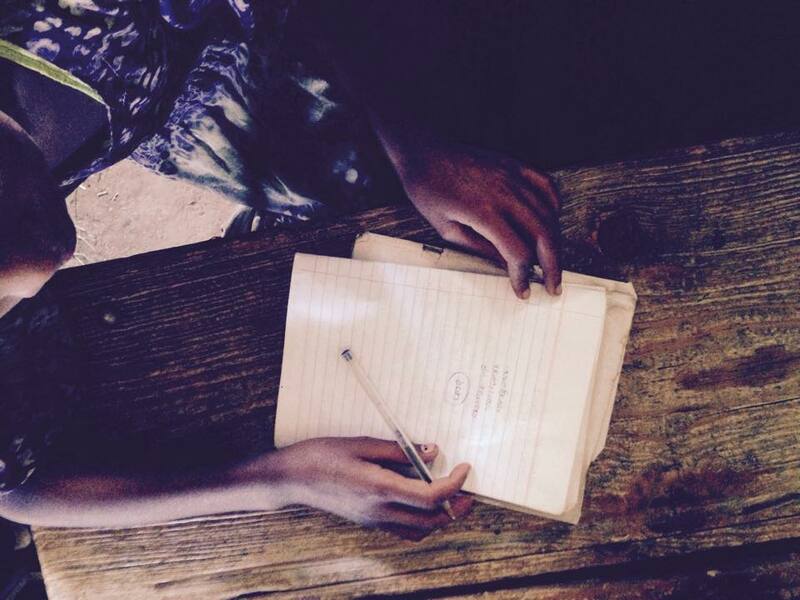 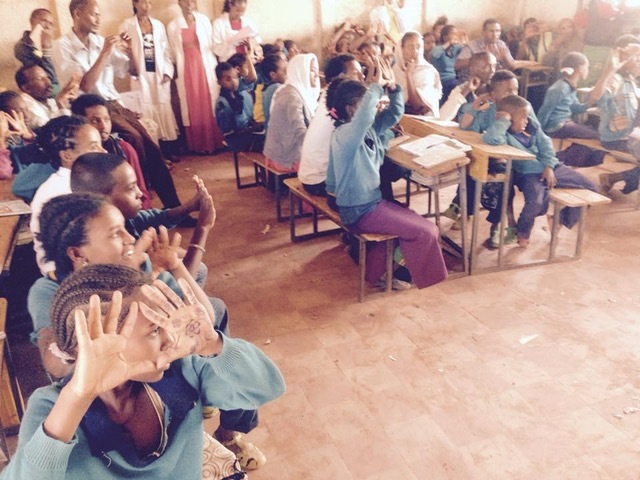 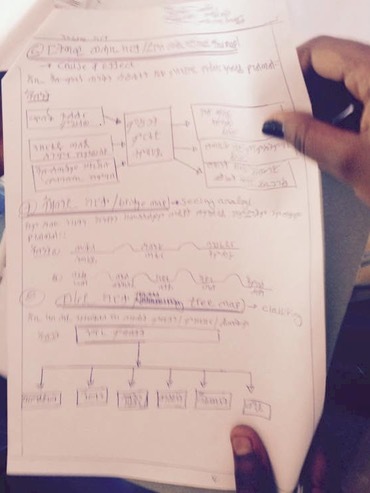 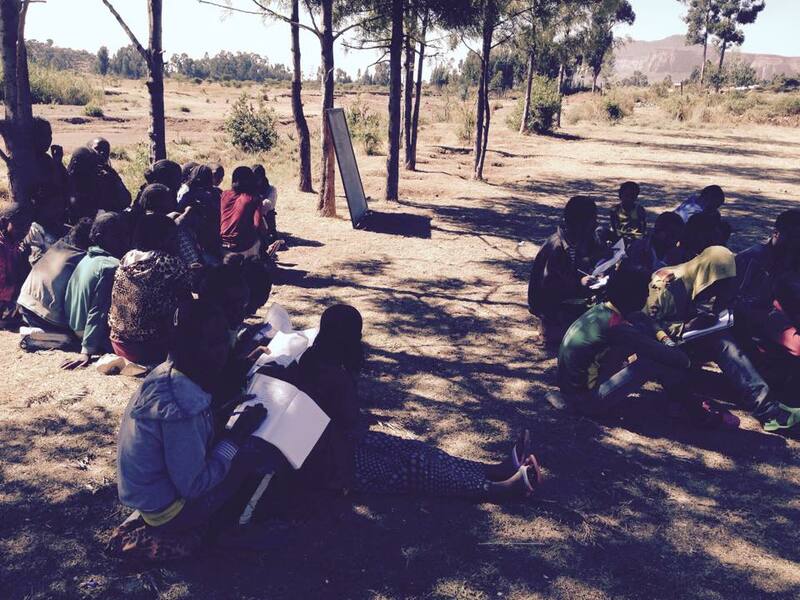 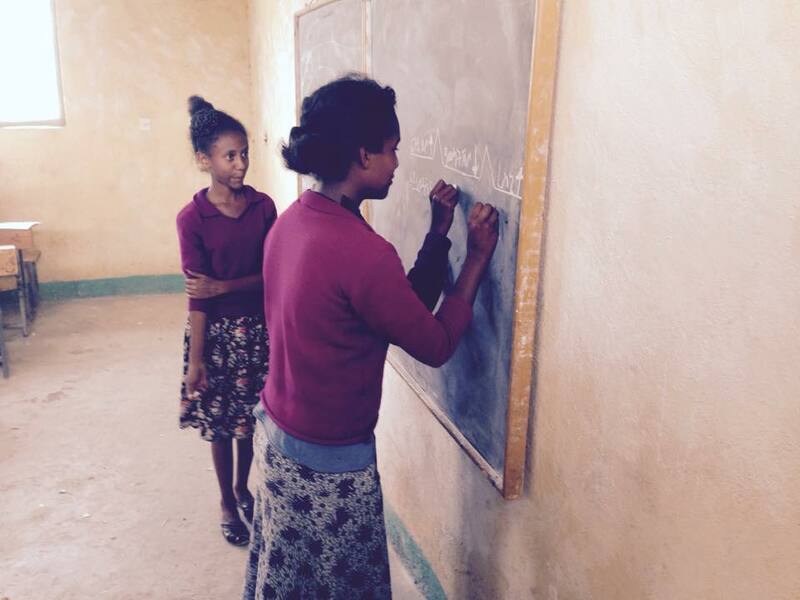 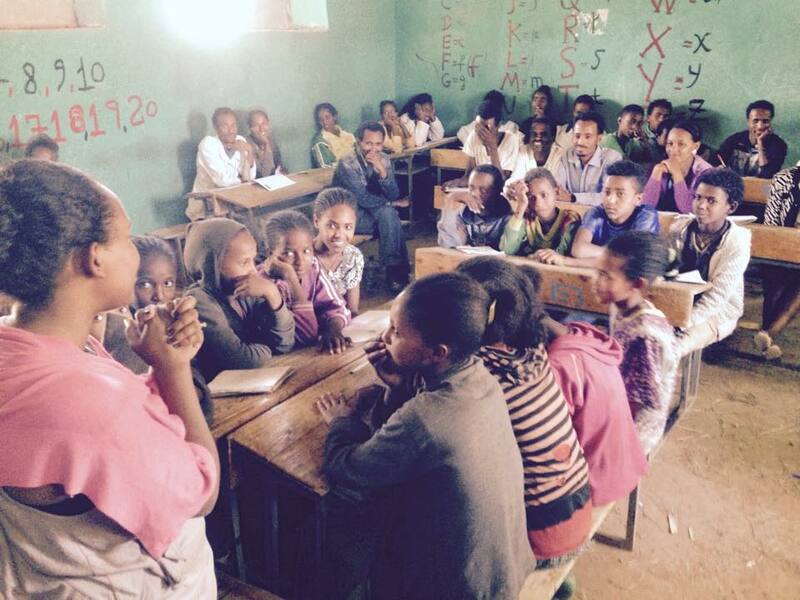 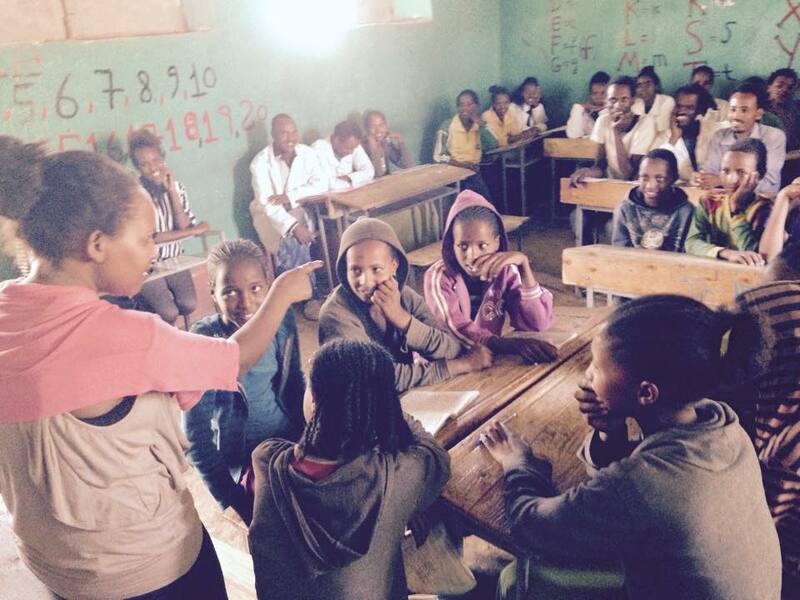 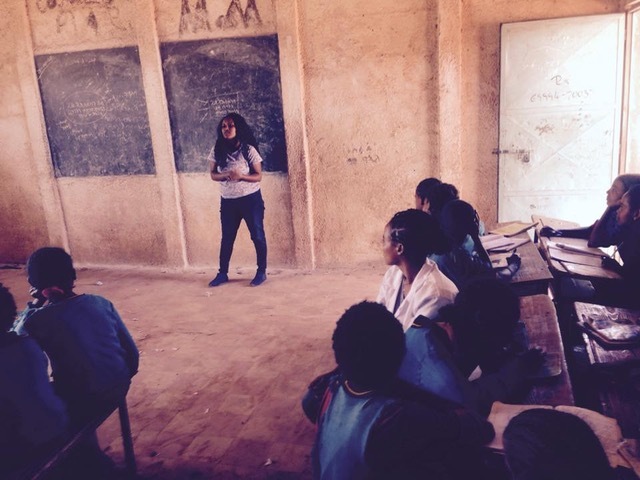 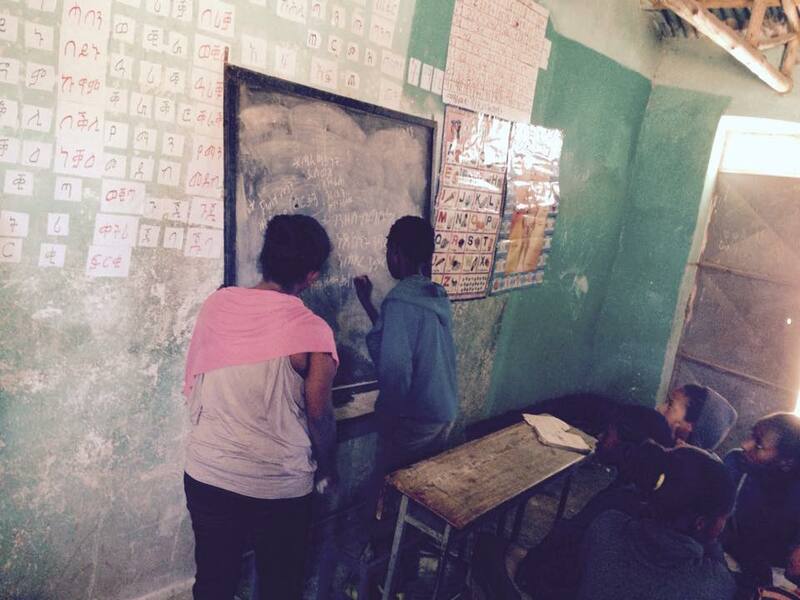 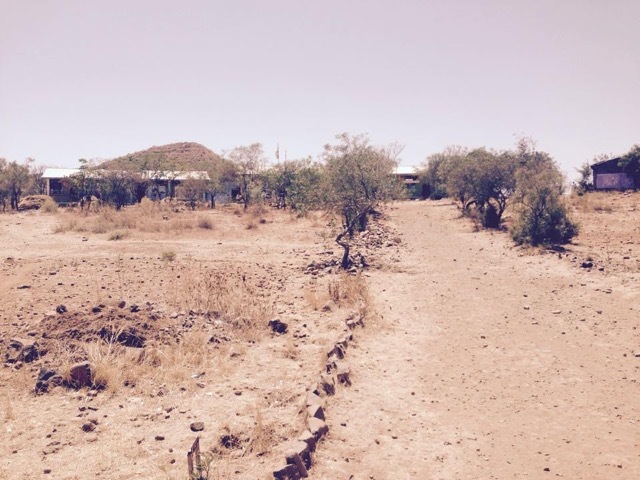 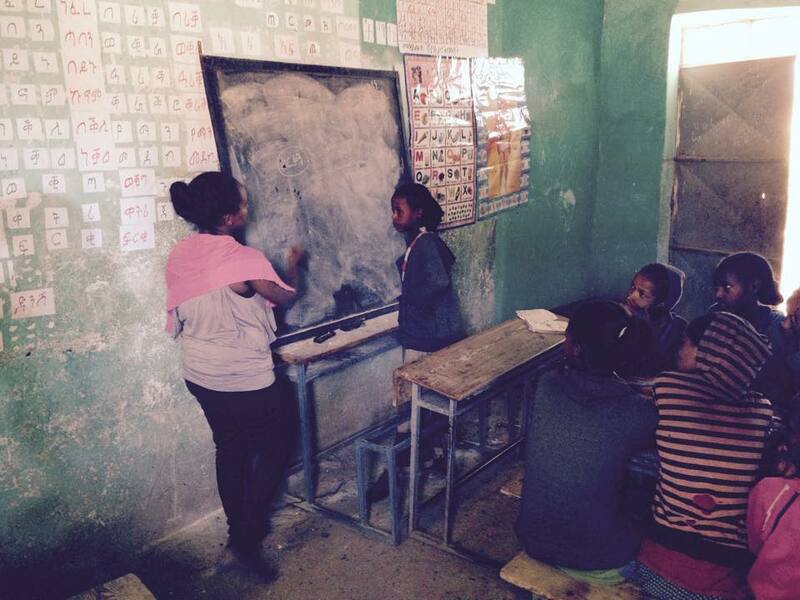 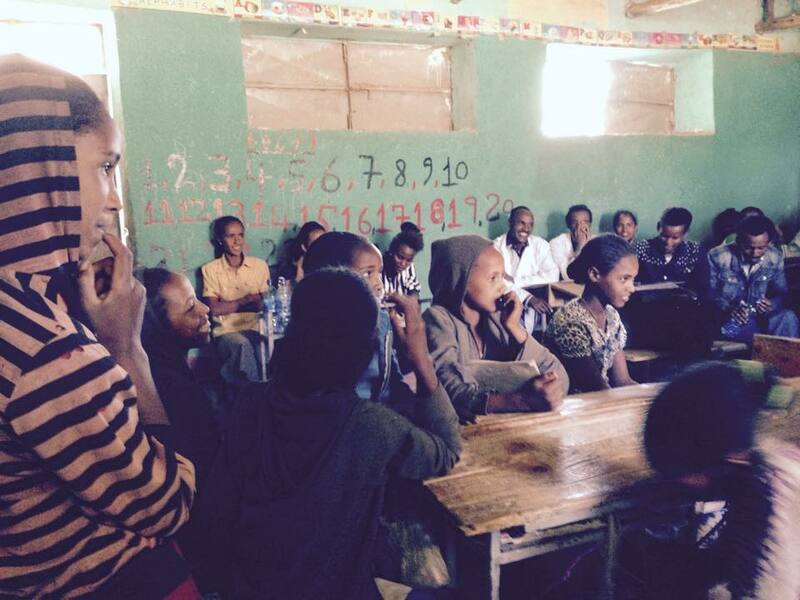 The Thinking Schools Ethiopia project really began to take form when we started using Skype to communicate. 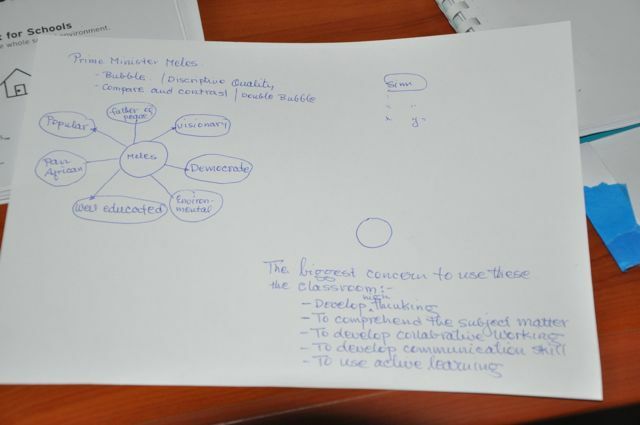 This provided a tool for sharing ideas via text, voice and in view. 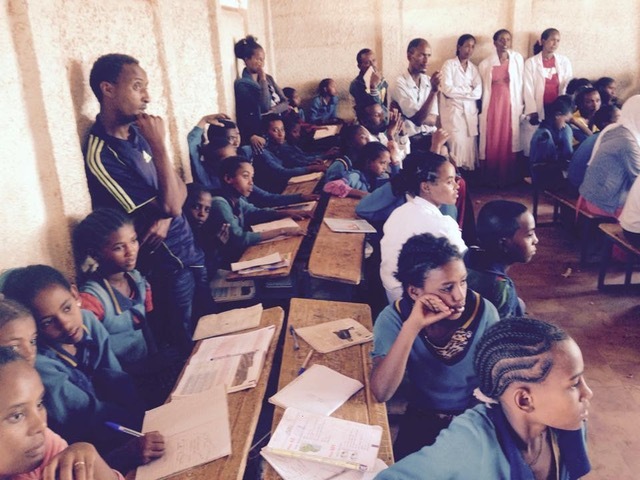 A vivid example of the potential this had for our collaborative effort occurred during my fifth visit to Ethiopia when students at a K-8 school in Ethiopia were using a laptop in their garden to skype with a school in North Carolina, USA. 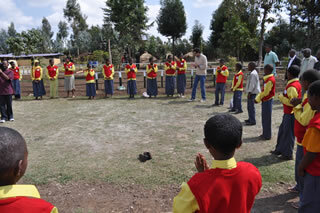 The students in Ethiopia were in the student’s garden – one of five at the Children’s Home Academy that provides food for the student lunches. 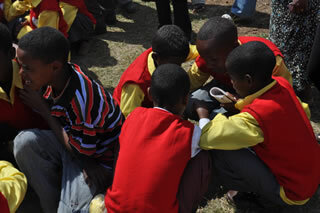 The North Carolina students were tethered to the classroom computer talking about a garden they were envisioning. 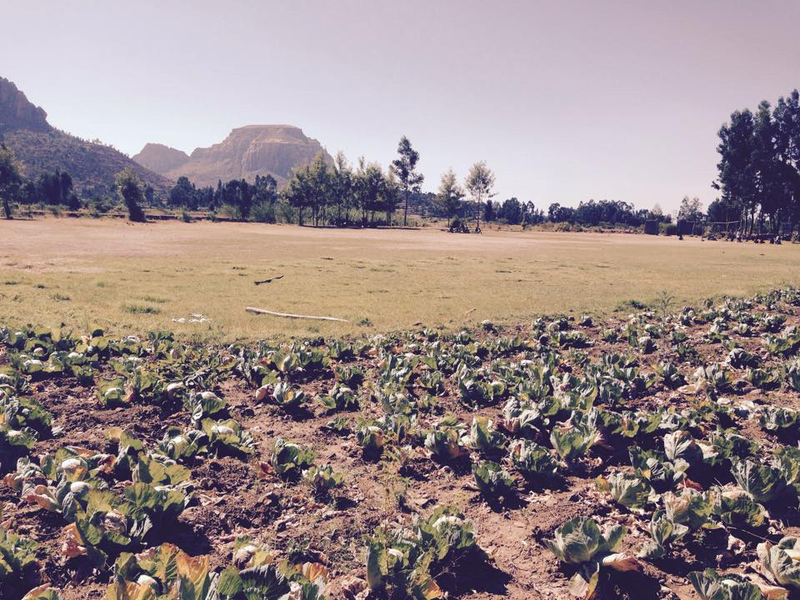 It was apparent that the food movement in the USA has much to share with and also learn from locations in parts of the world that actually need to have school gardens. 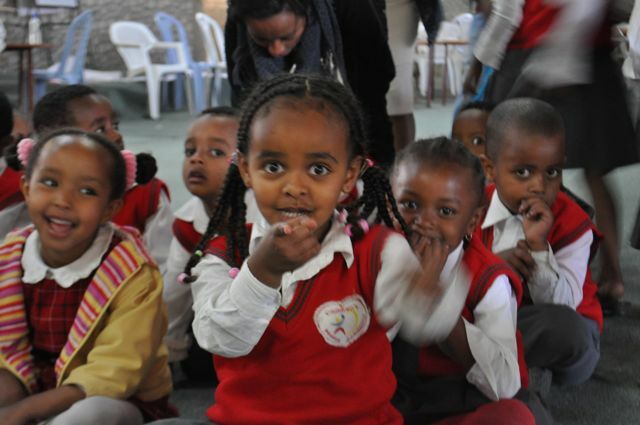 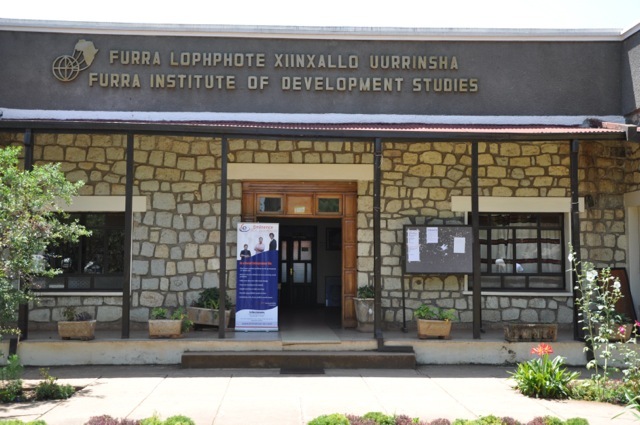 While the Thinking Schools approach is a systems approach that focuses on sustainability, funding for Ethiopia, a country with one of the lowest per capita incomes in the world (212 out of 228 countries) and currently the eighth highest population growth rate in the world, can dampen the potential. 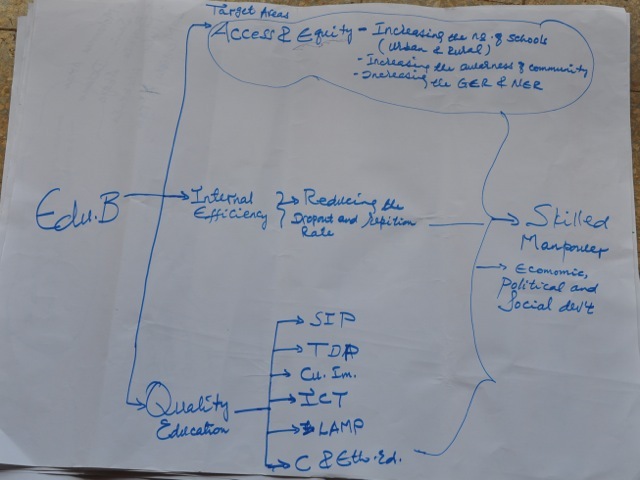 We believe there are some excellent mechanisms that can be implemented to provide support for innovation at a low per school cost and develop sustainability from within. 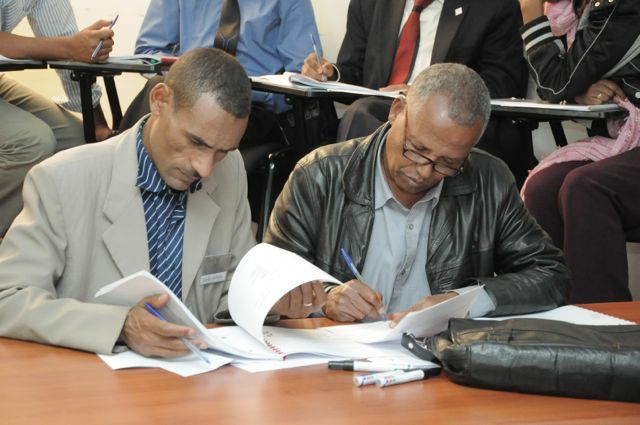 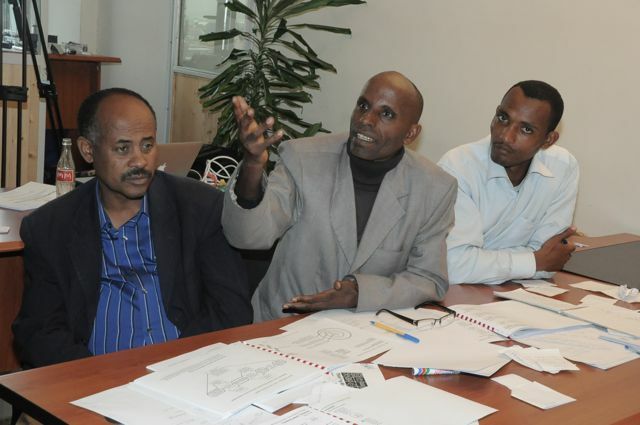 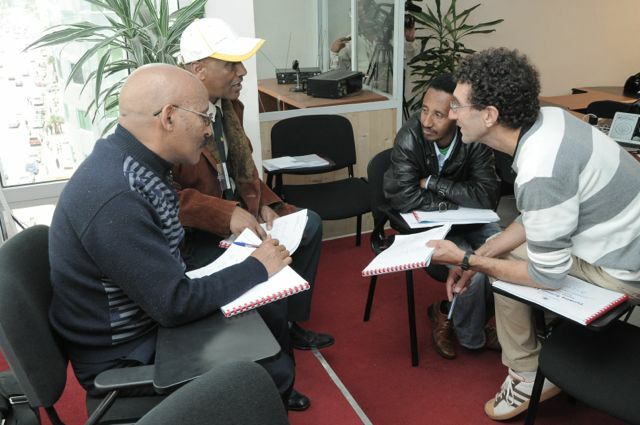 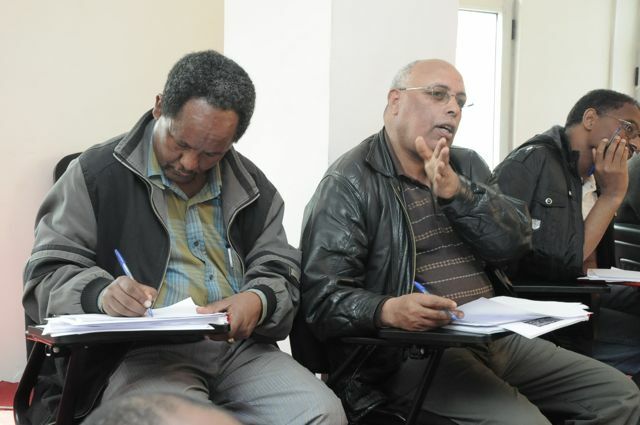 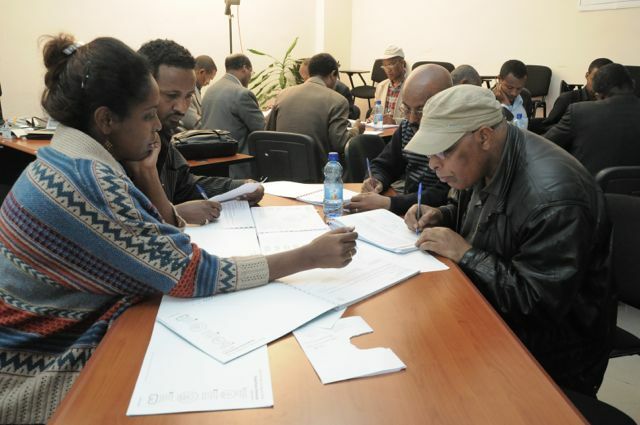 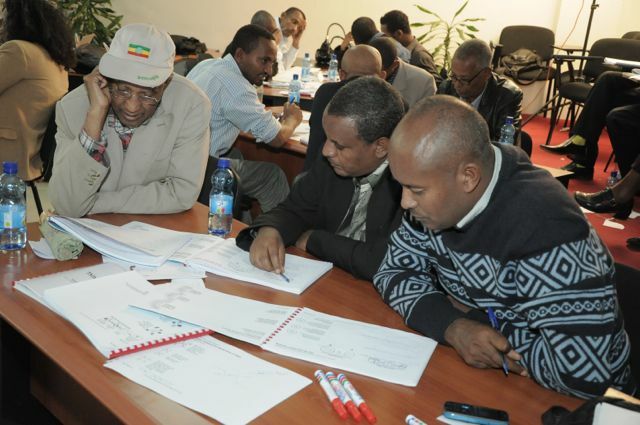 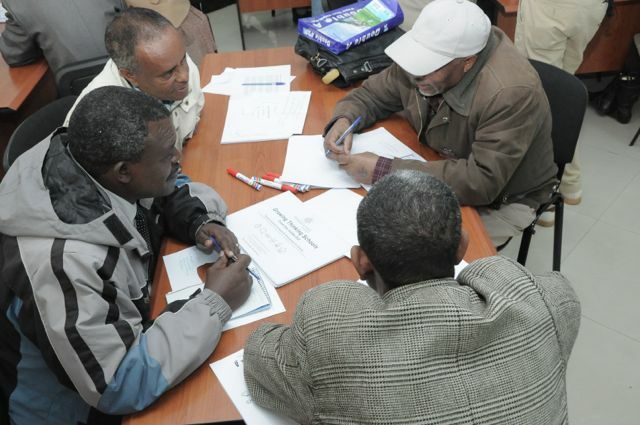 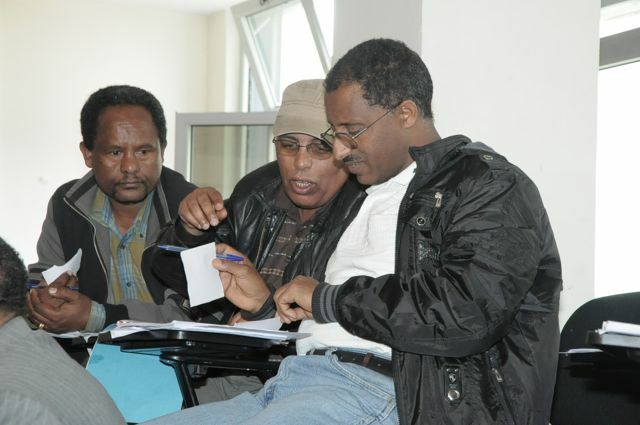 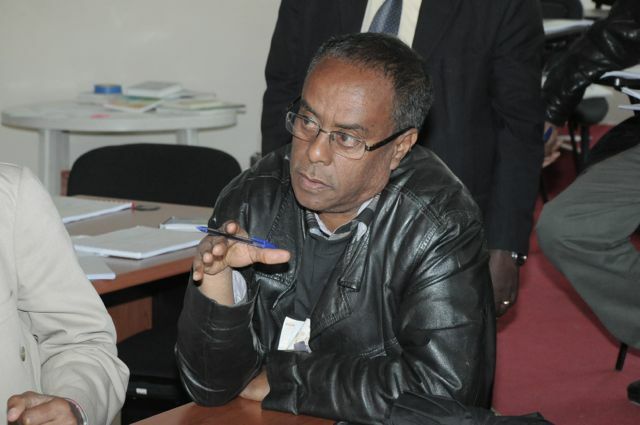 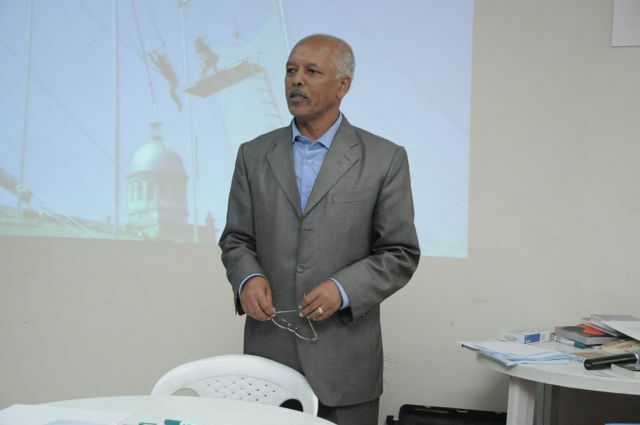 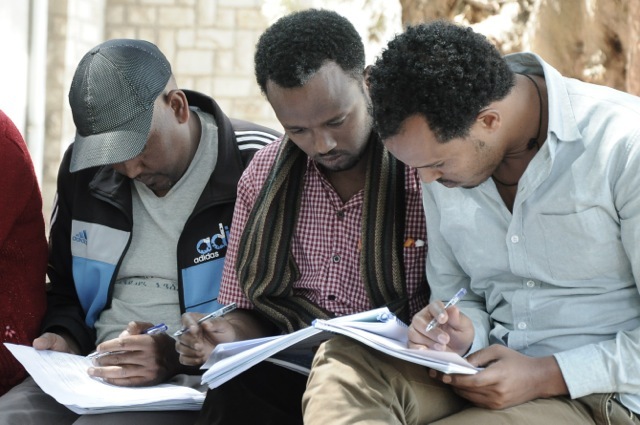 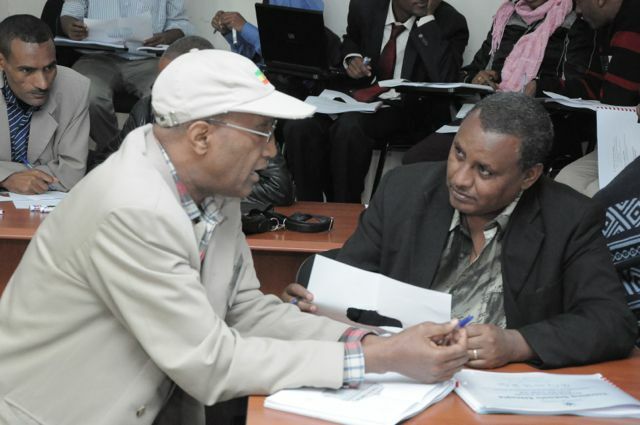 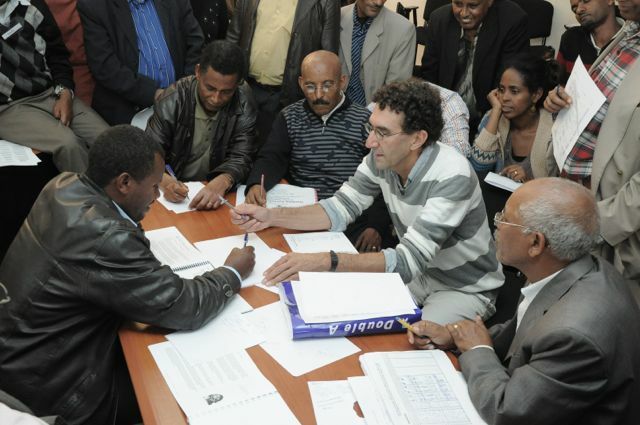 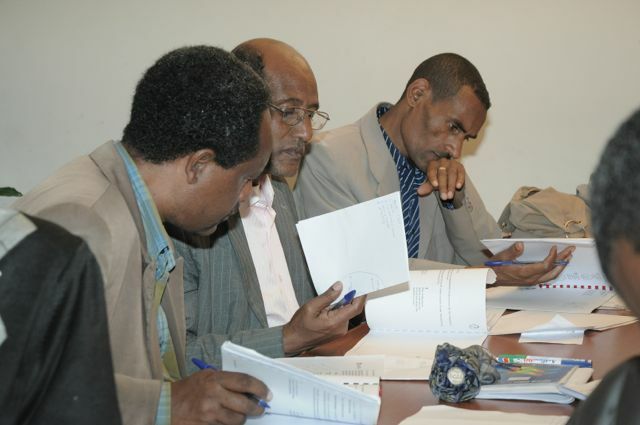 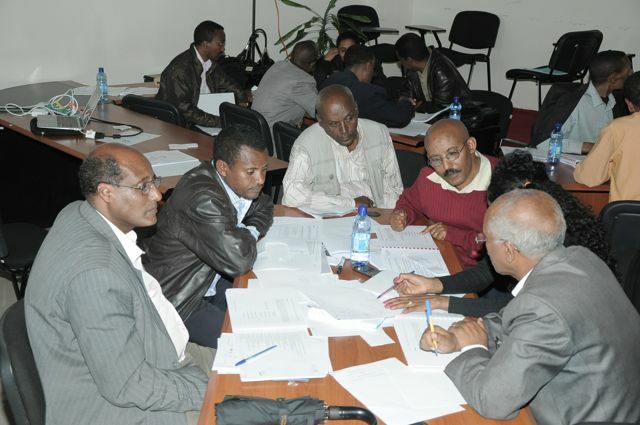 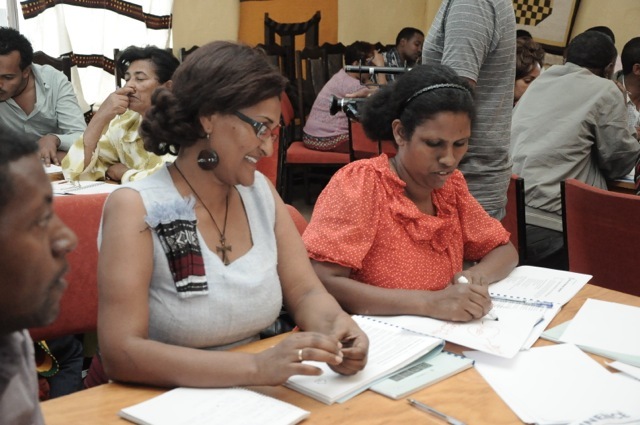 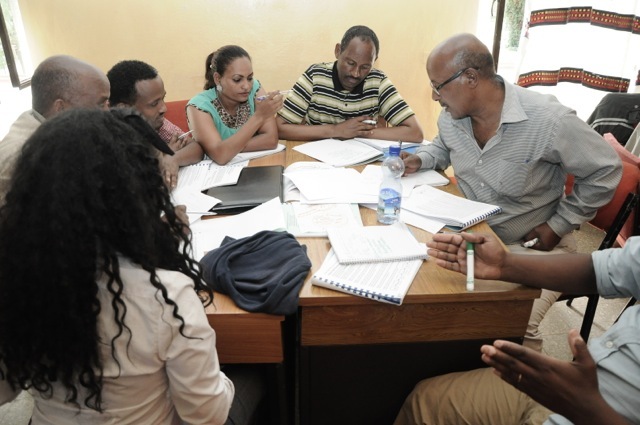 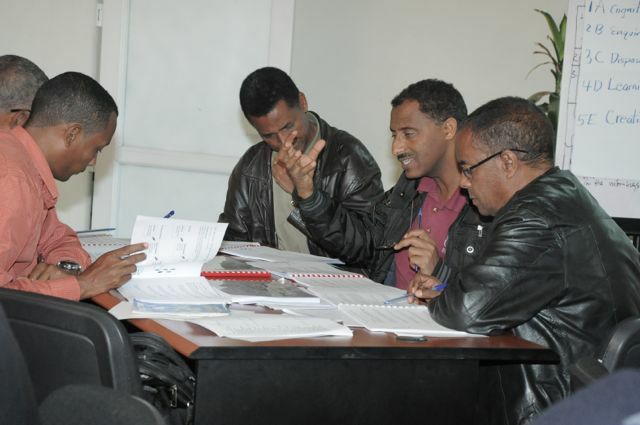 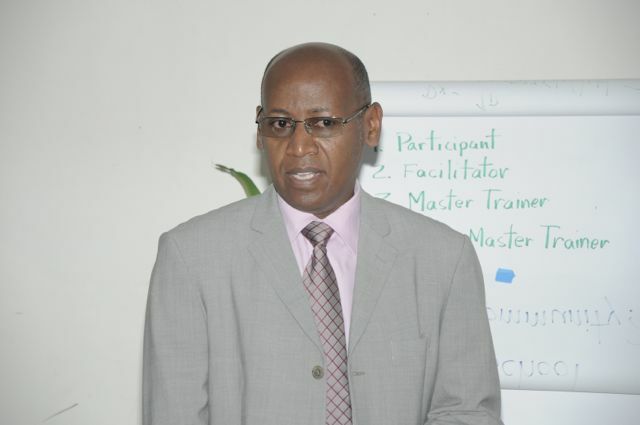 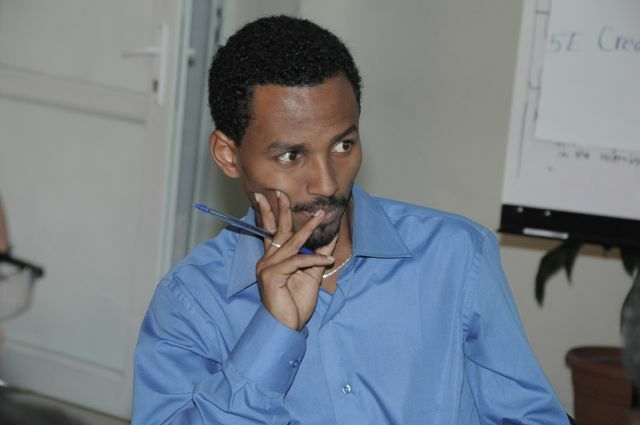 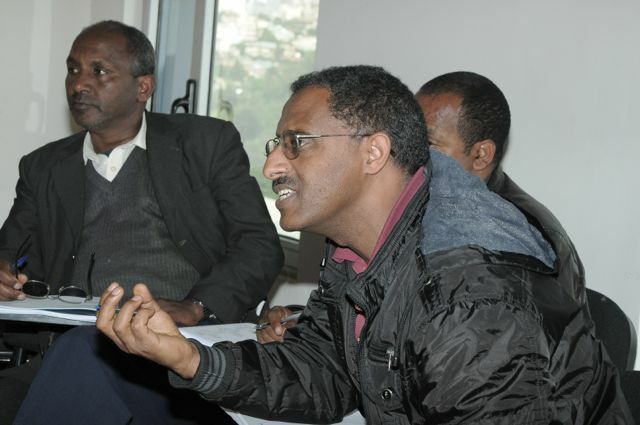 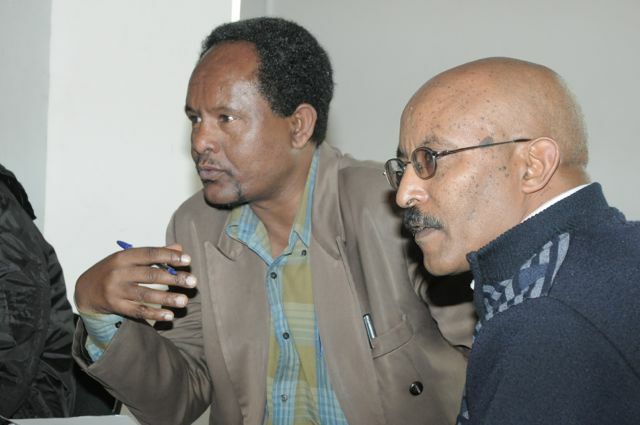 Preparing a highly skilled team of master facilitators within Ethiopia along with a body of action research from Ethiopian educators should support the potential into a realization. 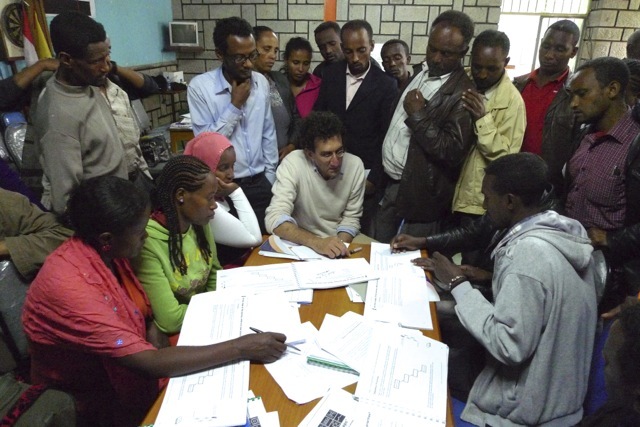 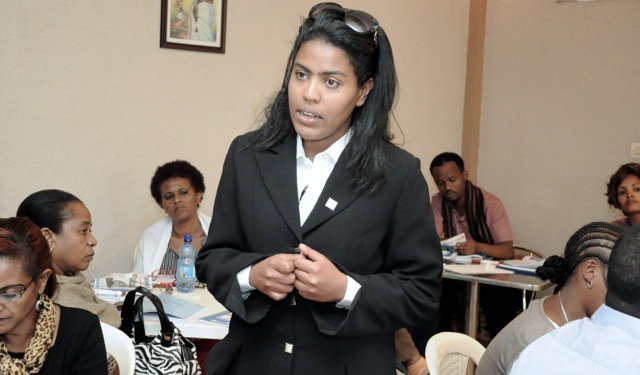 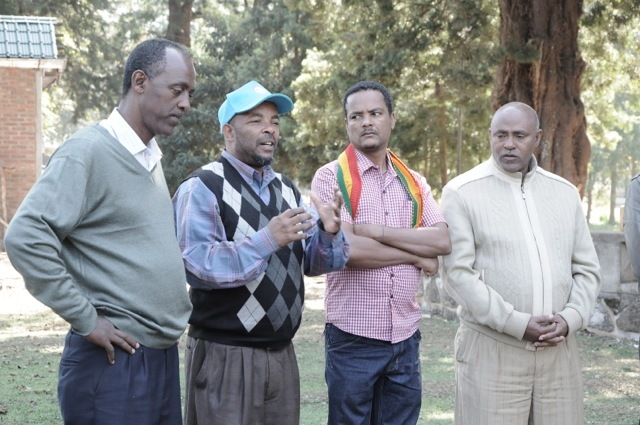 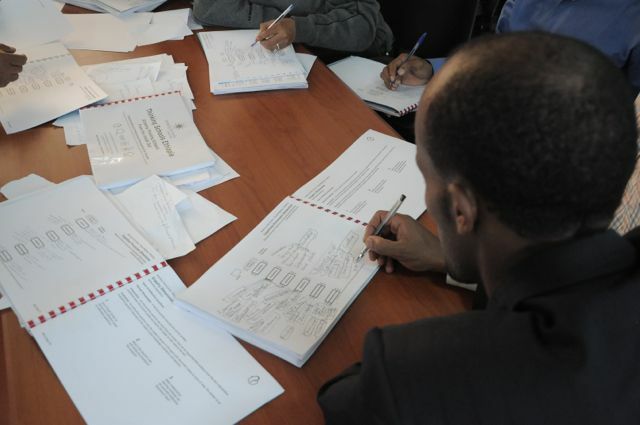 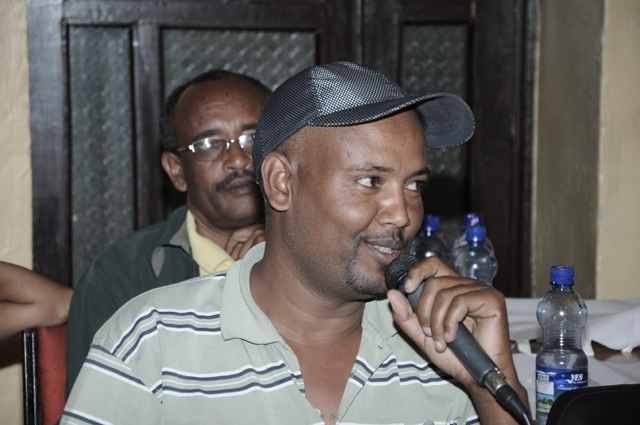 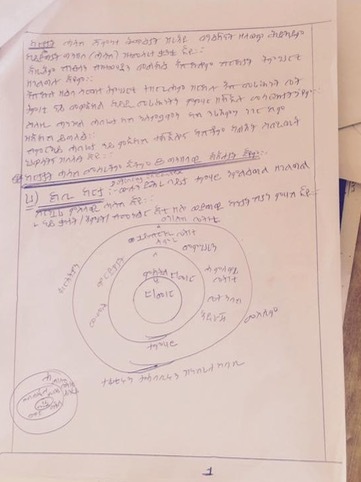 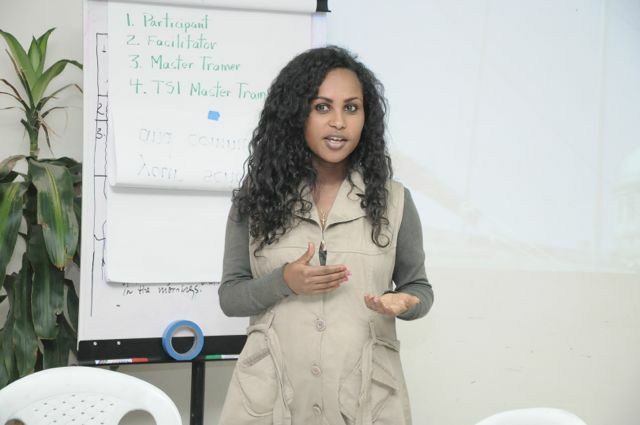 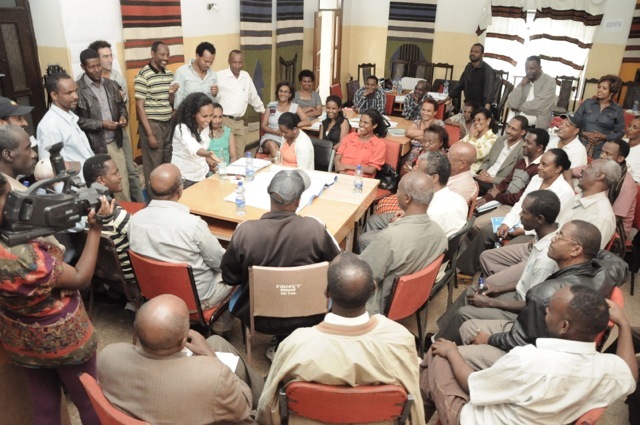 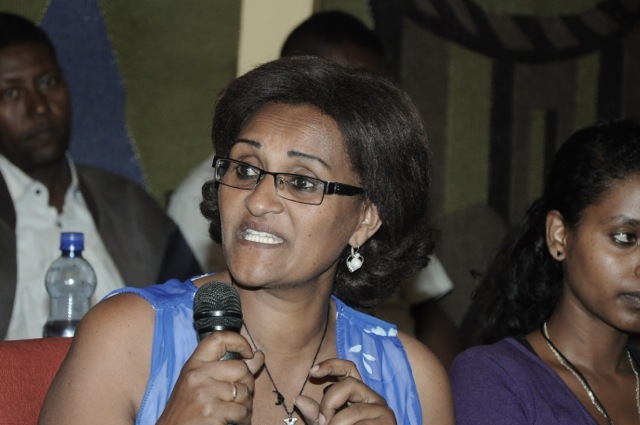 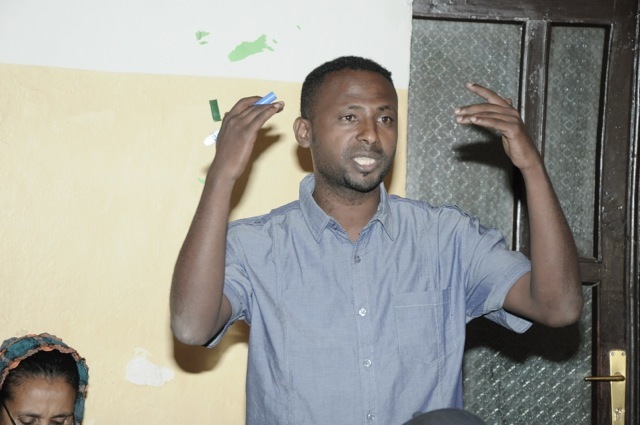 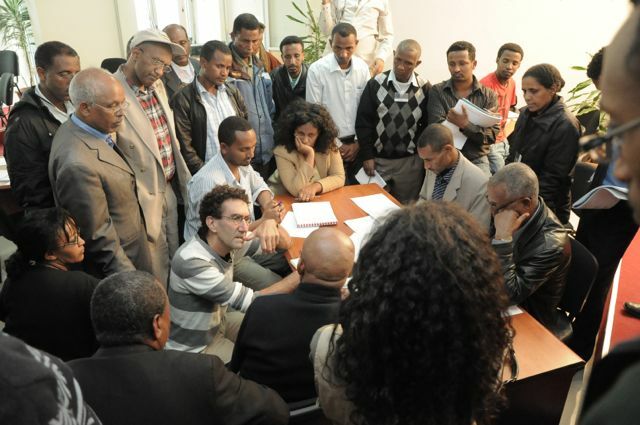 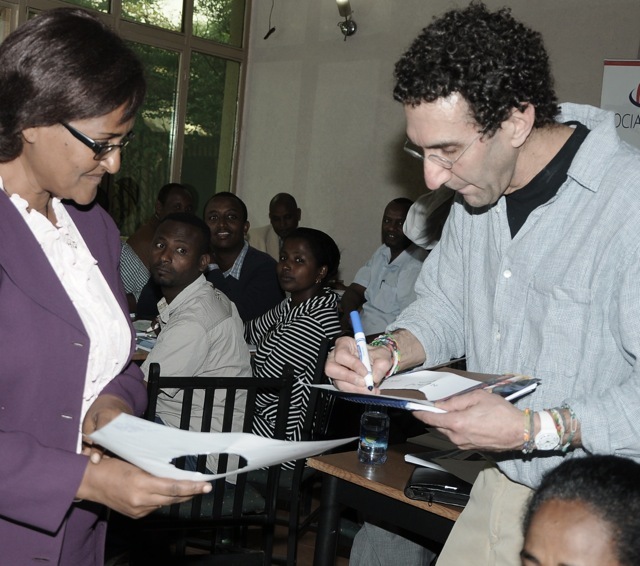 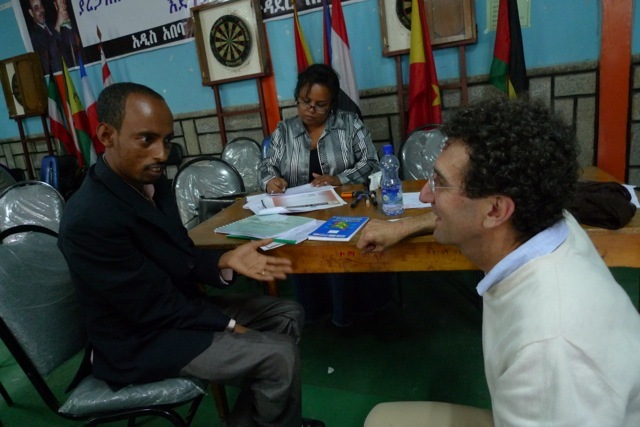 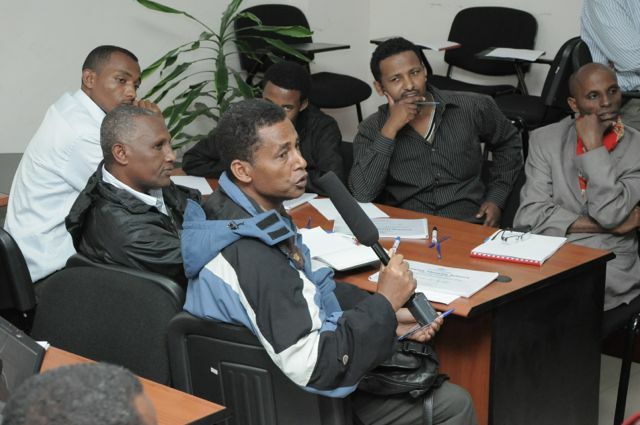 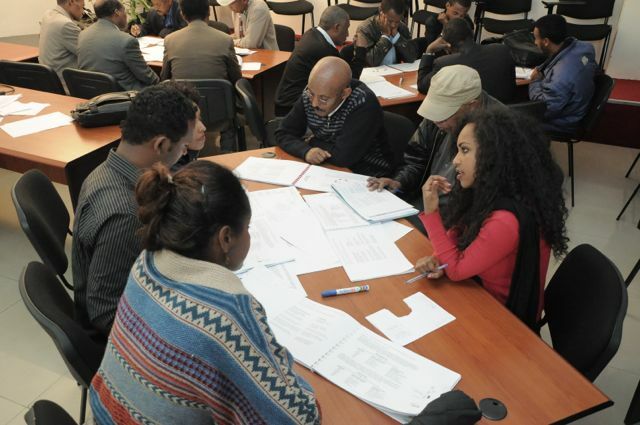 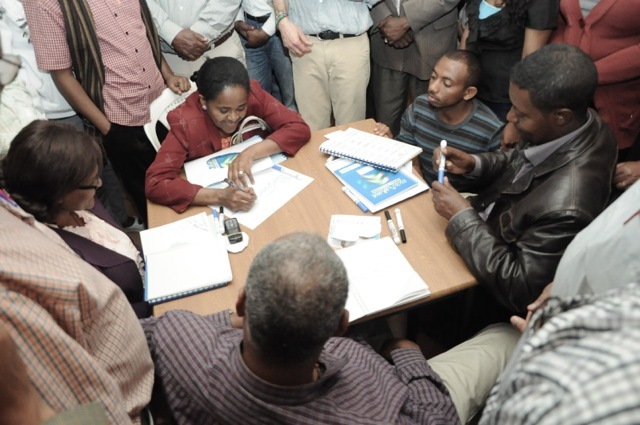 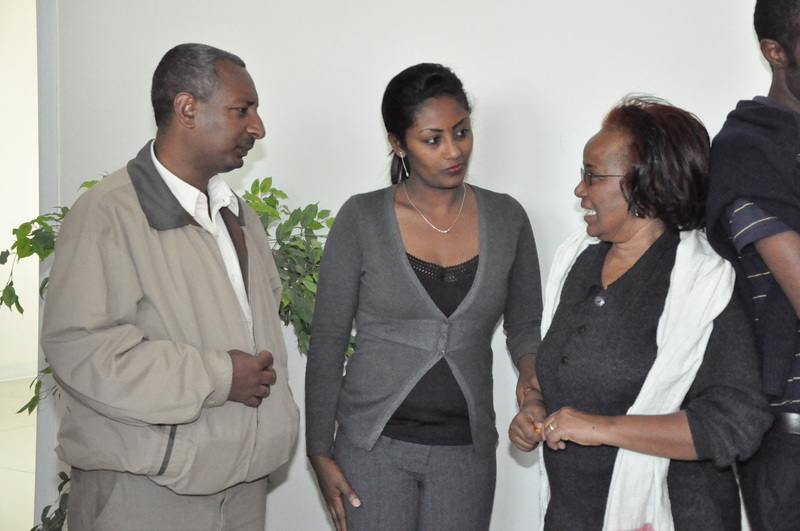 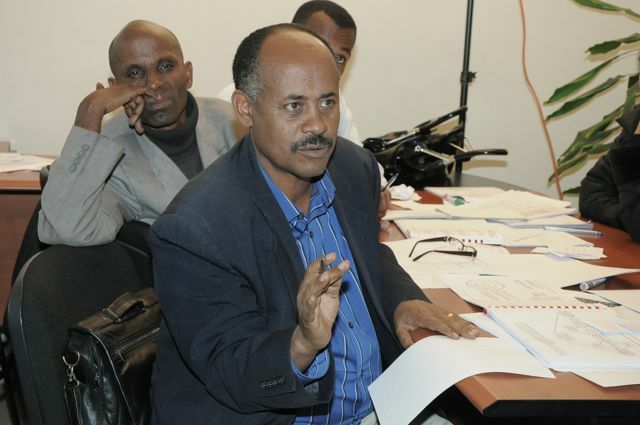 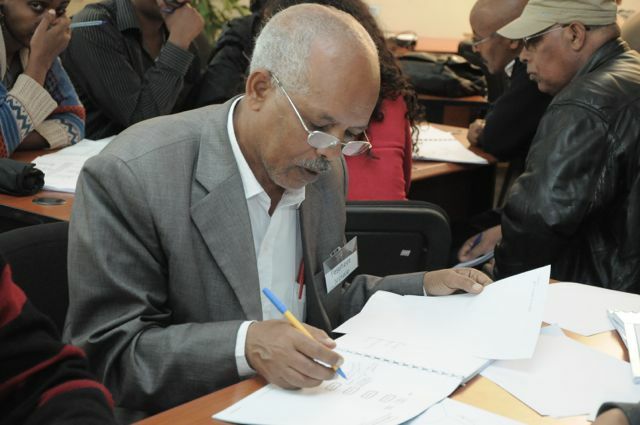 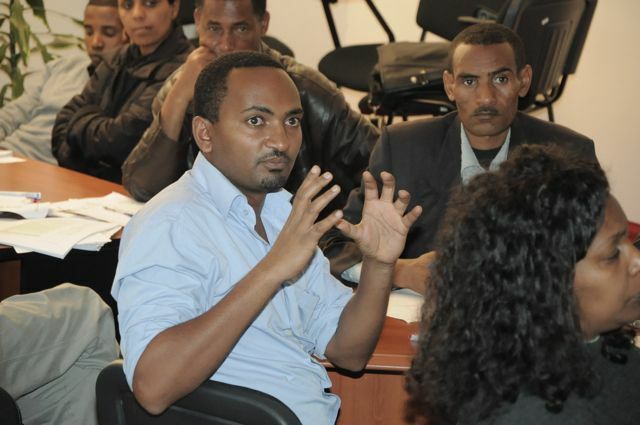 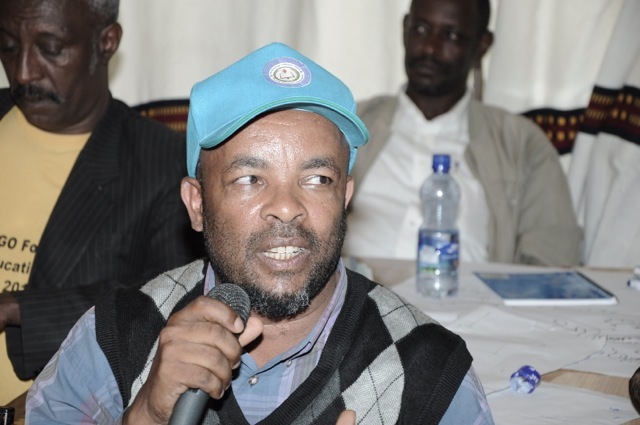 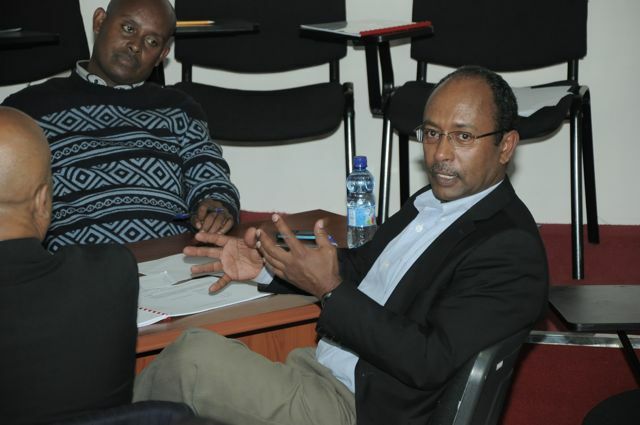 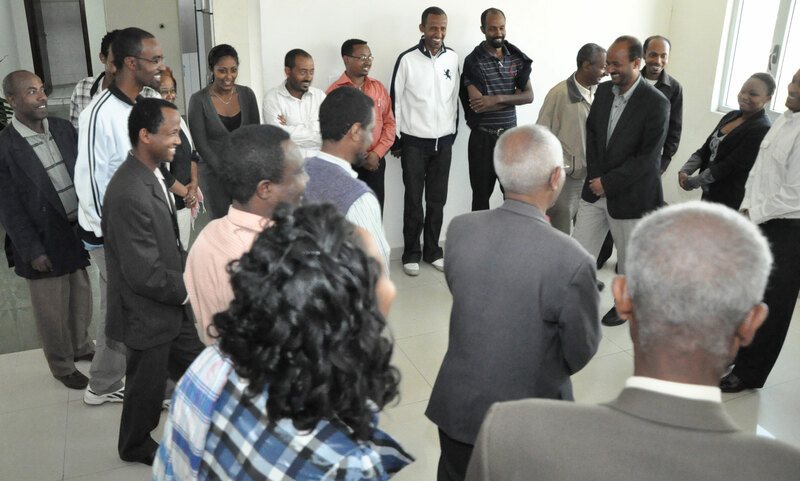 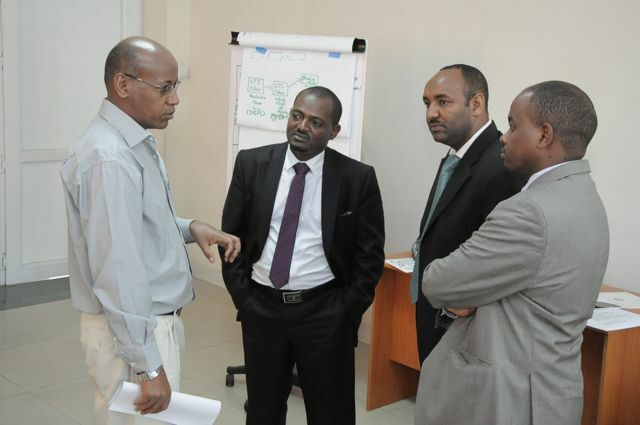 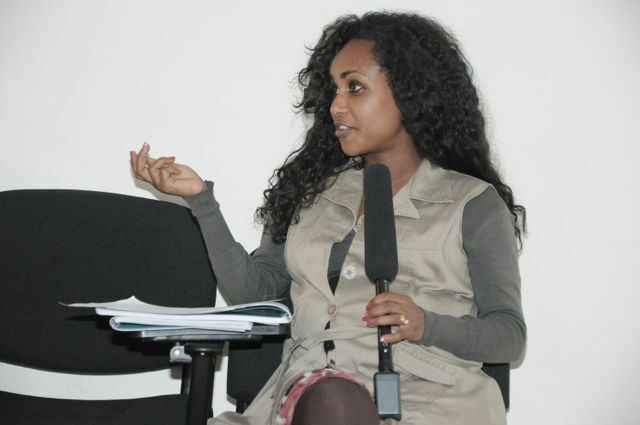 The recent memo of understanding (MoU) between Thinking Schools Ethiopia (part of Eminence Social Entrepreneurs – an Ethiopian founded and owned organization in Addis Ababa) provides a starting point of bidirectional change – an idea and ideal of global collaboration. 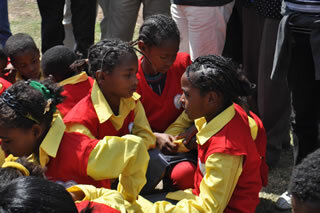 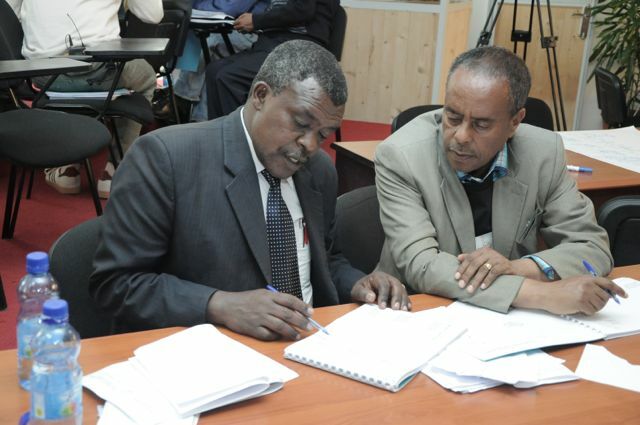 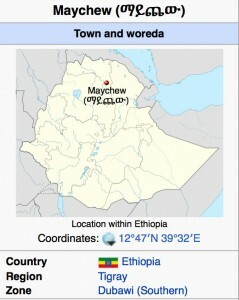 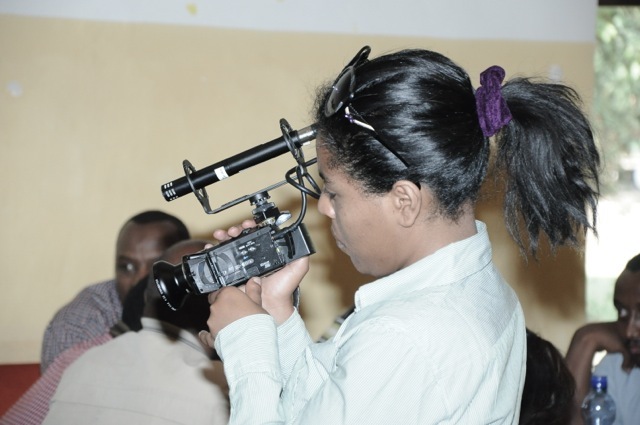 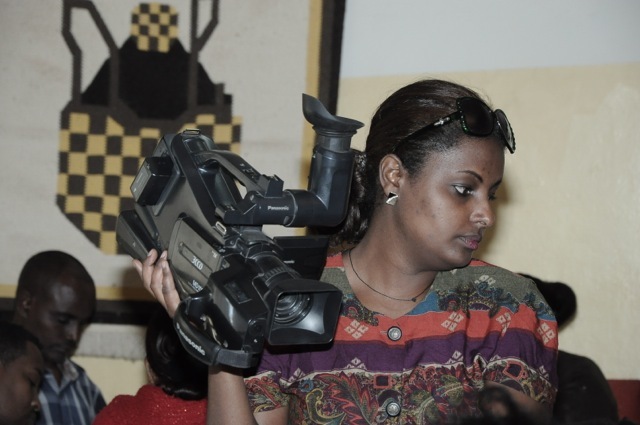 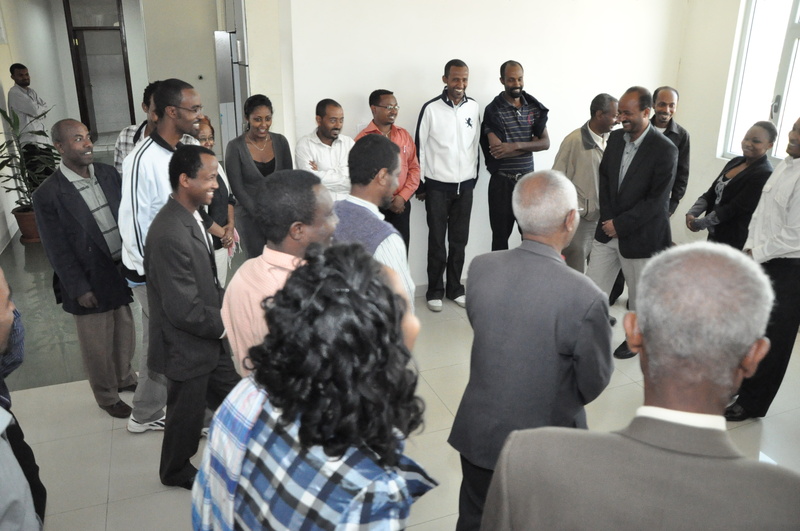 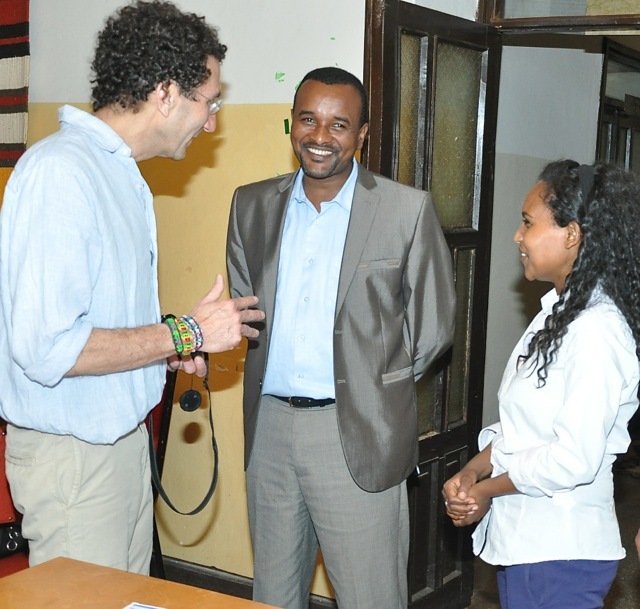 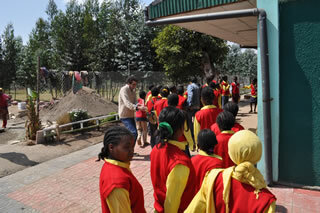 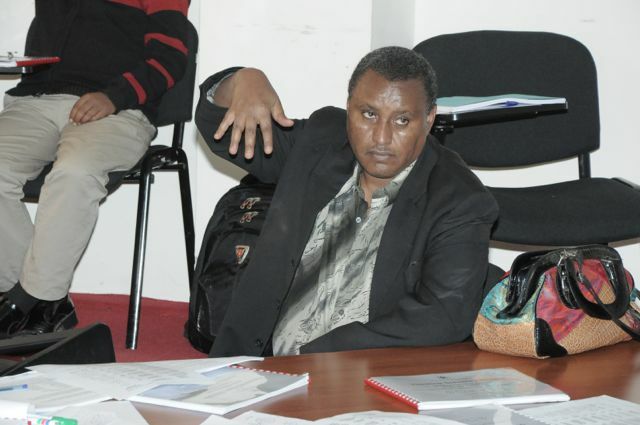 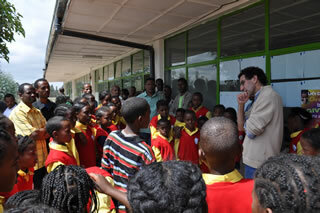 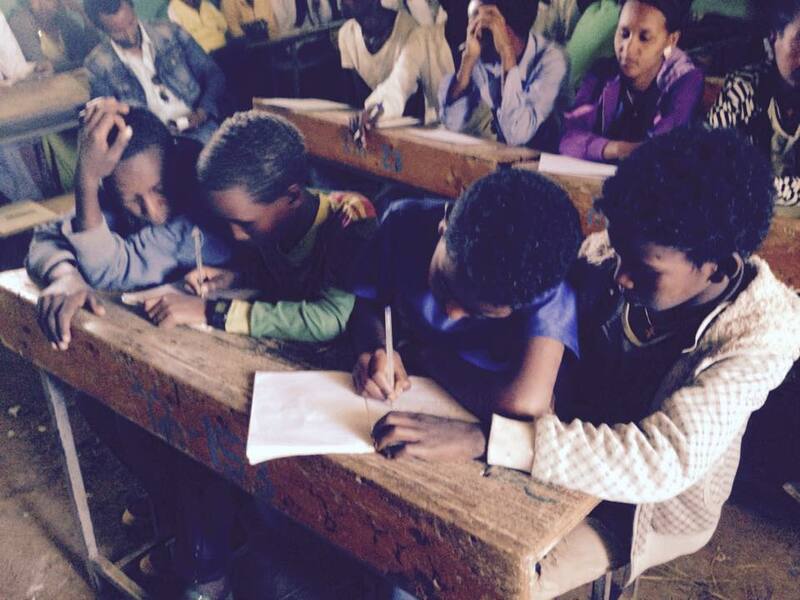 And further supported with UNESCO’s recognition of Thinking Schools Ethiopia being a model of ‘modern pedagogy’. 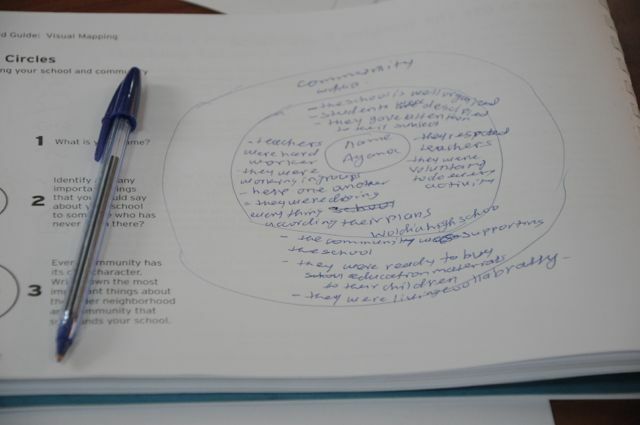 2—and the reflection of students on Community Building. 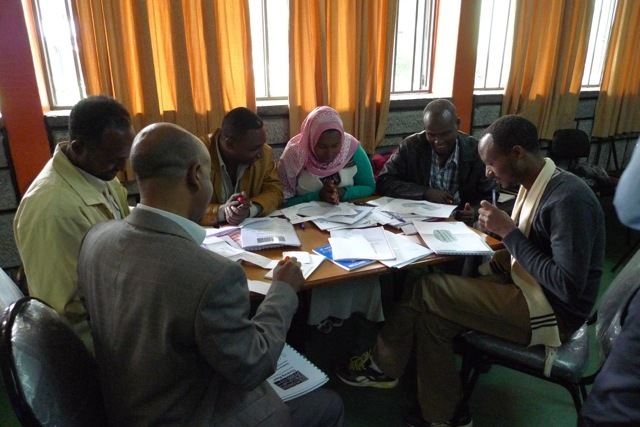 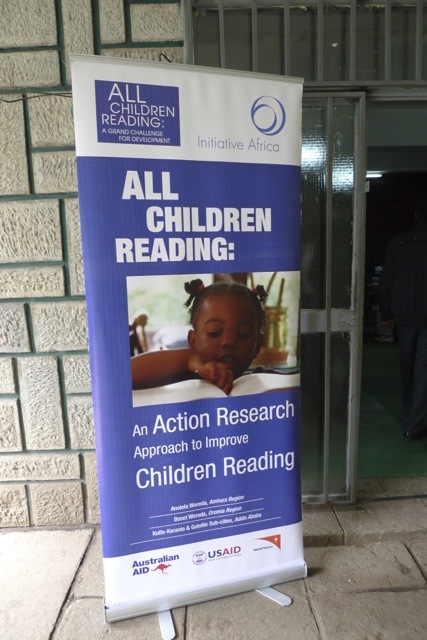 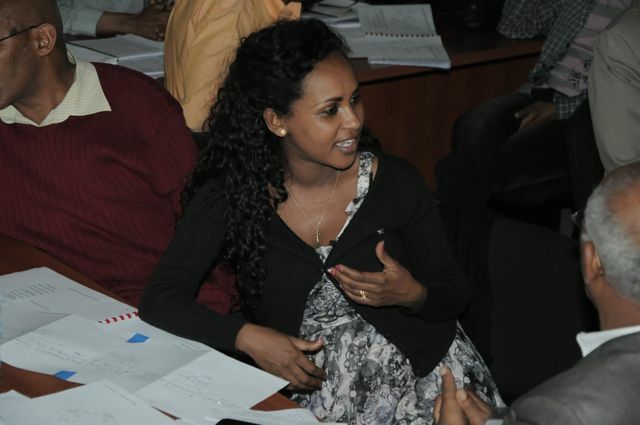 Elizabeth Kesling co-facilitates a professional development session with me at Children’s Home Academy in Addis Ababa. 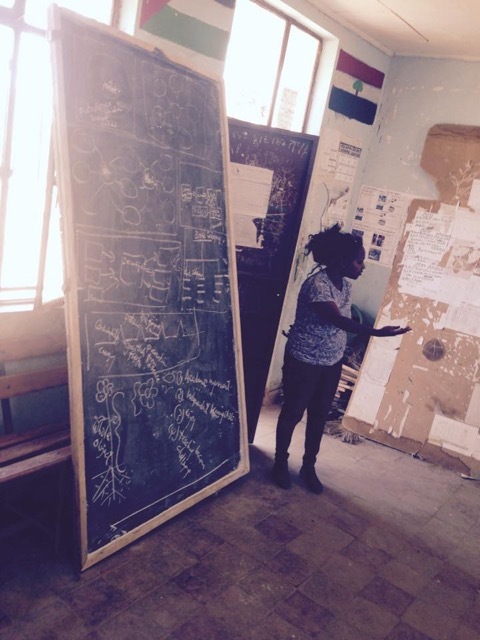 She is doing a demonstration lesson with two groups of students – pre-k and second grade – using visual mapping. 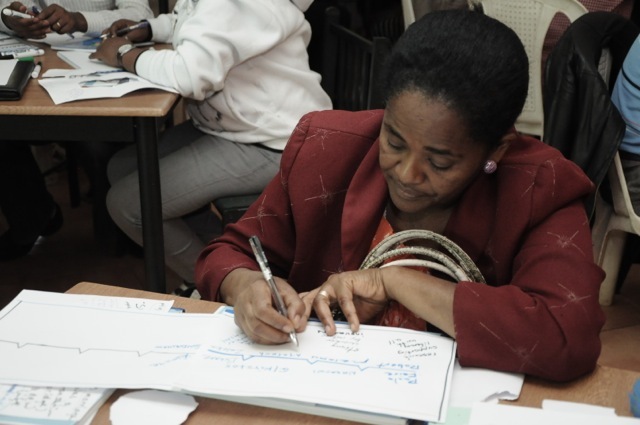 The participating/observing educators have been part of the Thinking Schools training including professional development on visual tools: Thinking Maps.